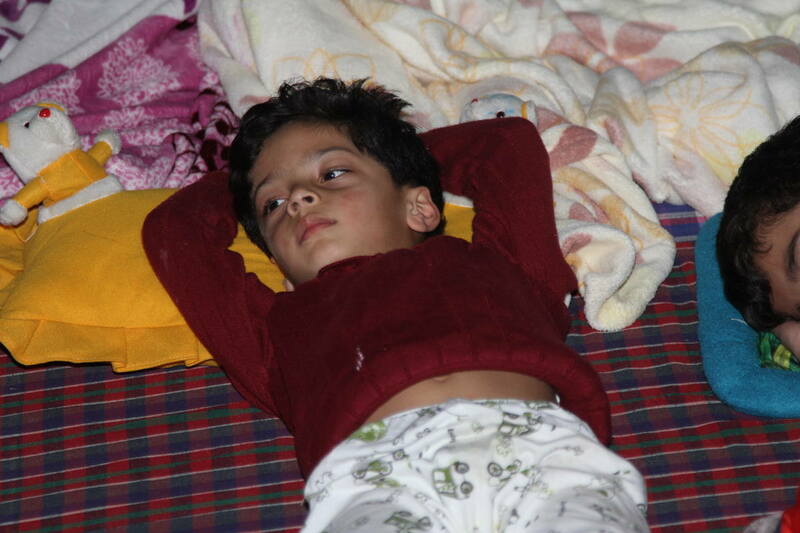 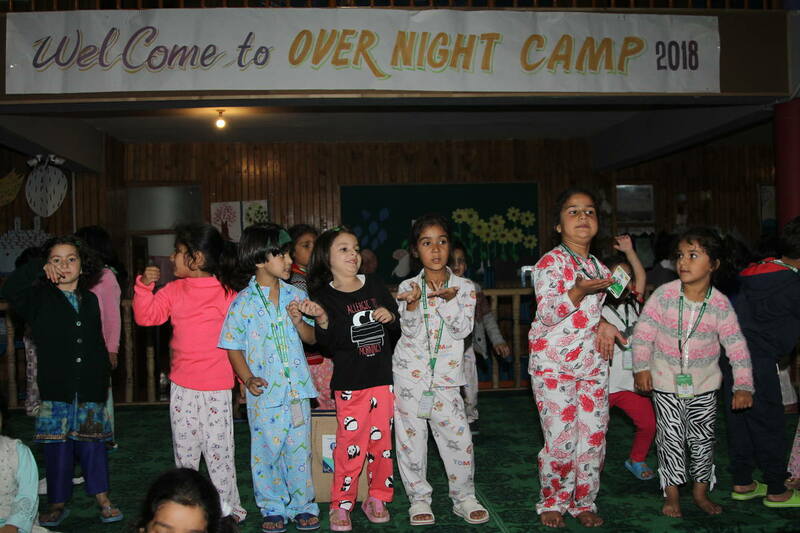 An overnight camp is a place for kids to be themselves while making friends and trying out new experiences. 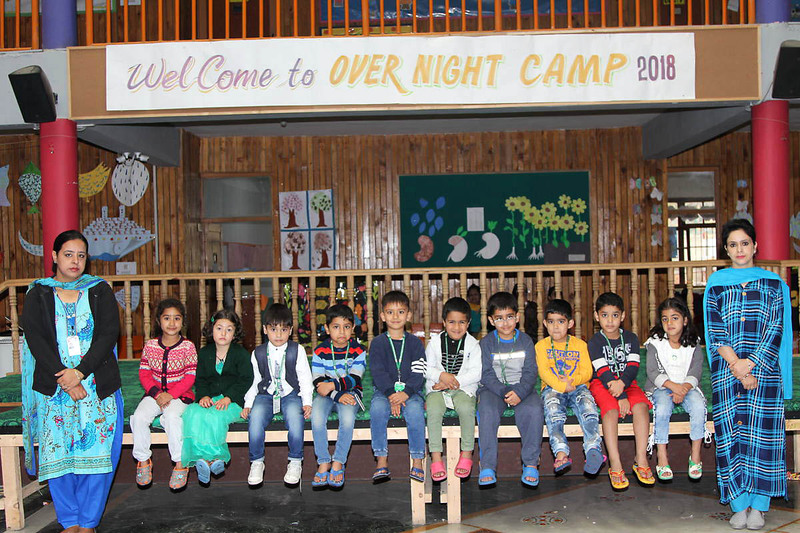 A primary advantage of Overnight Camp is that kids have more time to adjust to their surroundings and get comfortable while honing the learning and growing they go through a range of recreational and educational activities throughout the day. 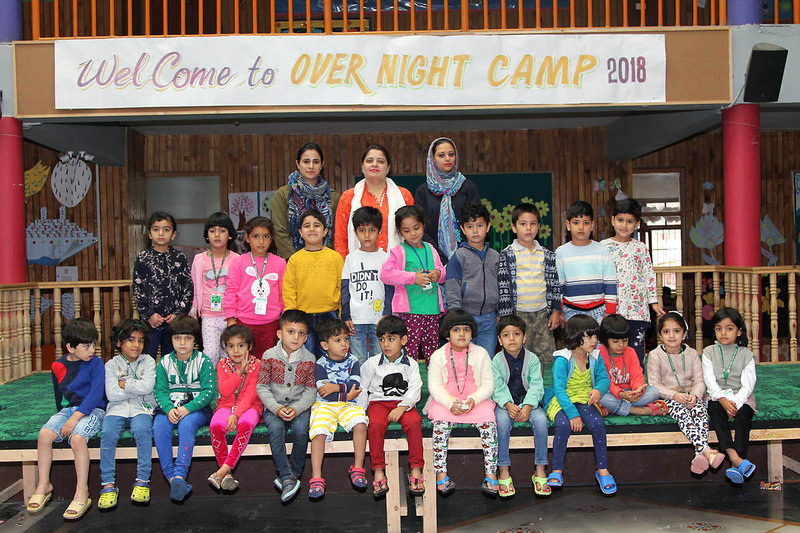 With more time to spend on particular interests, Overnight Camps also provide a chance for kids to become more independent in being away from family and teach them more responsibility for themselves and for others. 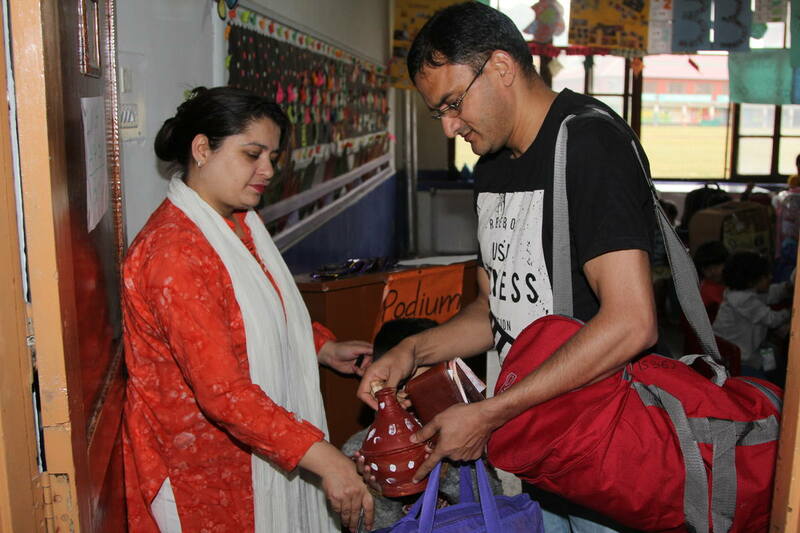 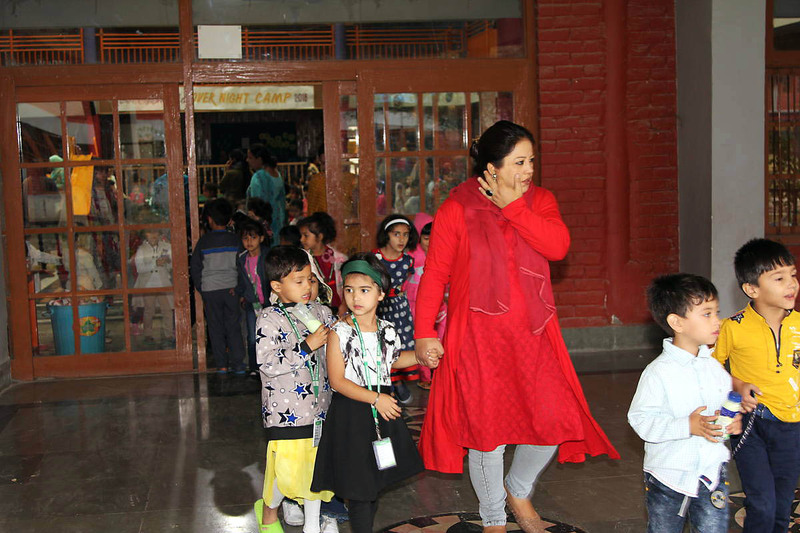 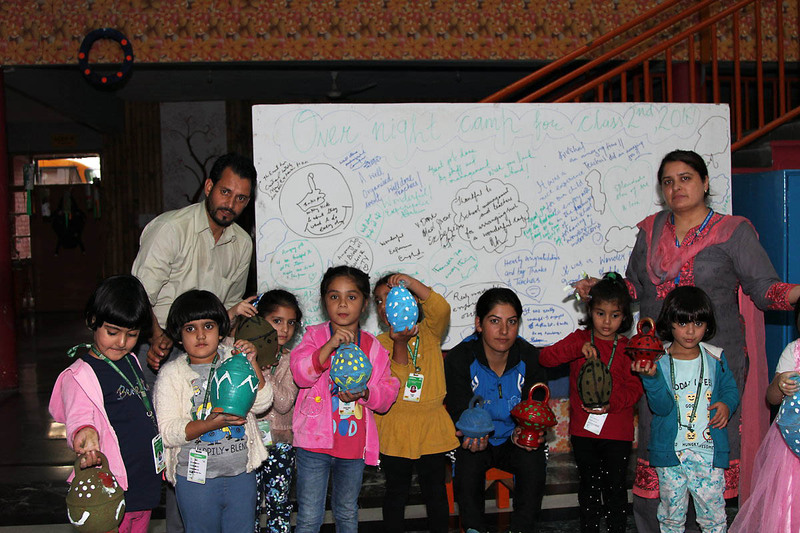 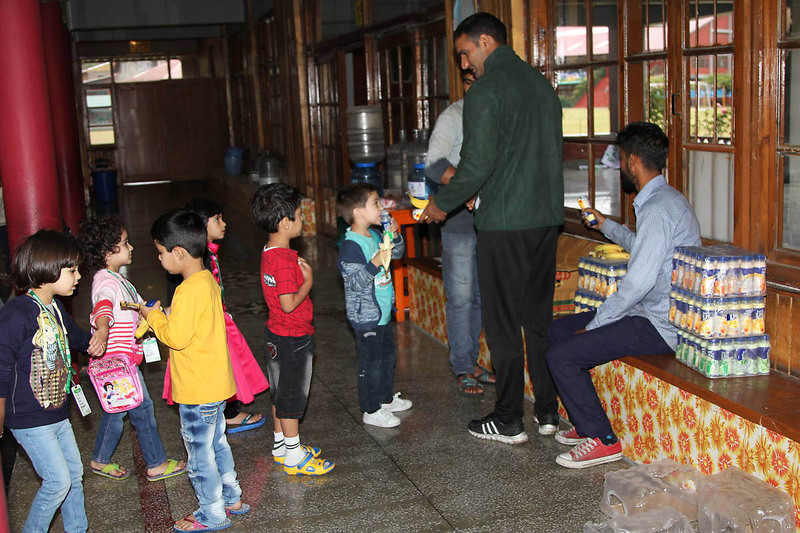 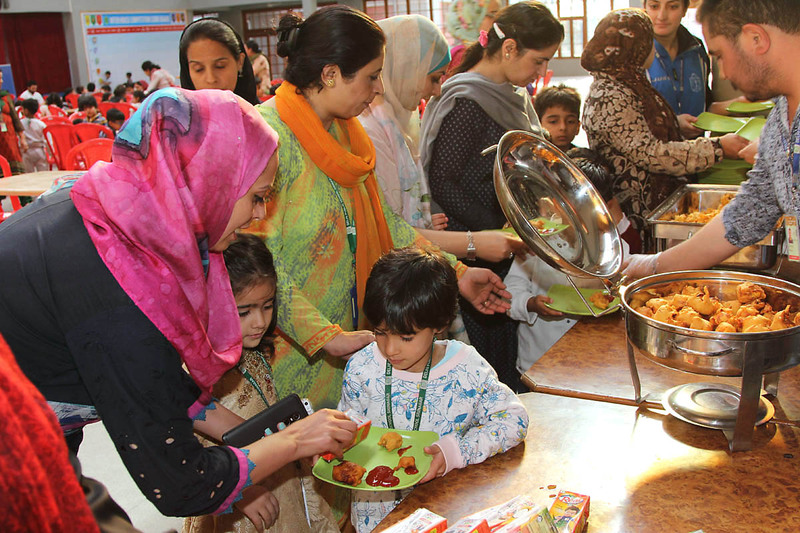 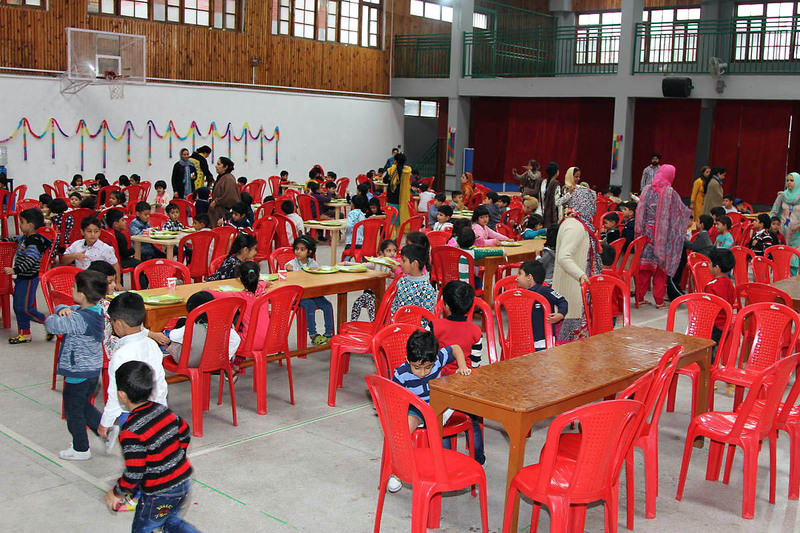 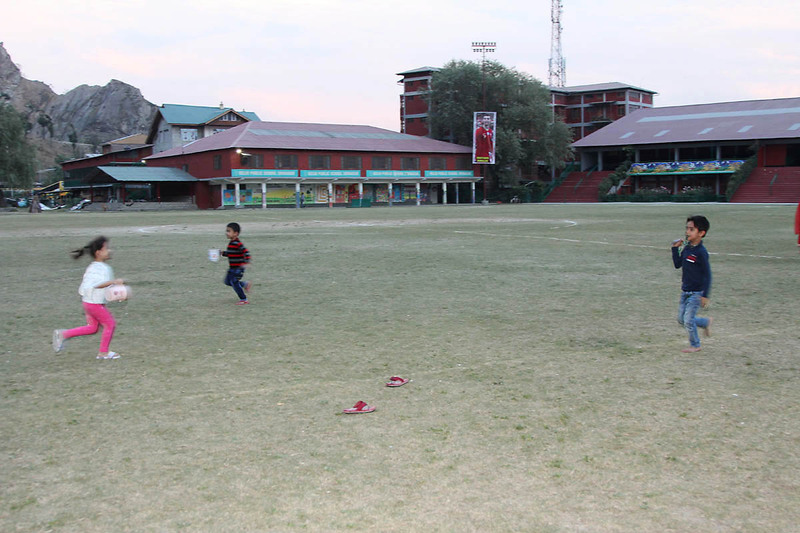 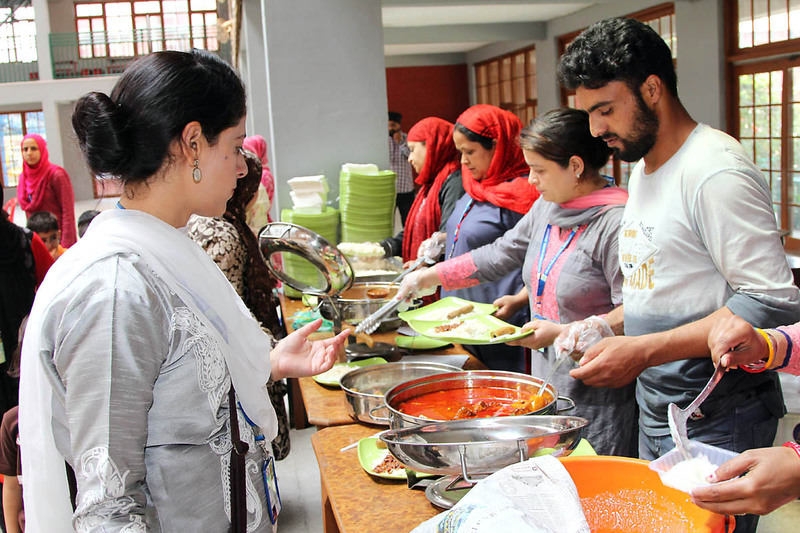 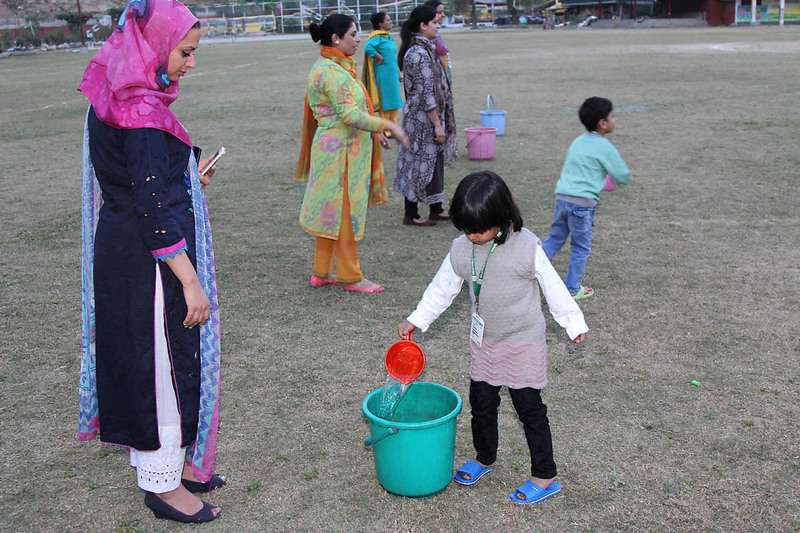 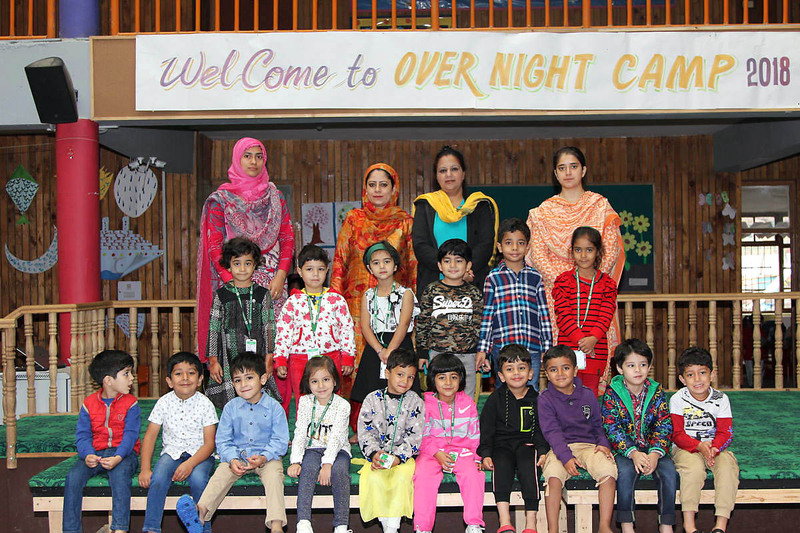 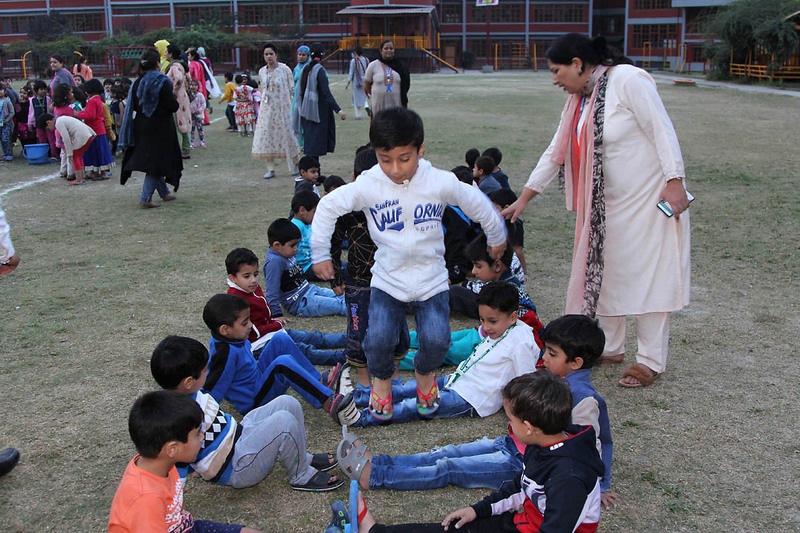 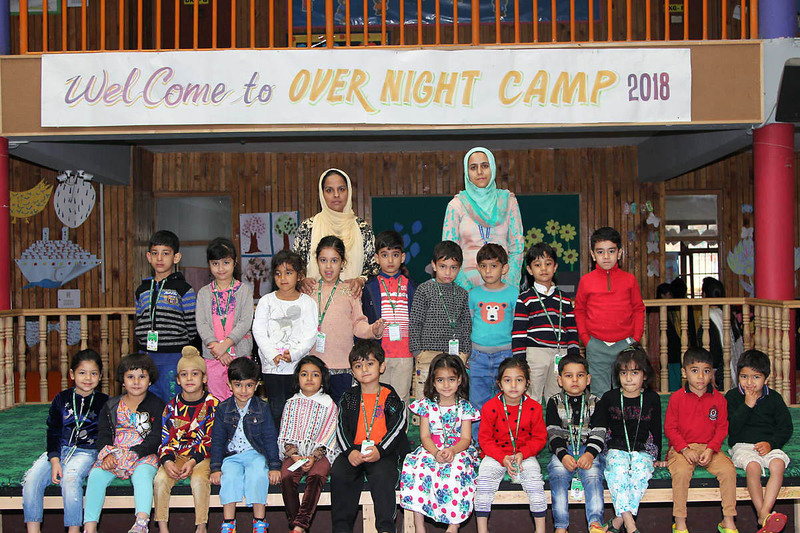 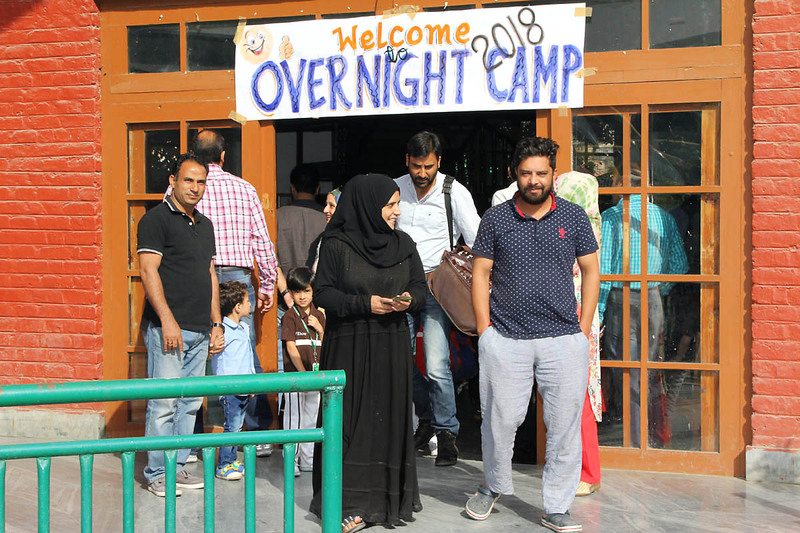 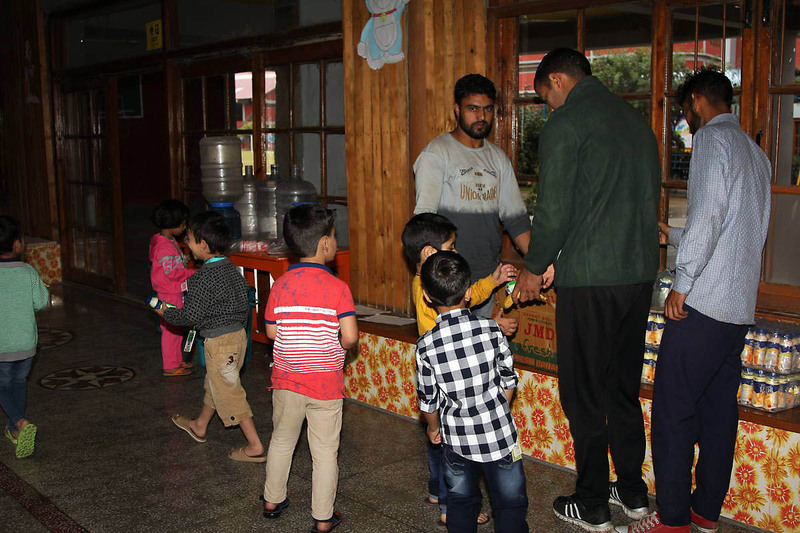 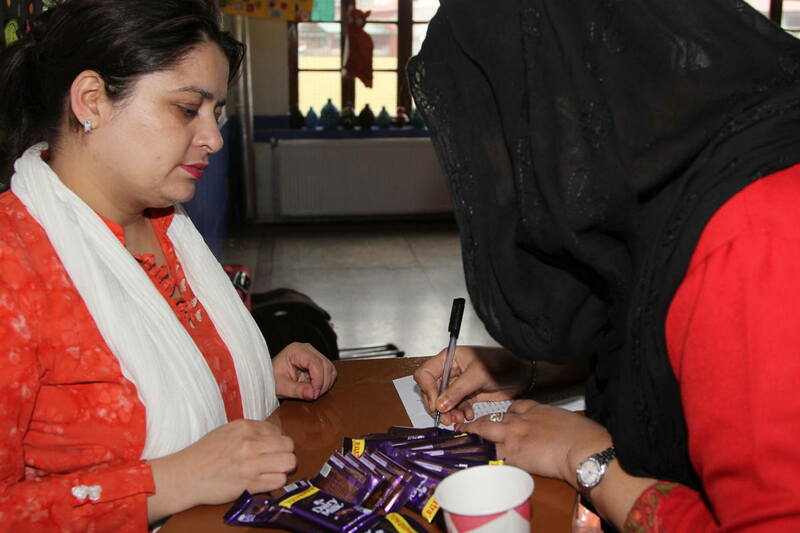 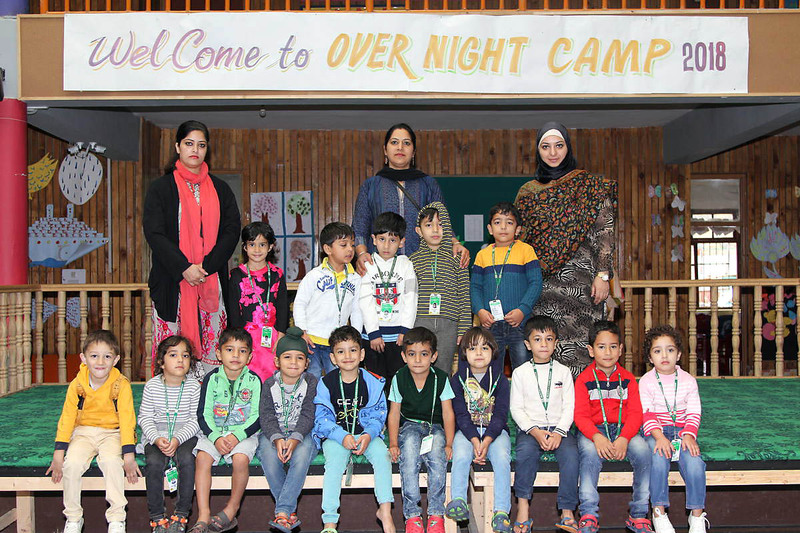 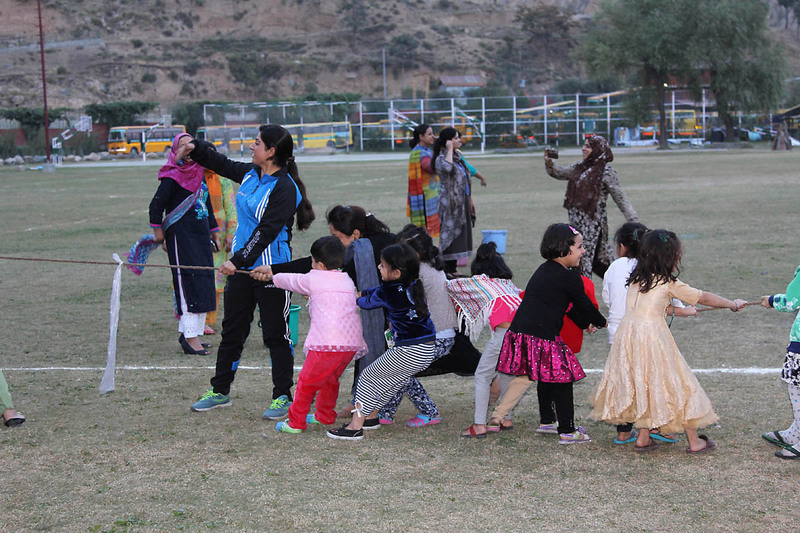 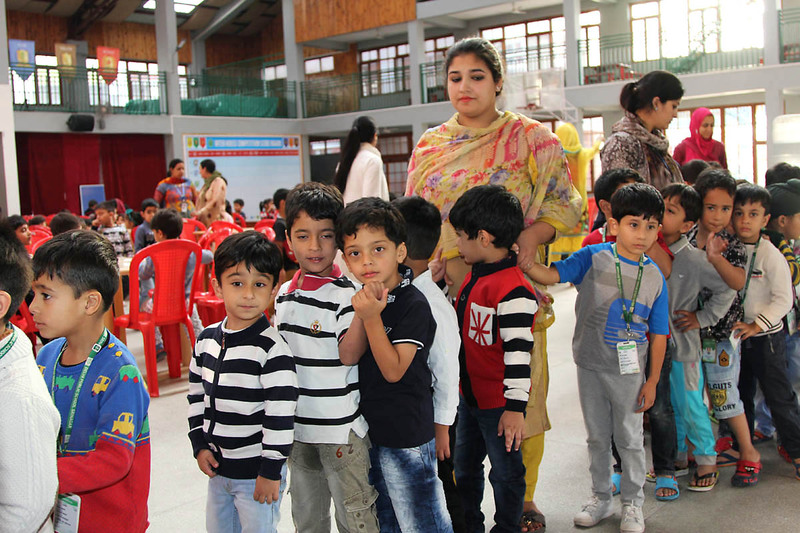 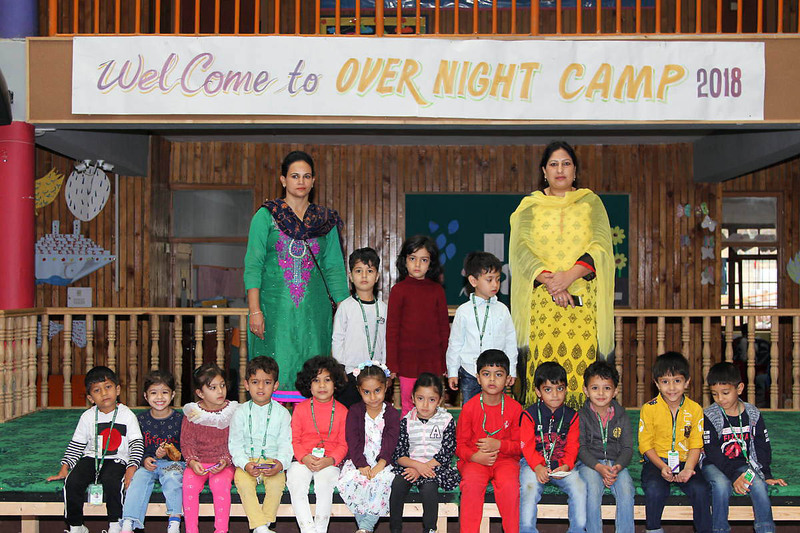 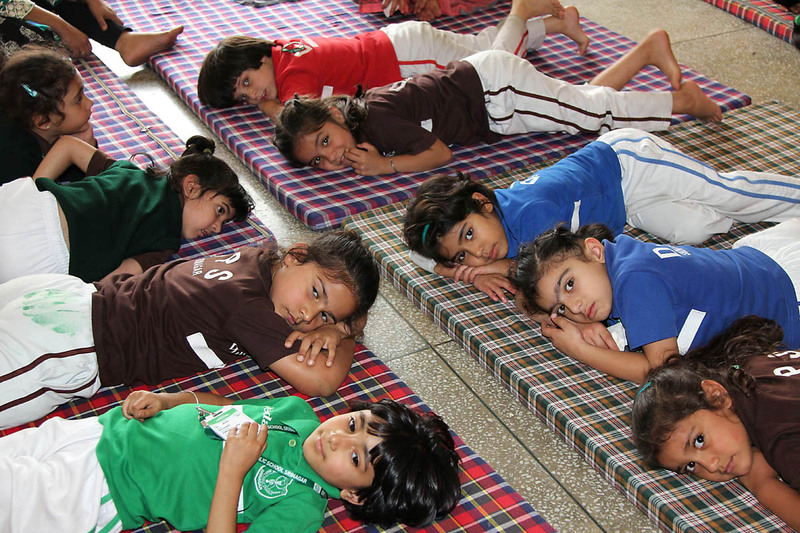 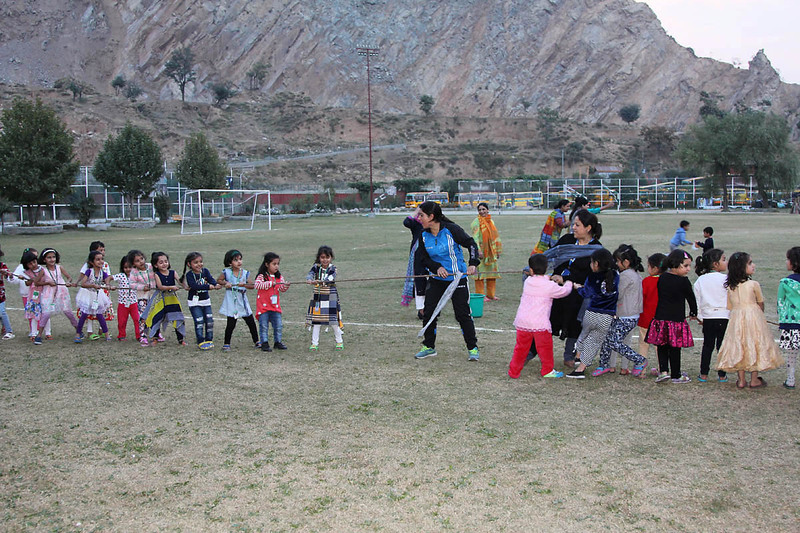 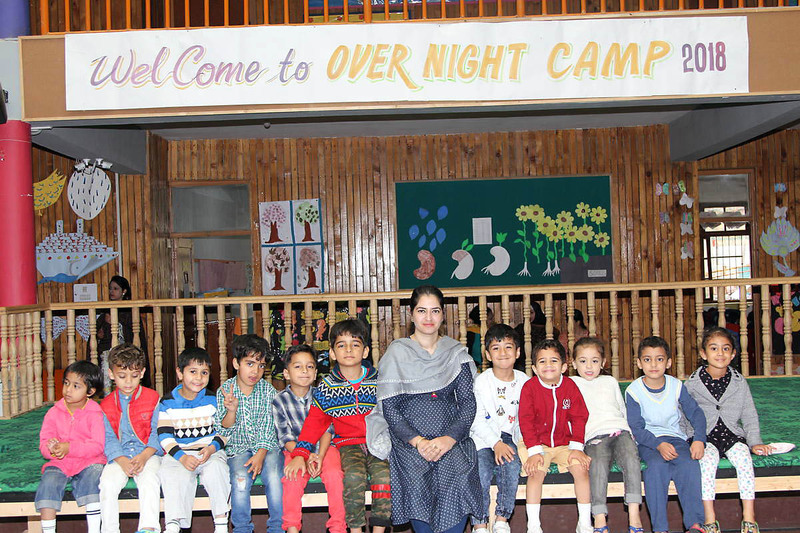 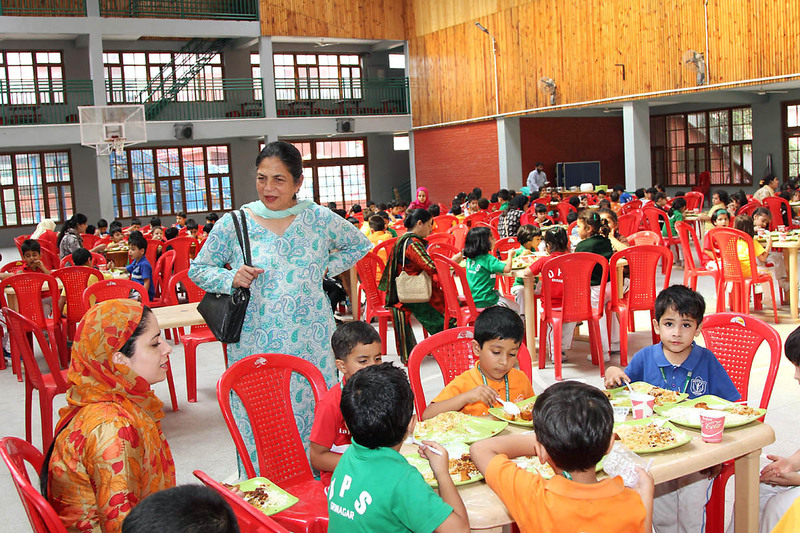 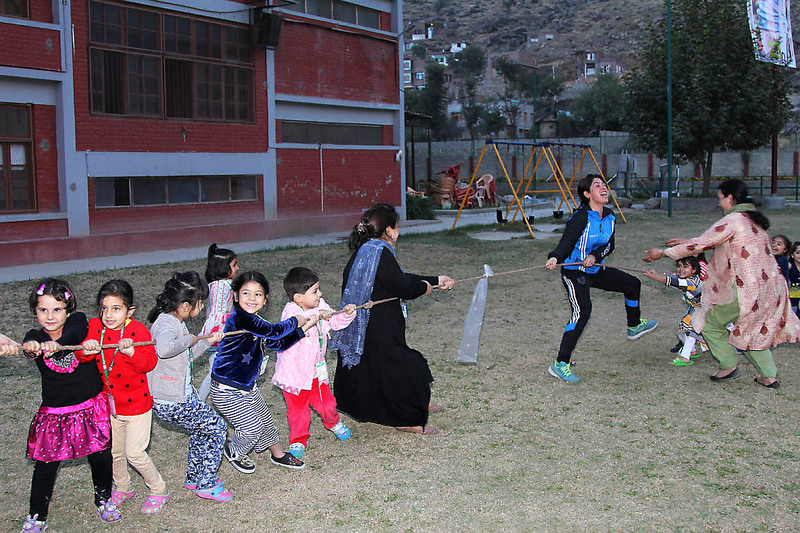 Keeping in view the importance of camps, Delhi Public School, Srinagar organized an Overnight Camp for Class LKG on 22nd and 23rd September, 2018. 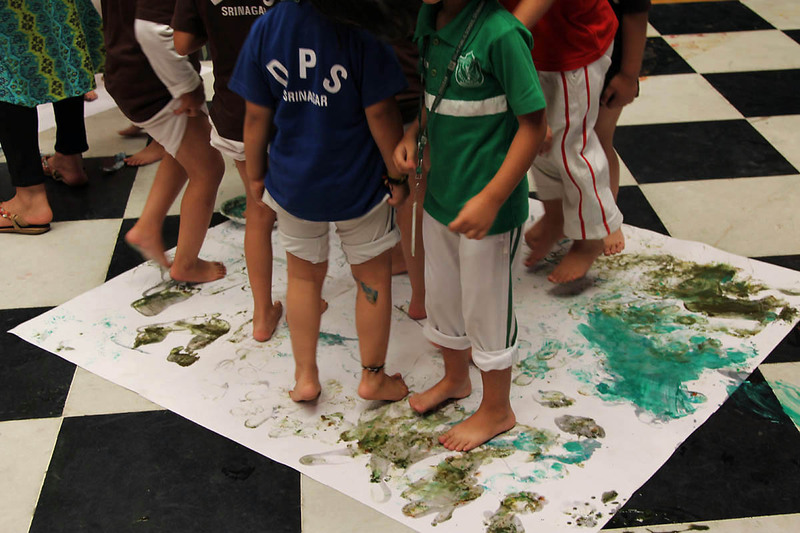 Hats off to the 175 girls and boys who walked in with a spring in their feet and a smile on their face. 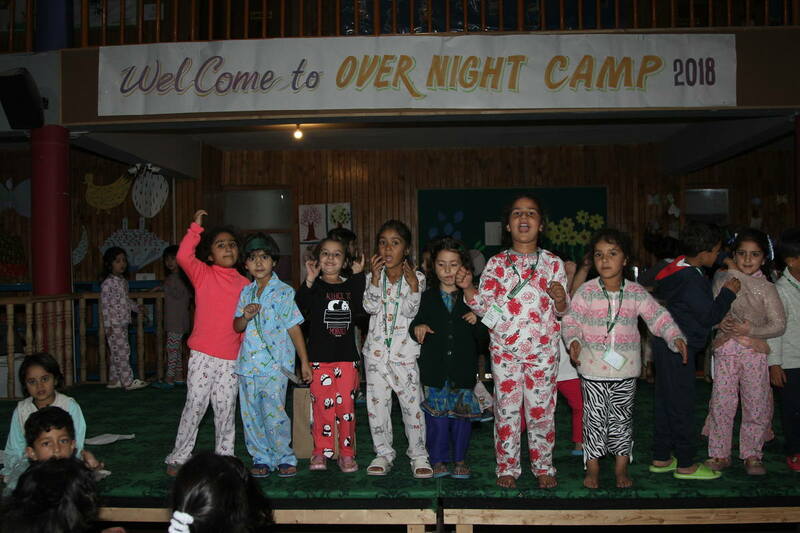 It’s time to get into the camp spirit! 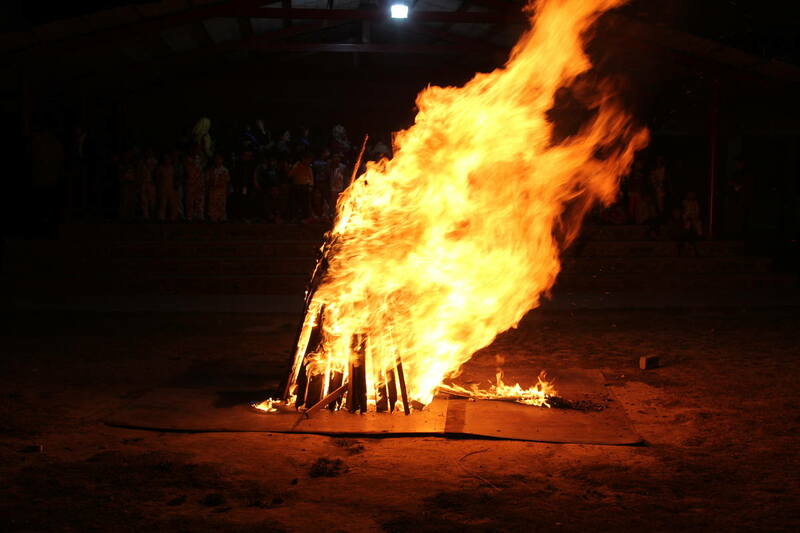 So, here we go! 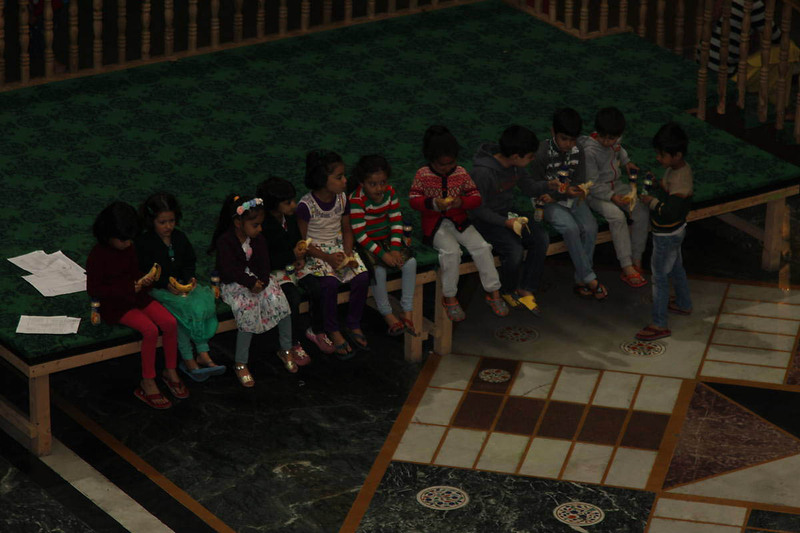 After a hearty breakfast, our bonny gals and guys, gave their best shot when they posed for a group photo. 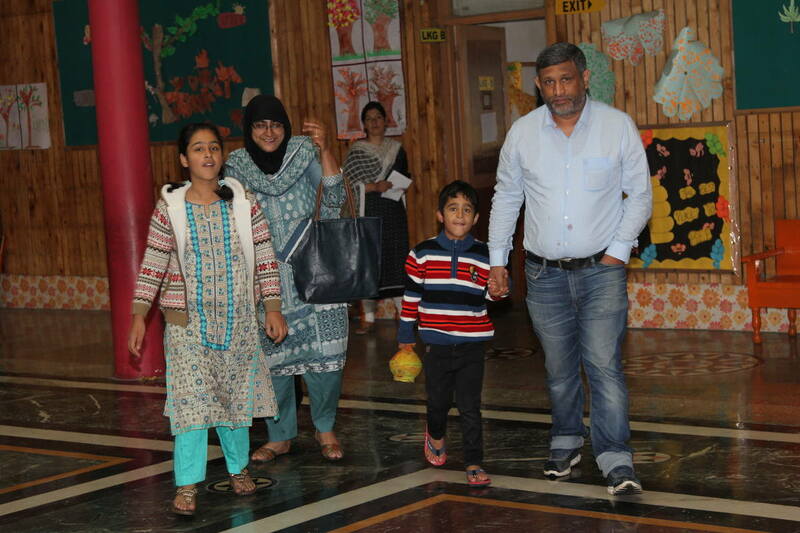 Time vanished like a jiffy and it was time to say adieu. 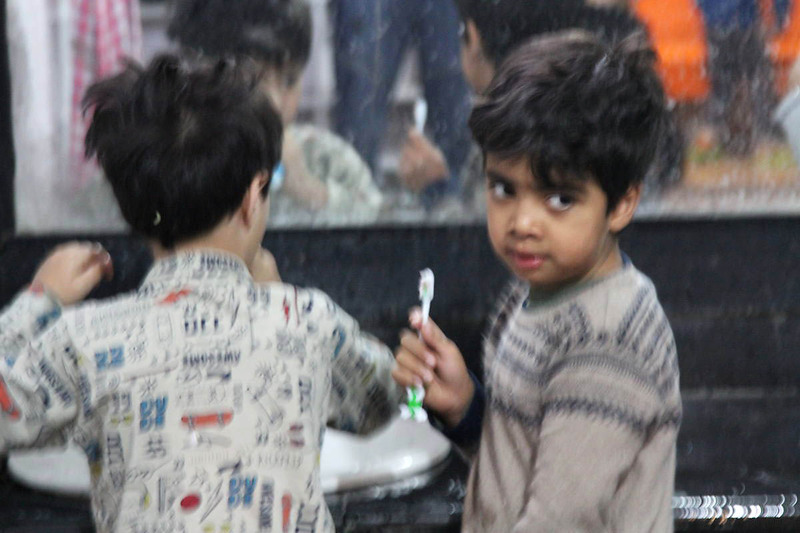 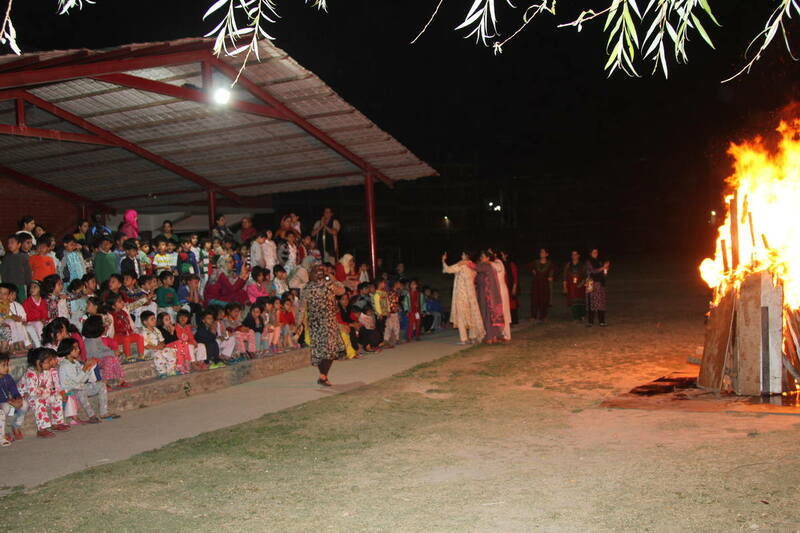 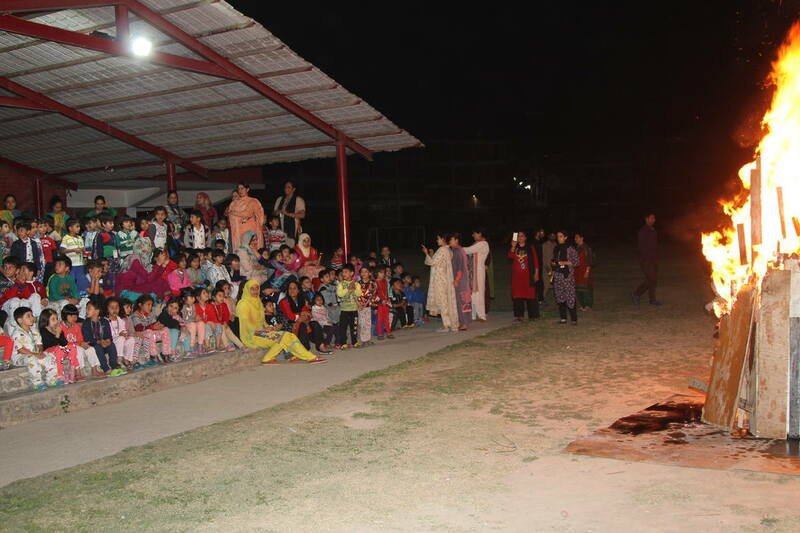 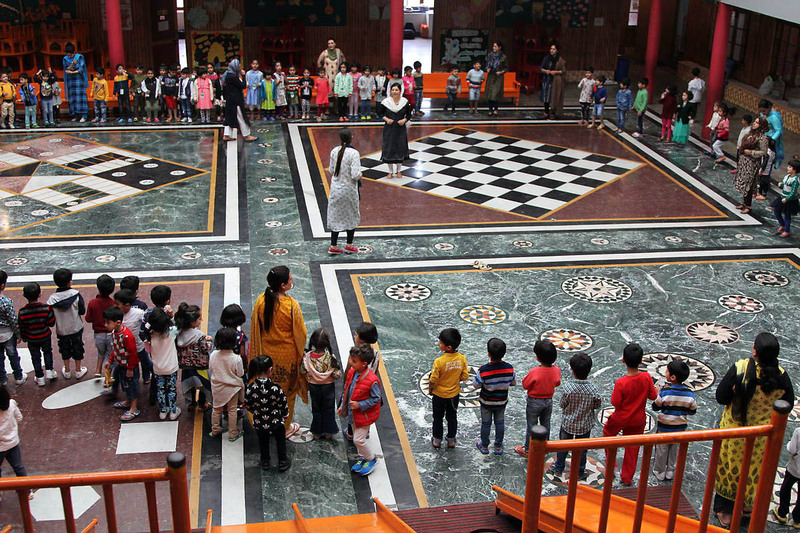 The Overnight Camp ended with the assembly- children sang songs; spoke about what they liked at the camp.Parents were indeed surprised to see that their kids had stayed away from them without hardly any fuss. 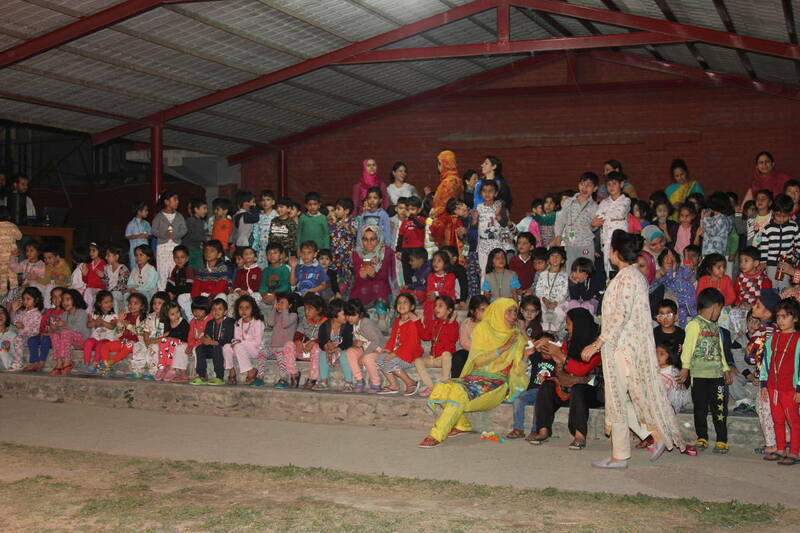 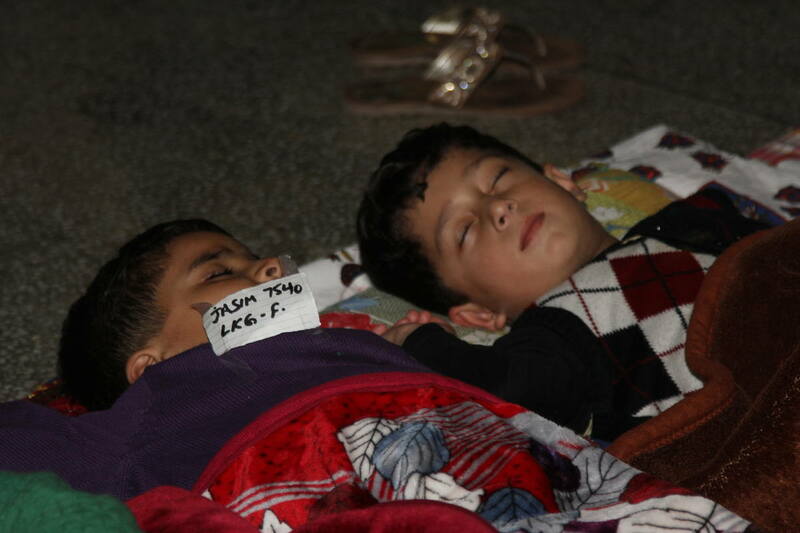 Many students, infact, didn’t want to leave. 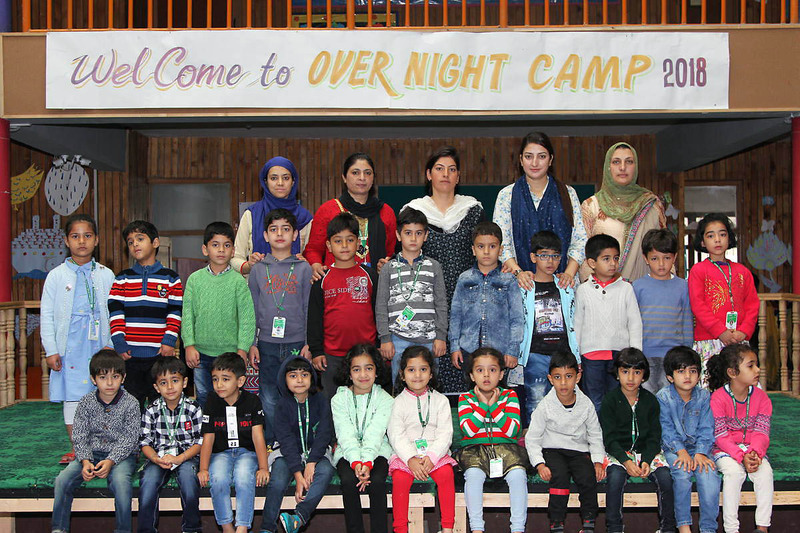 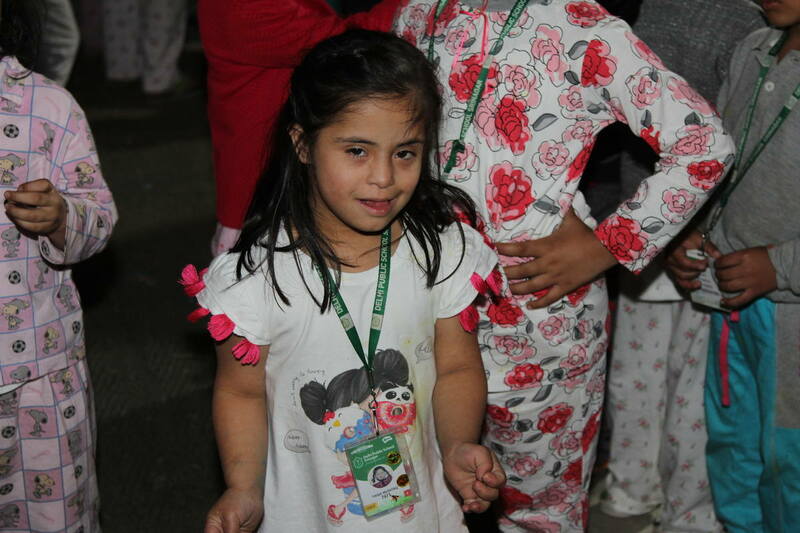 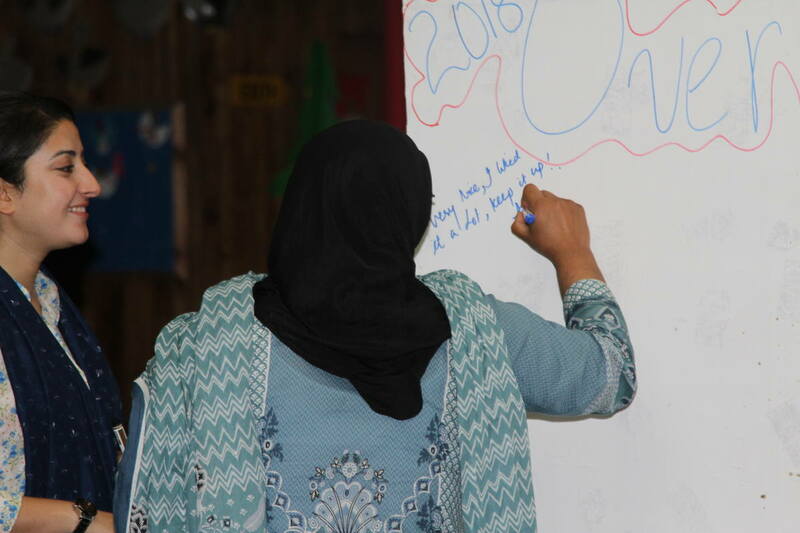 The Overnight Camp succeeded in making our students more confident and self-reliant and taught them skills of independence, doing things with responsibility from a very young age. 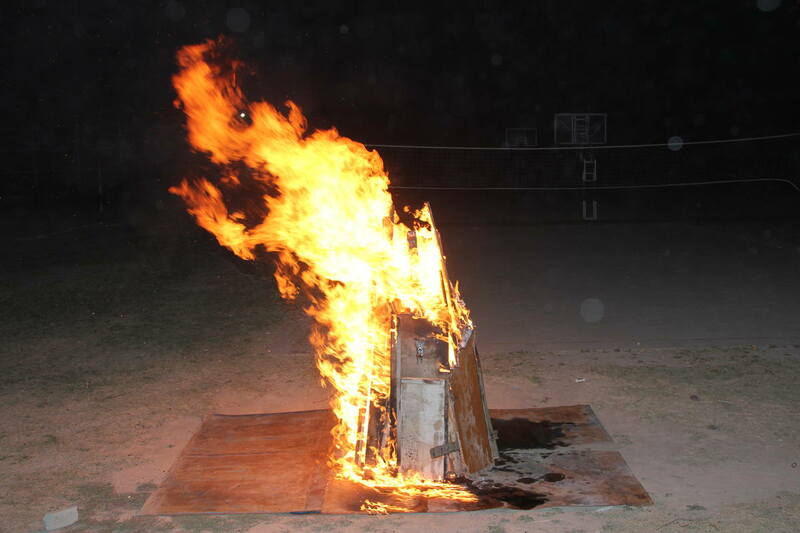 Bravo, youngsters. 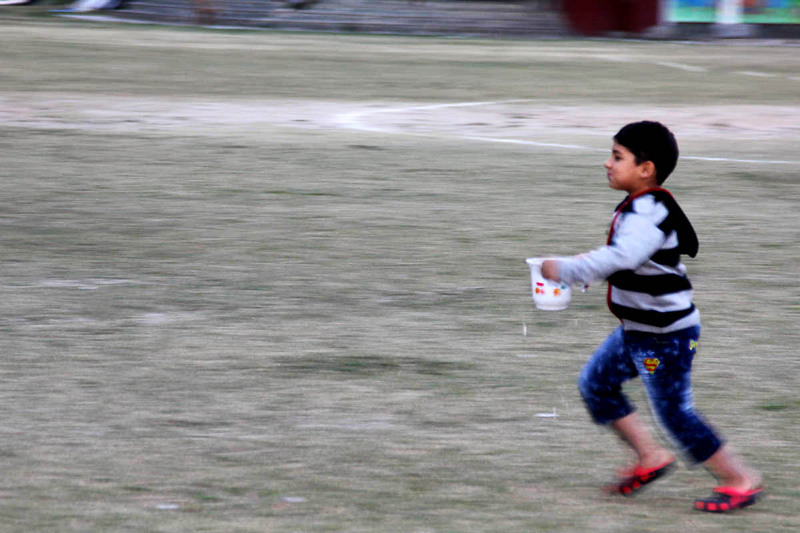 You sure did grow up in a span of a day! 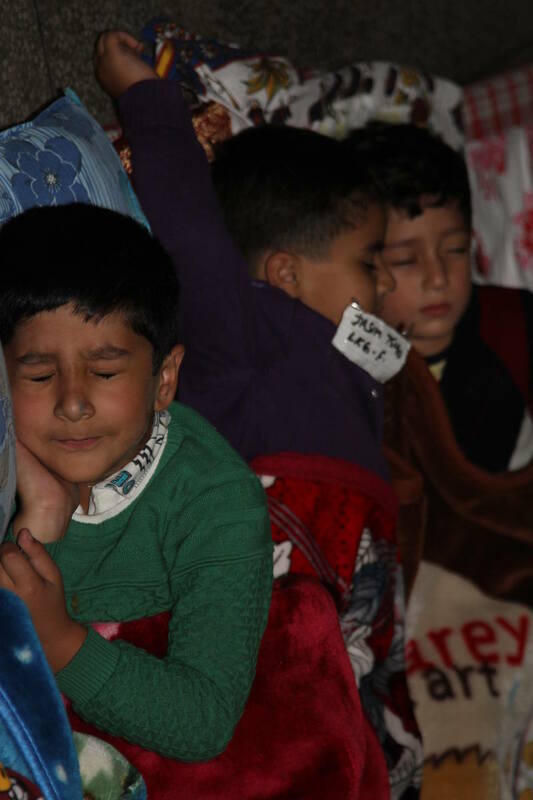 The kids woke up with the rising sun. 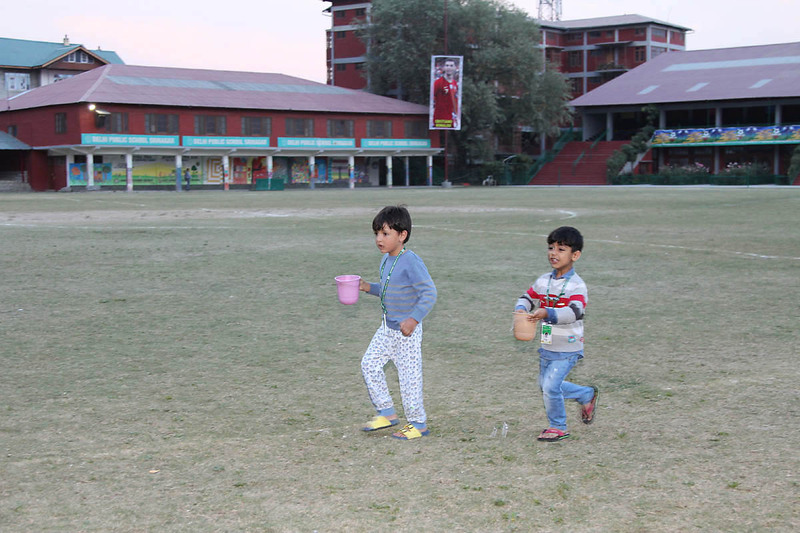 A brisk morning walk and exercise gets our youngsters in the right mood to start a new day. 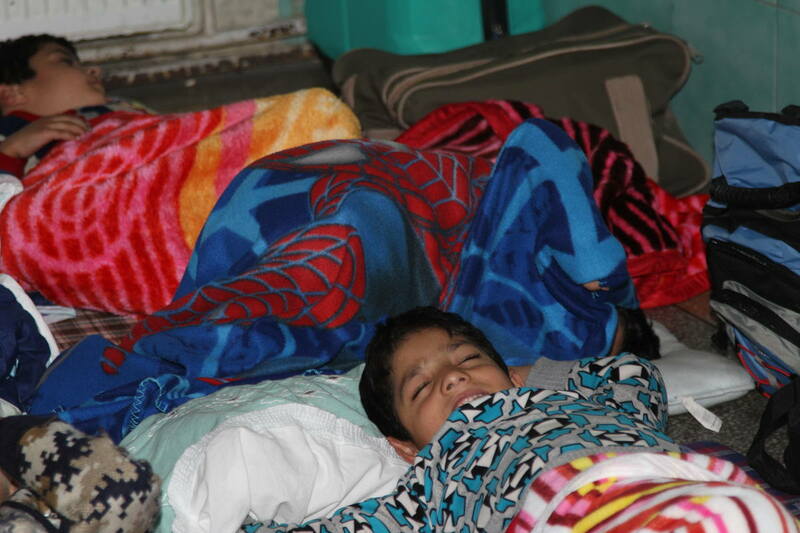 Finally exhausted, our cuties nod off to sleep to recharge their bodies. 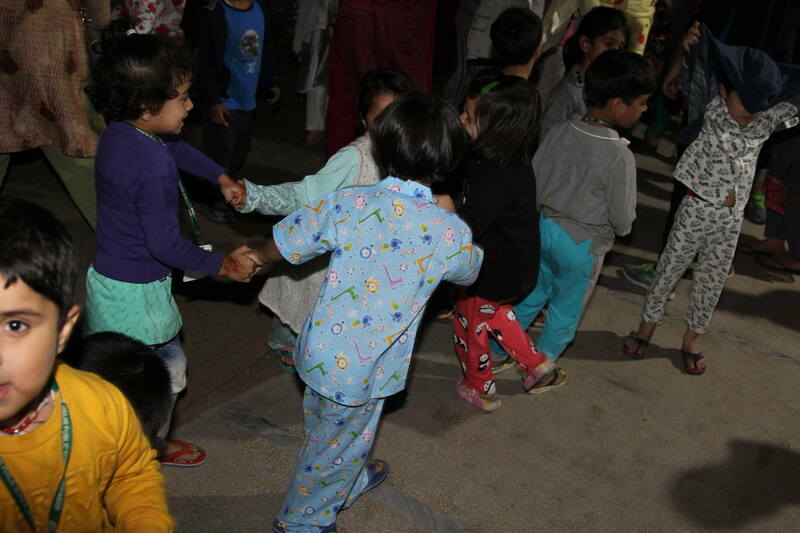 Then came the time to move their bodies on campfire songs. 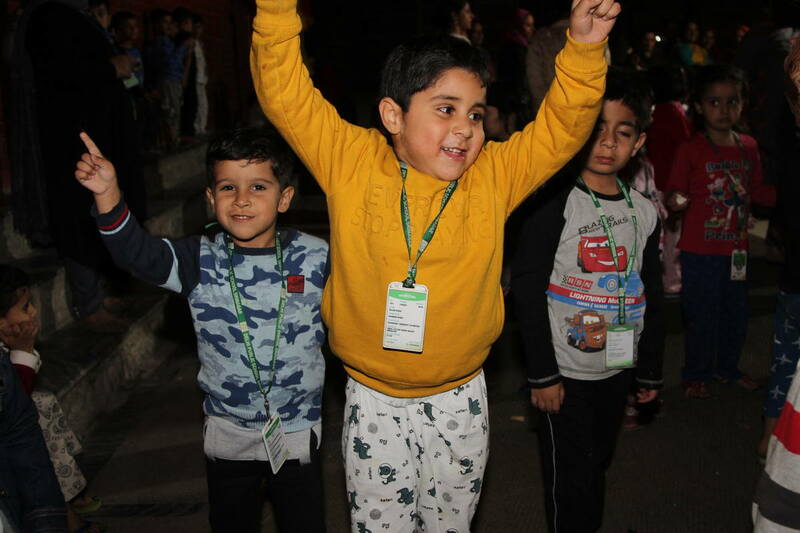 The kids enjoyed it the most. 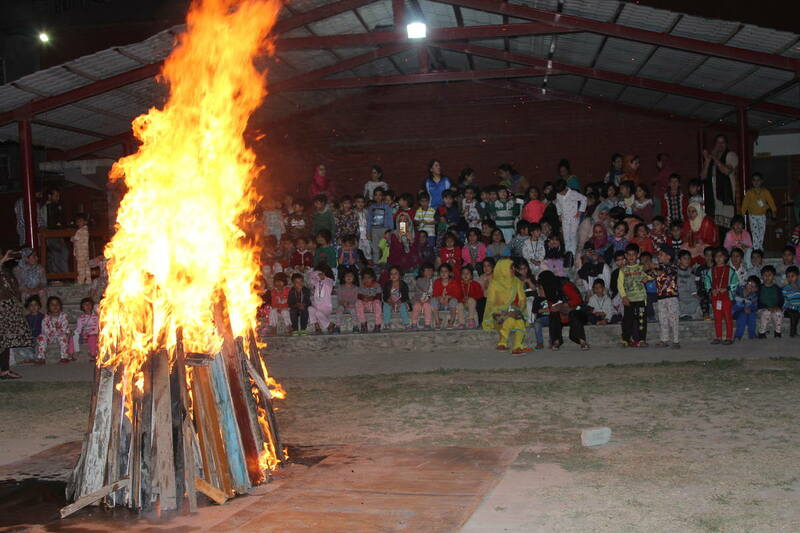 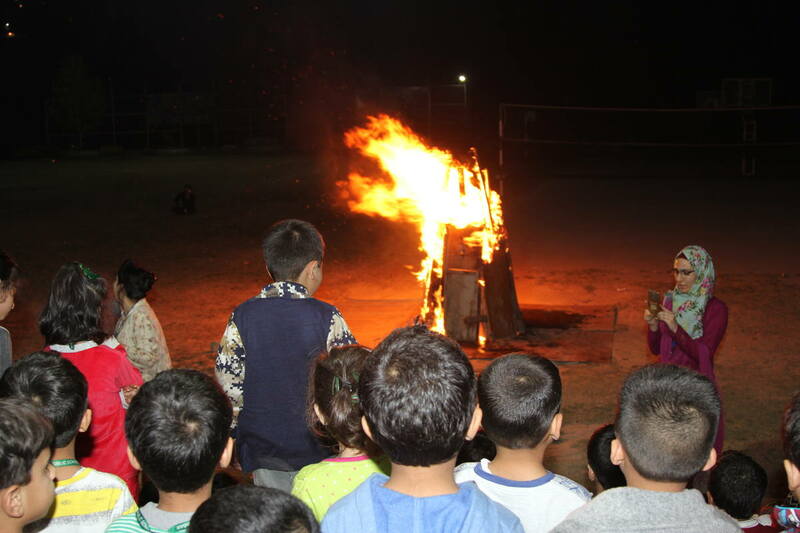 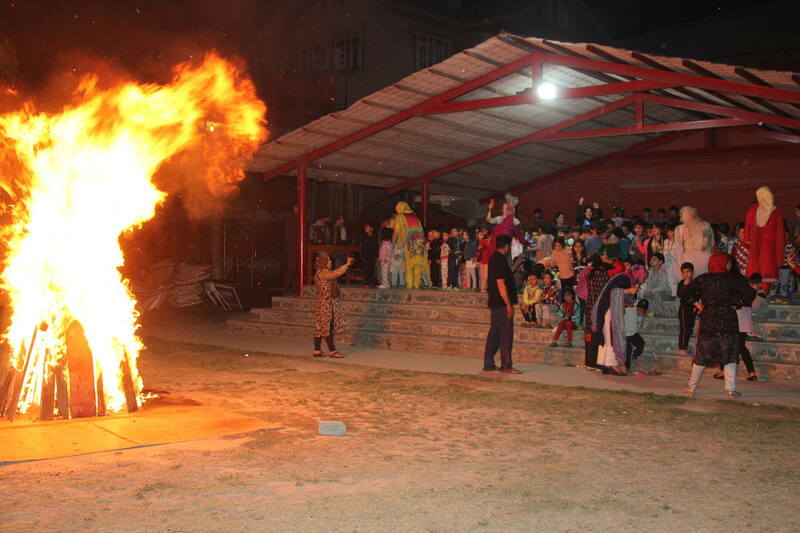 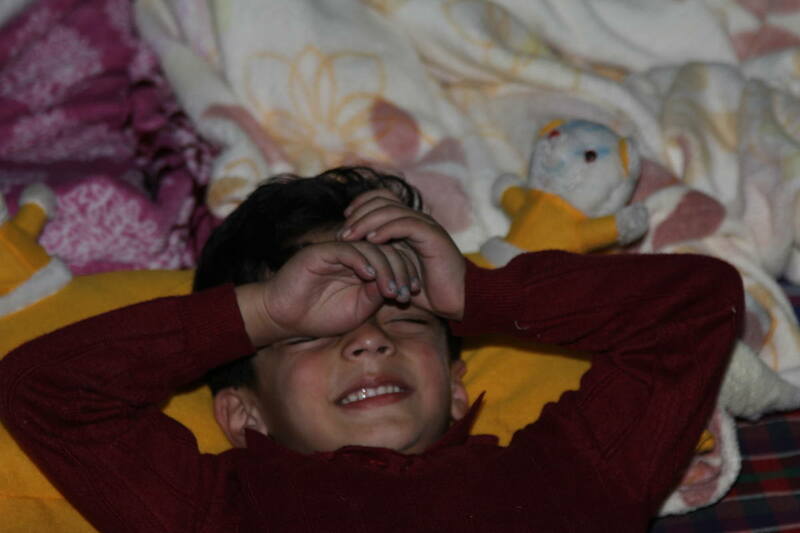 As the flames of the bonfire leaped high, so did the excitement on the faces of our youngsters. 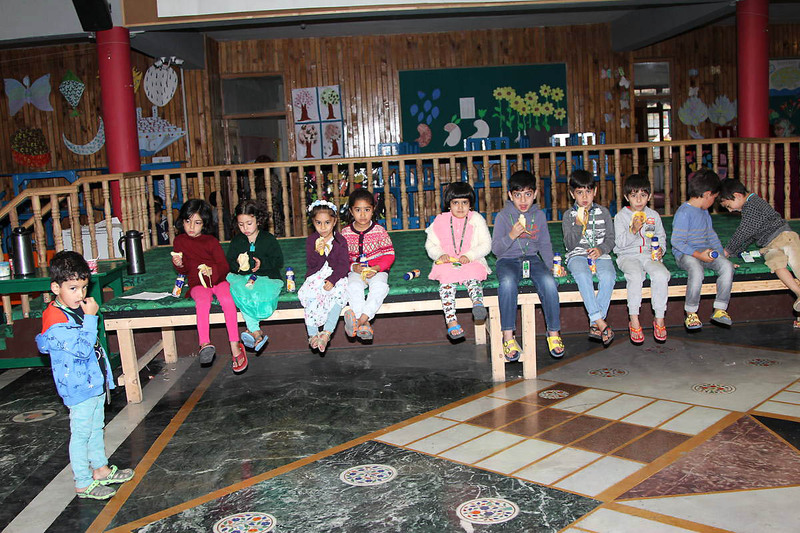 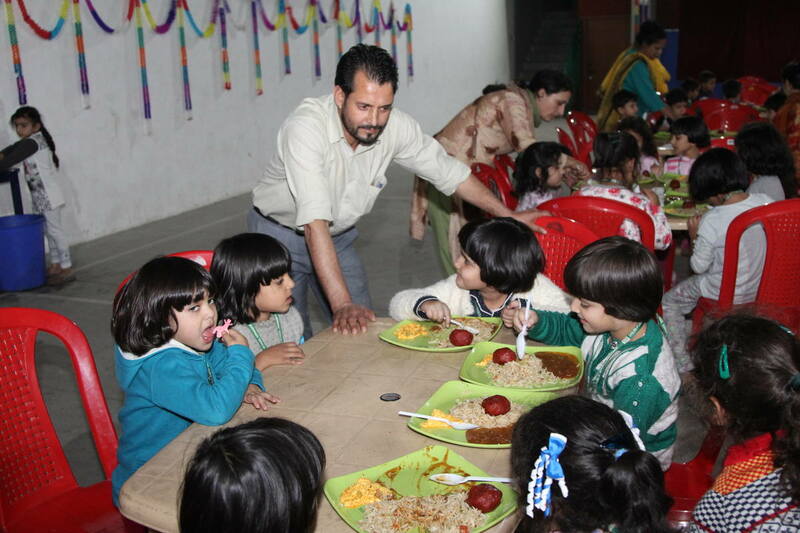 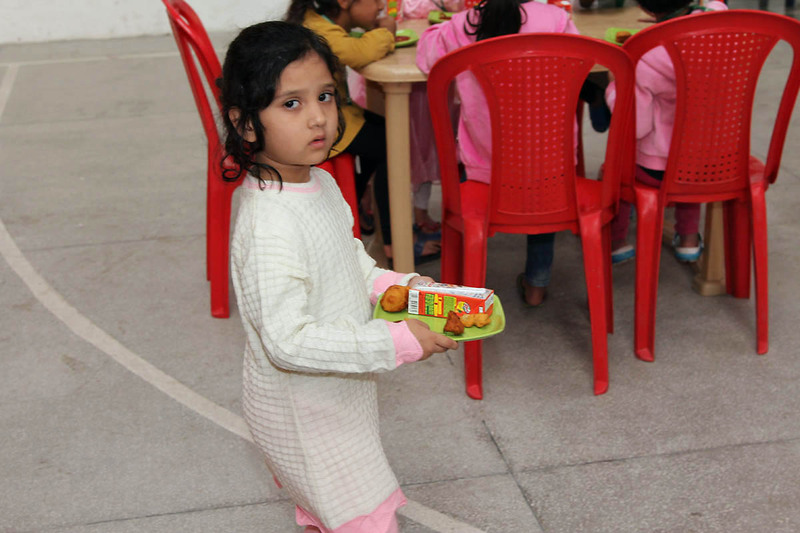 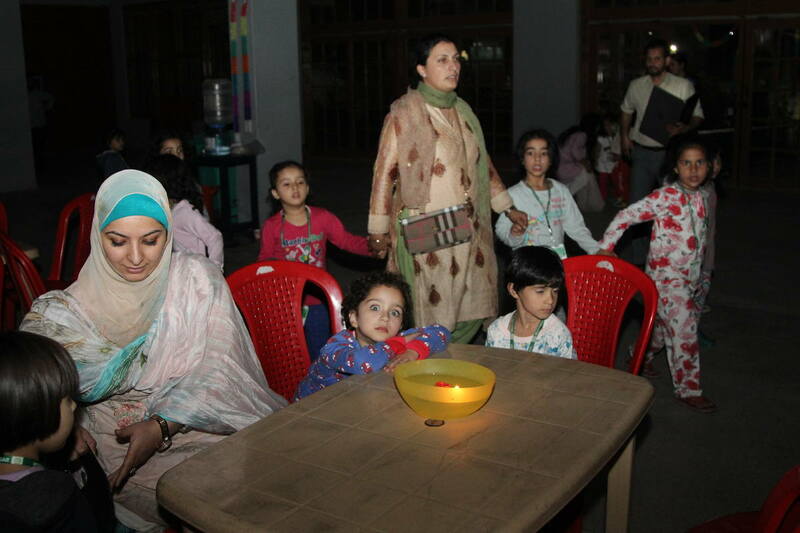 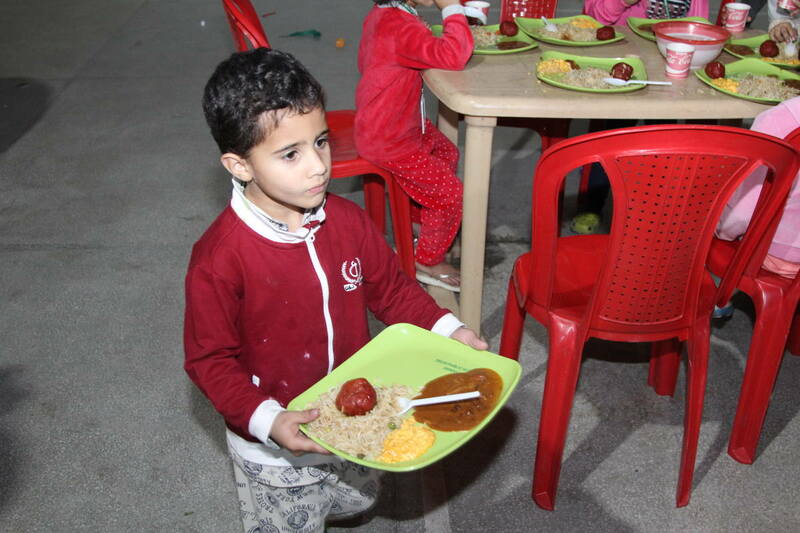 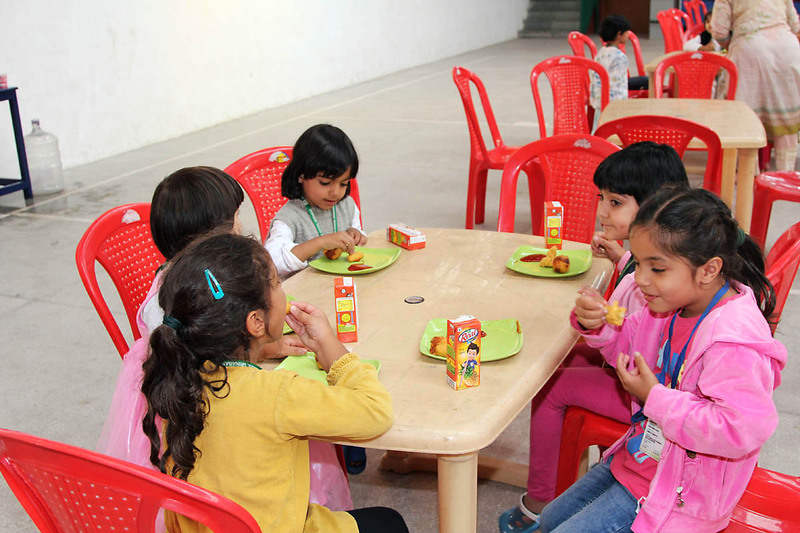 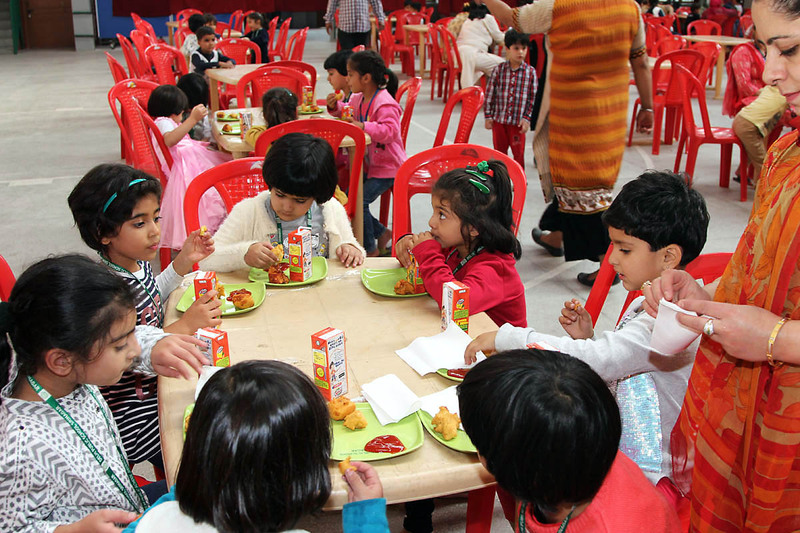 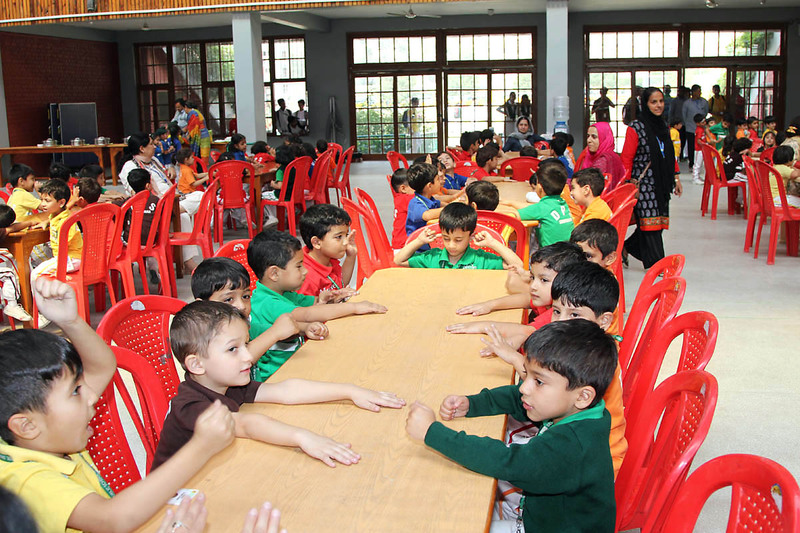 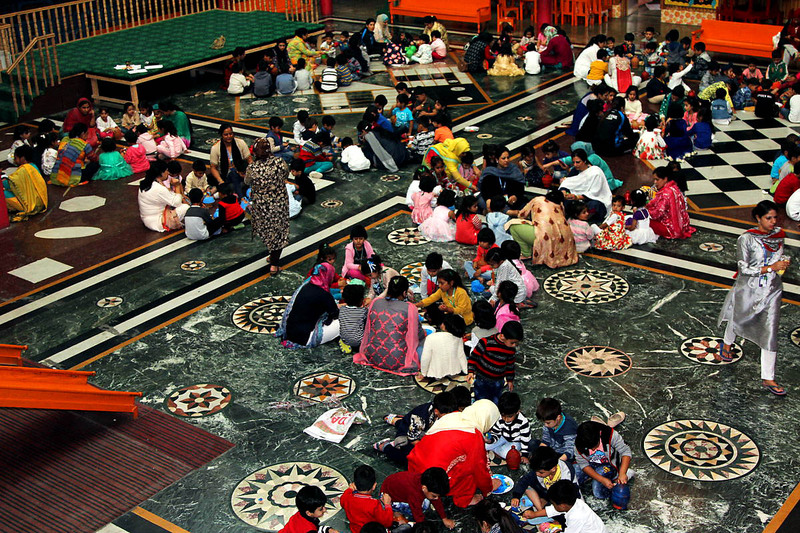 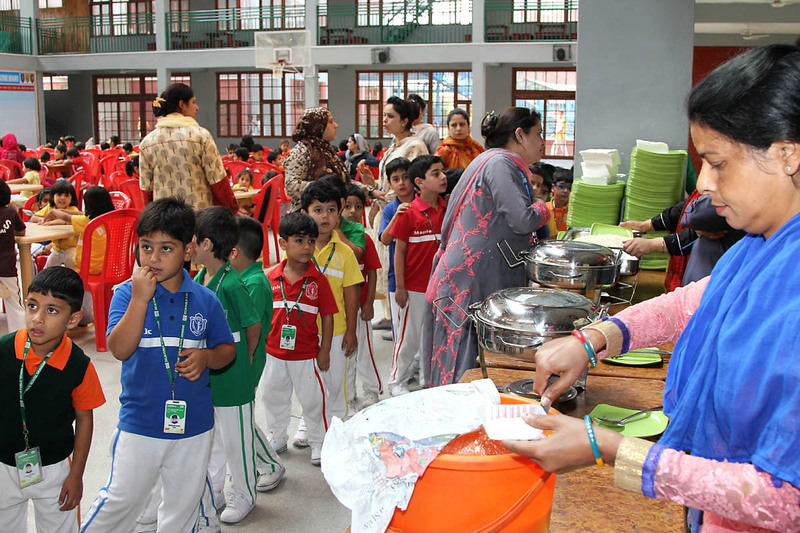 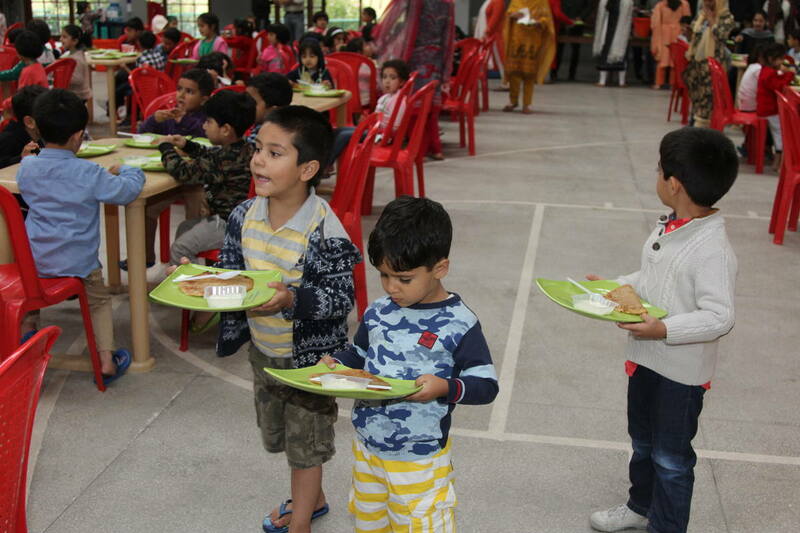 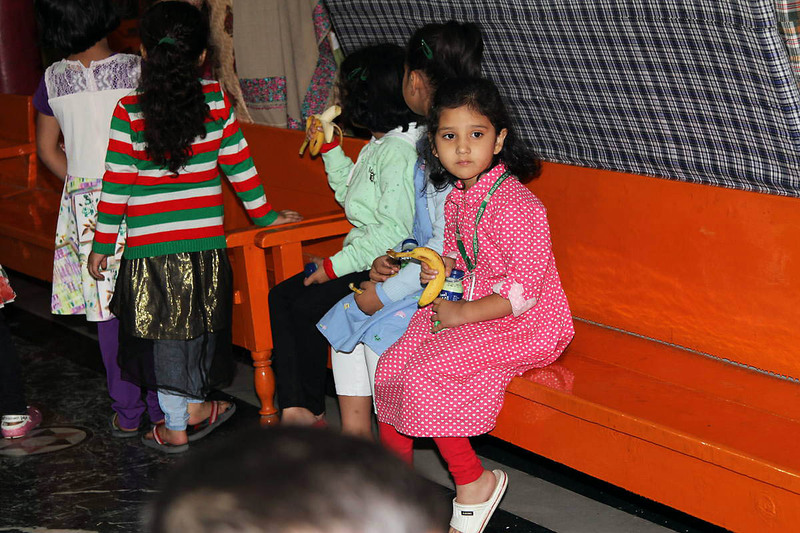 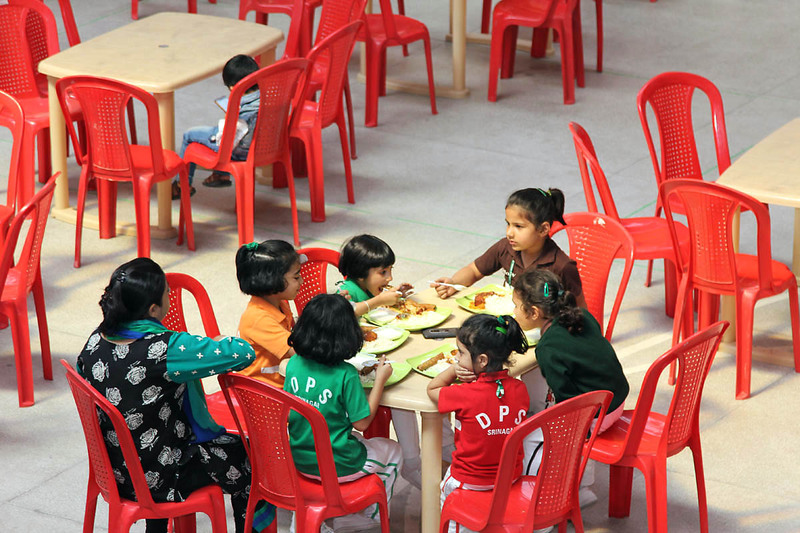 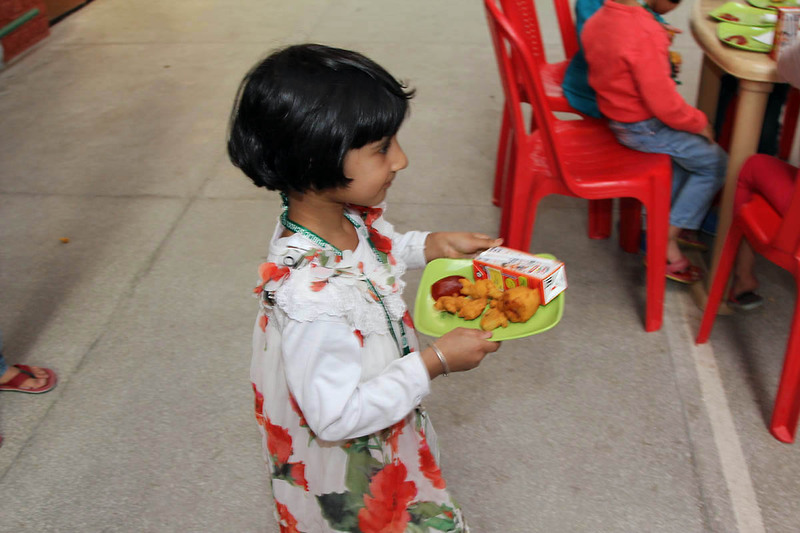 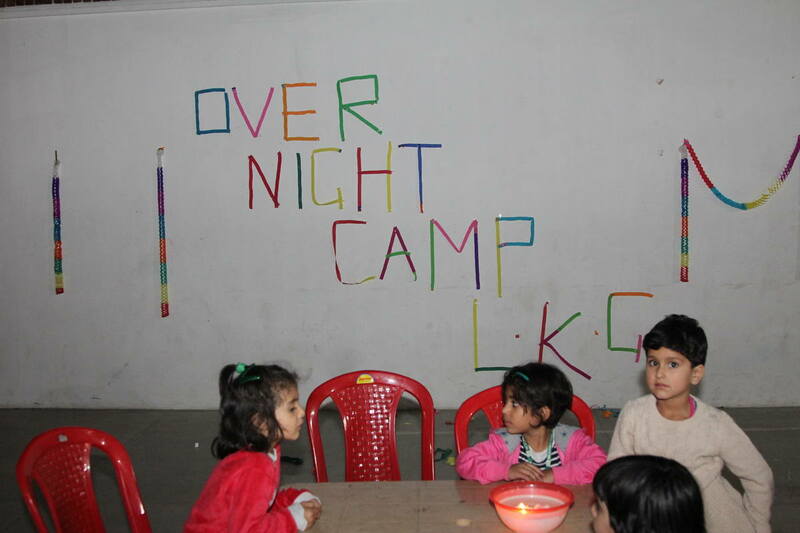 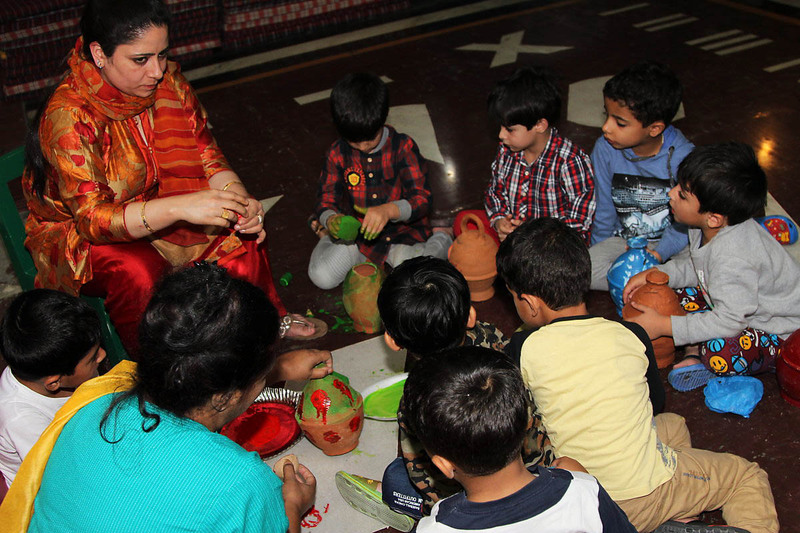 LKG kids were treated to a special candlelit dinner in the “Indoor Stadium”. 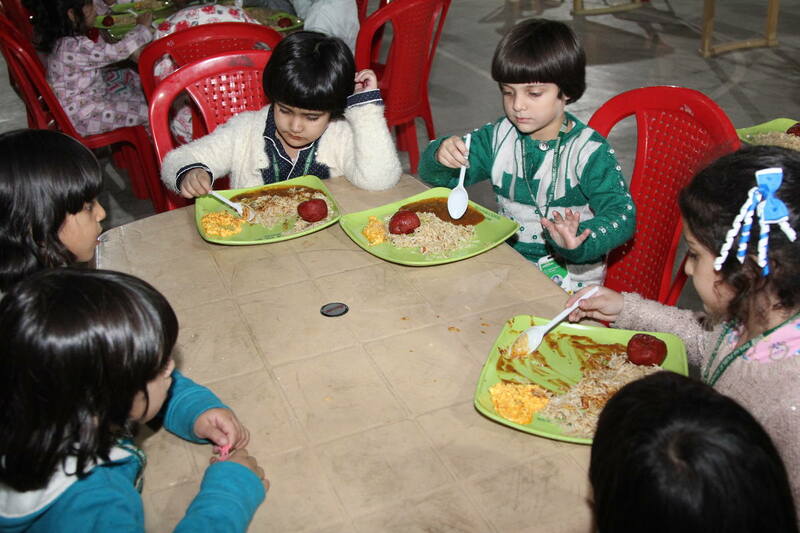 The ravenous kids dig in their plates and ate to their heart’s content. 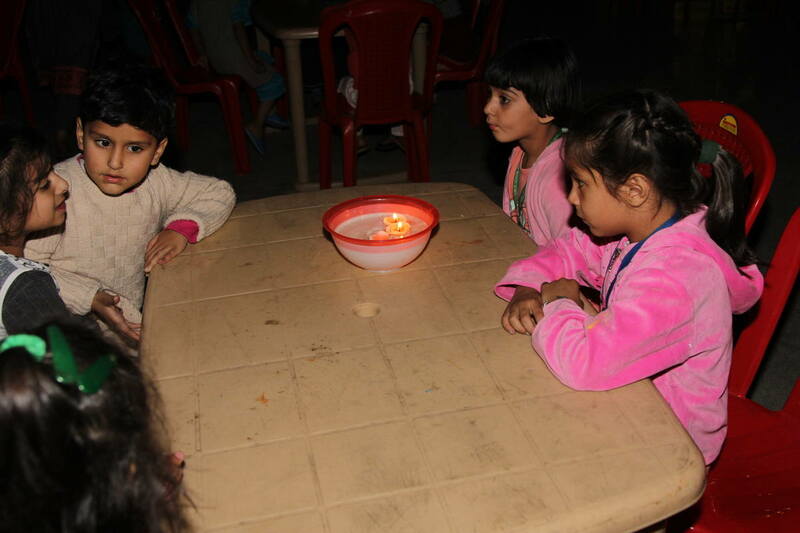 To keep our little campers excited and to make them understand about teamwork, games like “Empty the Bucket”, “Ladder Game” etc. 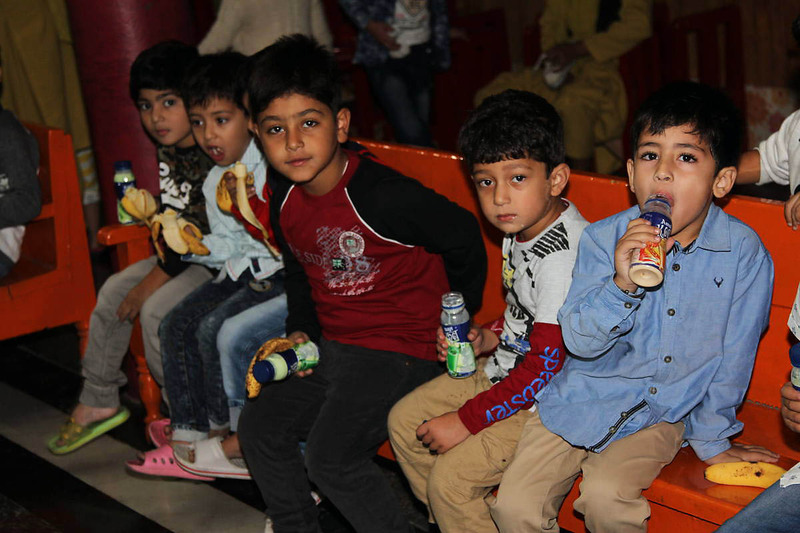 were arranged for the kids. 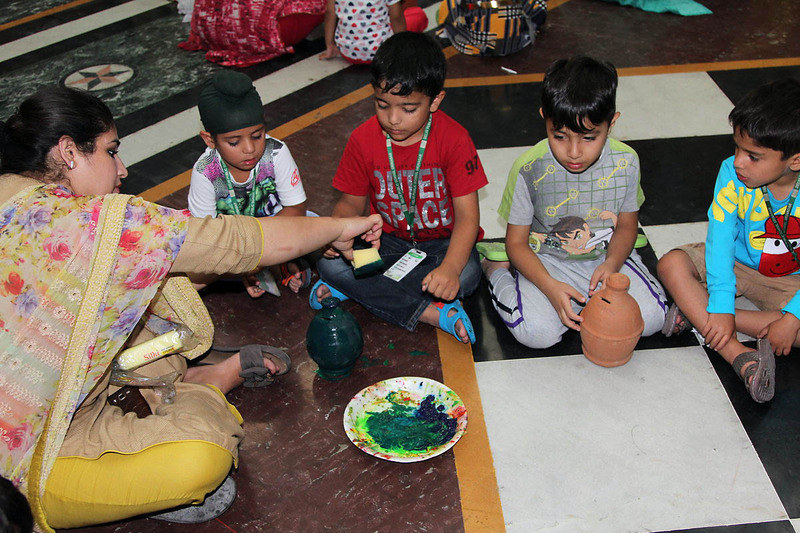 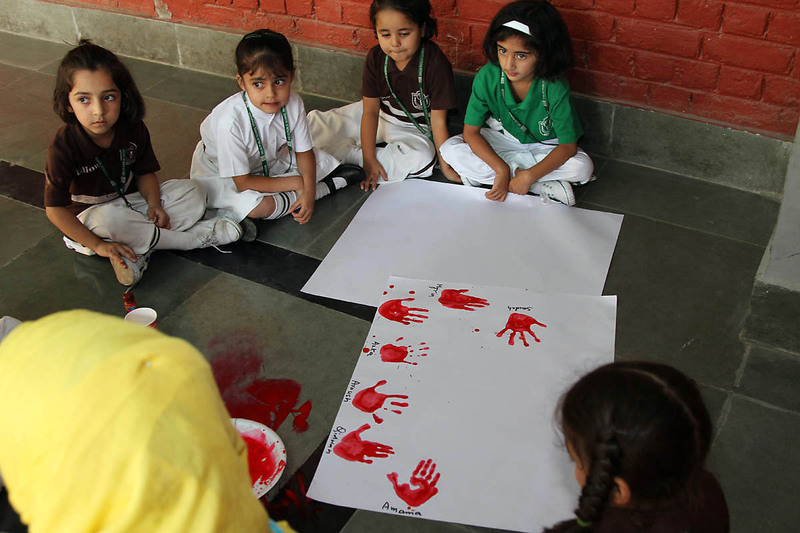 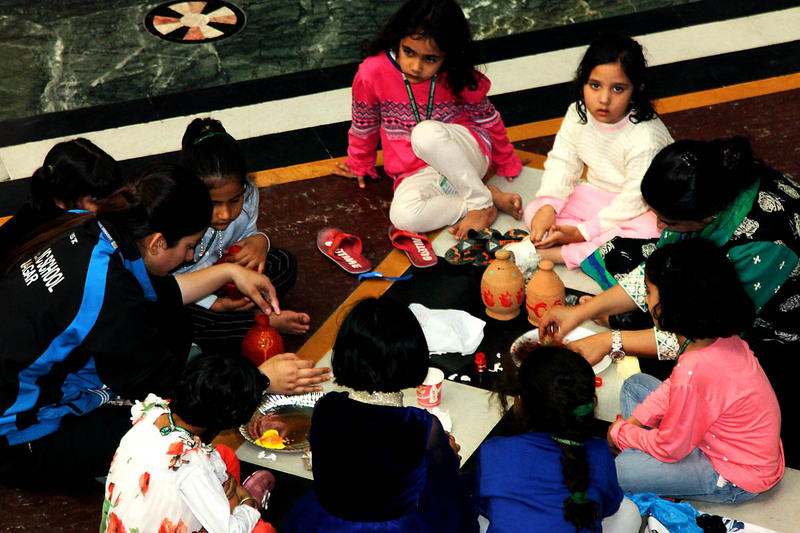 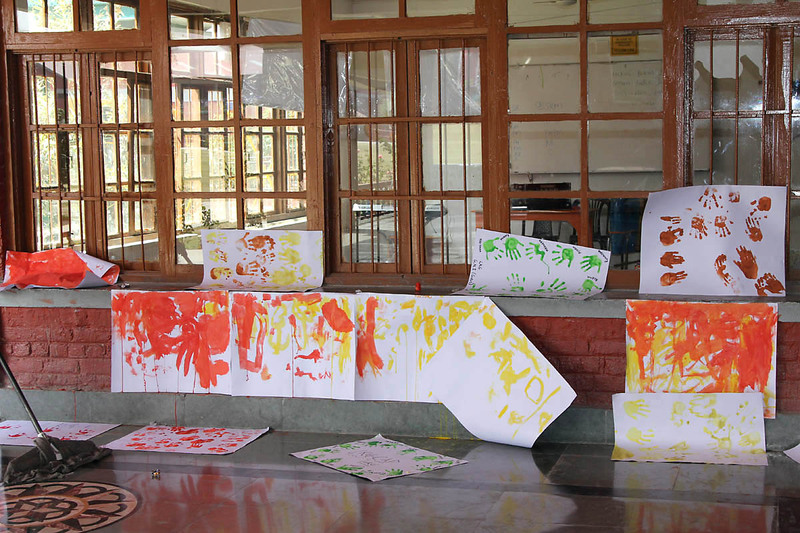 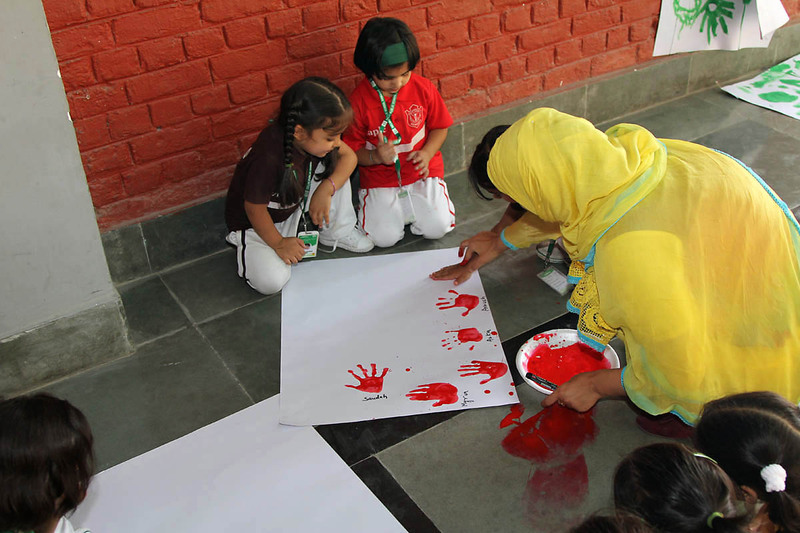 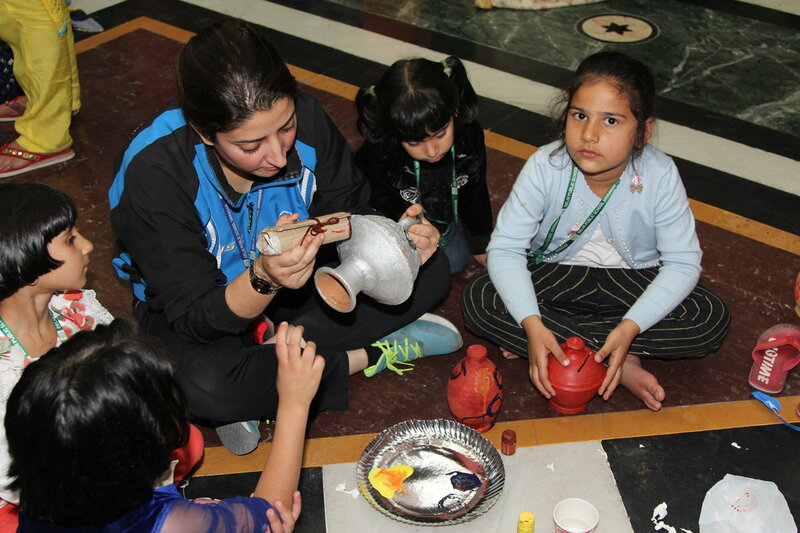 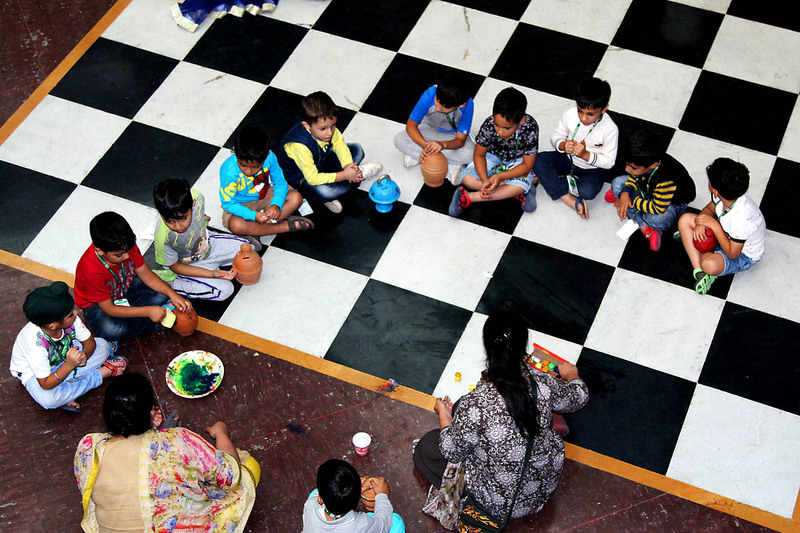 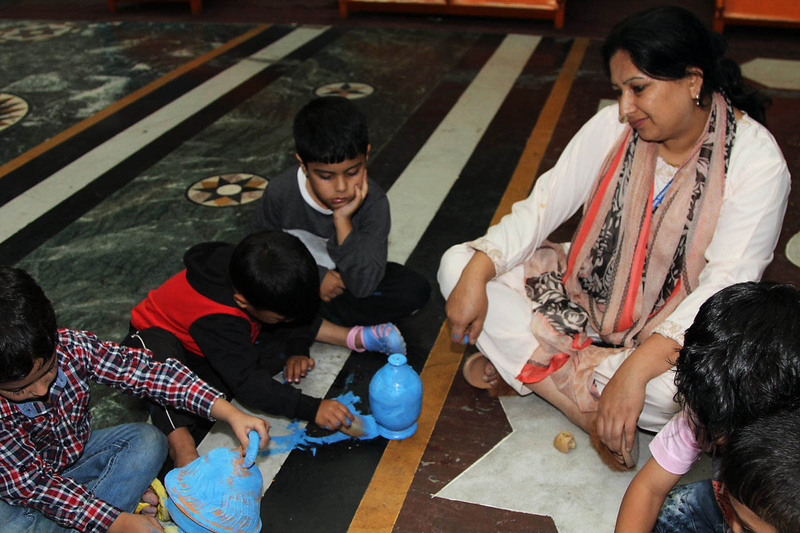 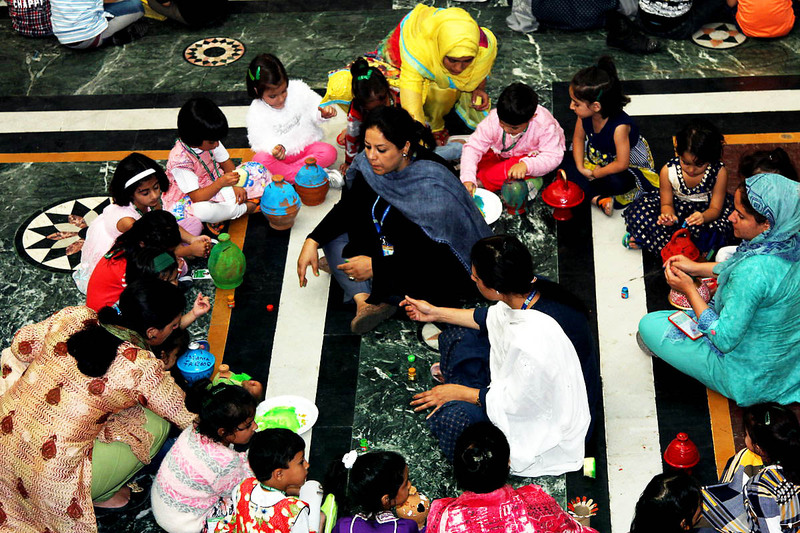 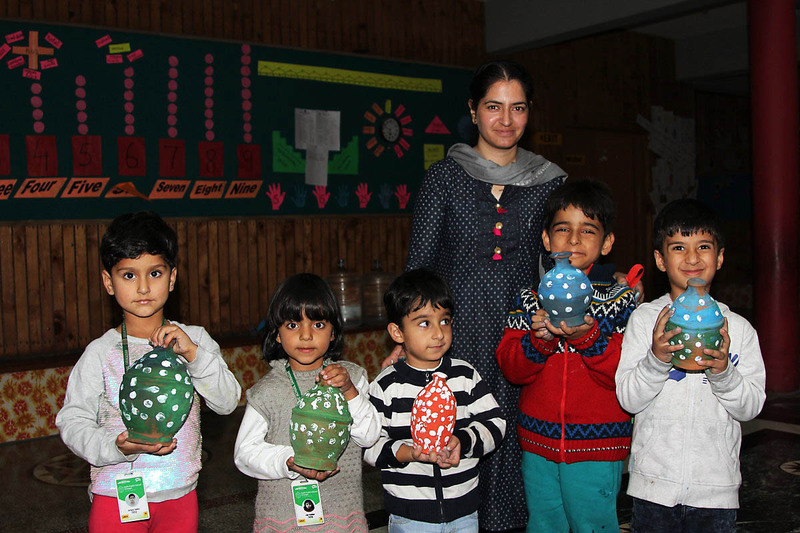 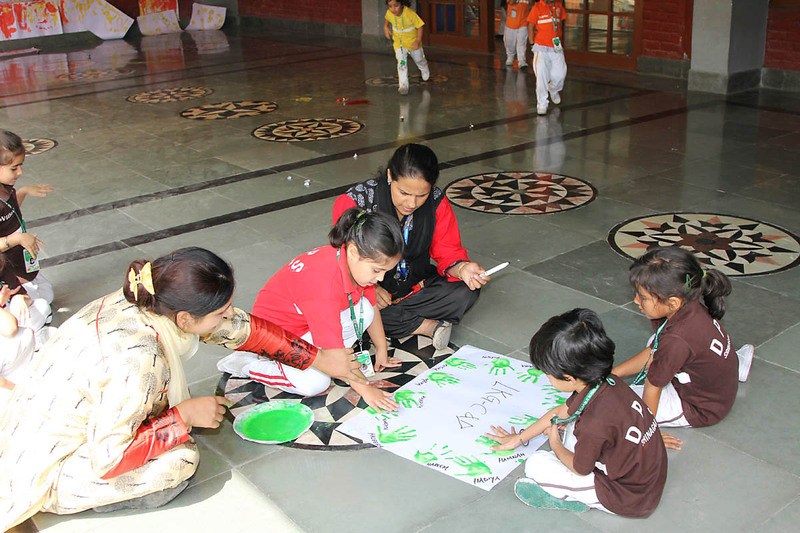 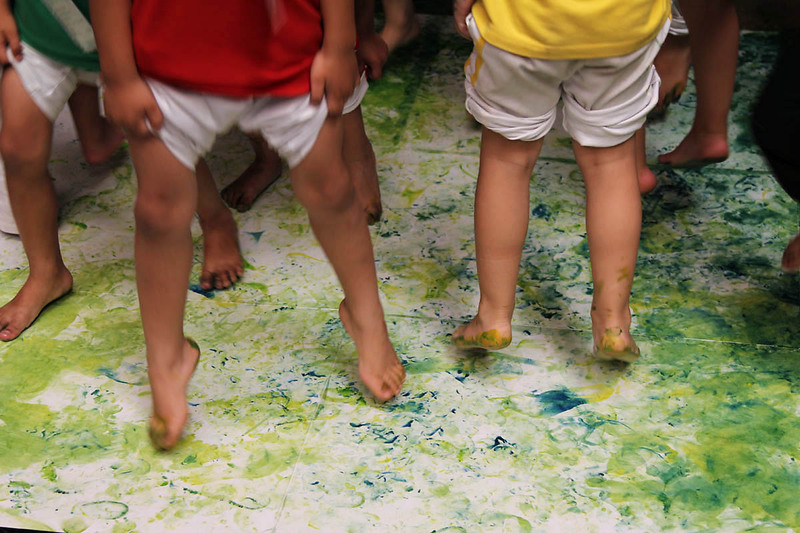 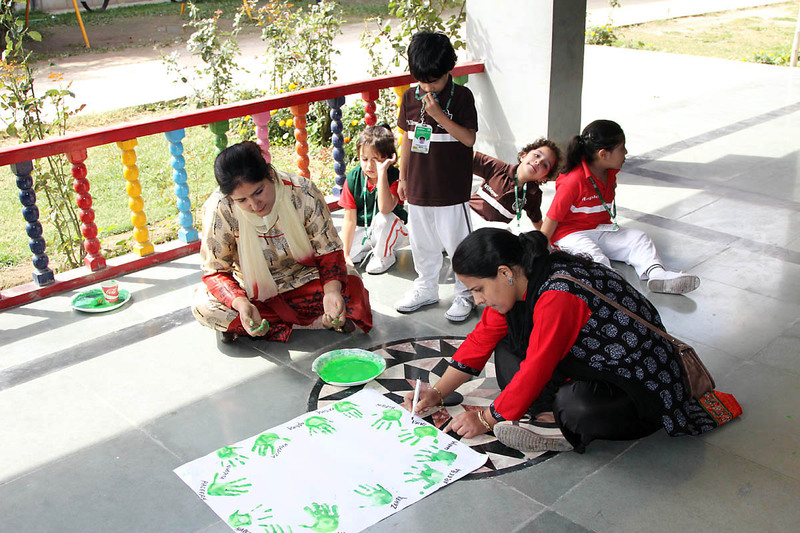 In the present world where mere academics fail to develop the child completely, art activities were organized too. 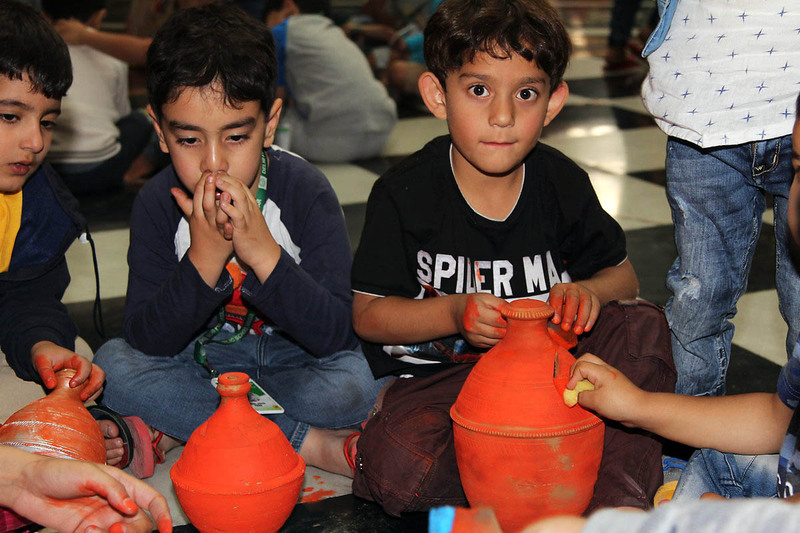 The way they were dedicatedly trying to get the perfect shapes of said objects in a way reflected their innocent minds, away from the vices of this world, that are ready to digest as much amount of knowledge as can be possibly imparted to them. 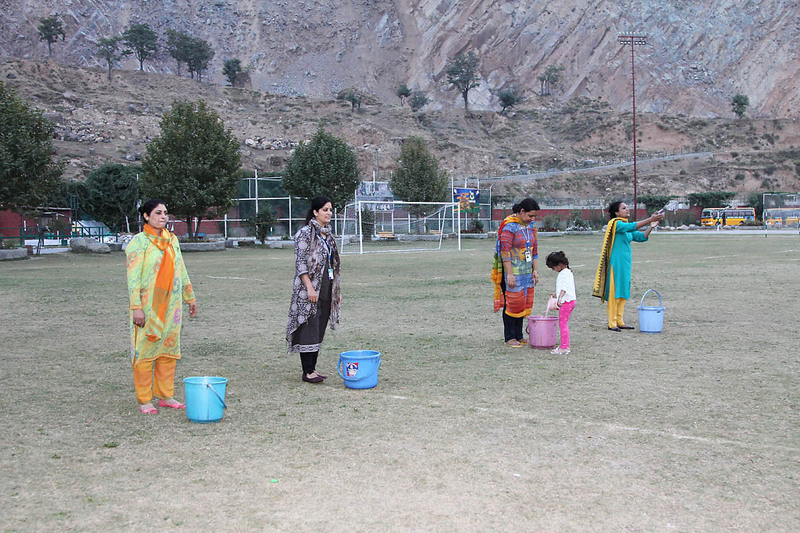 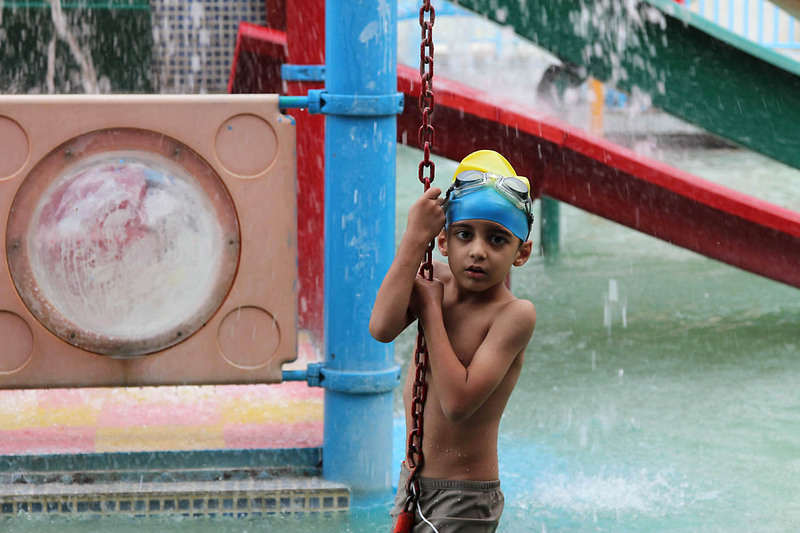 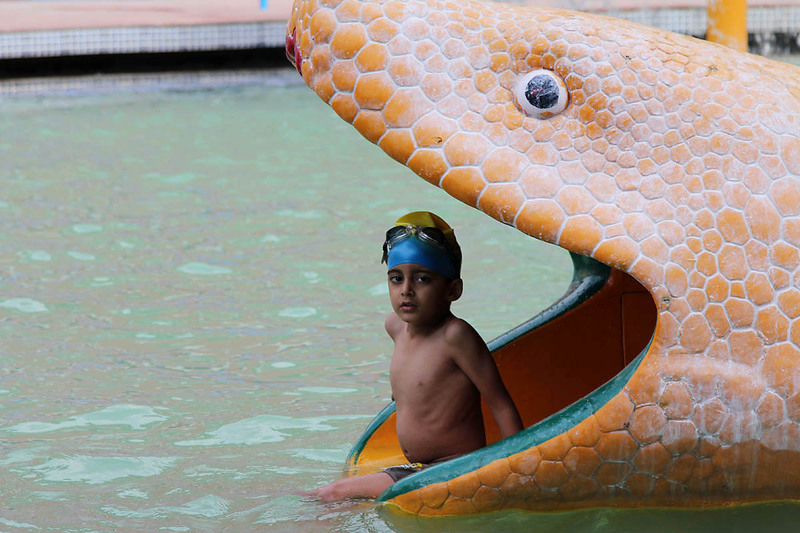 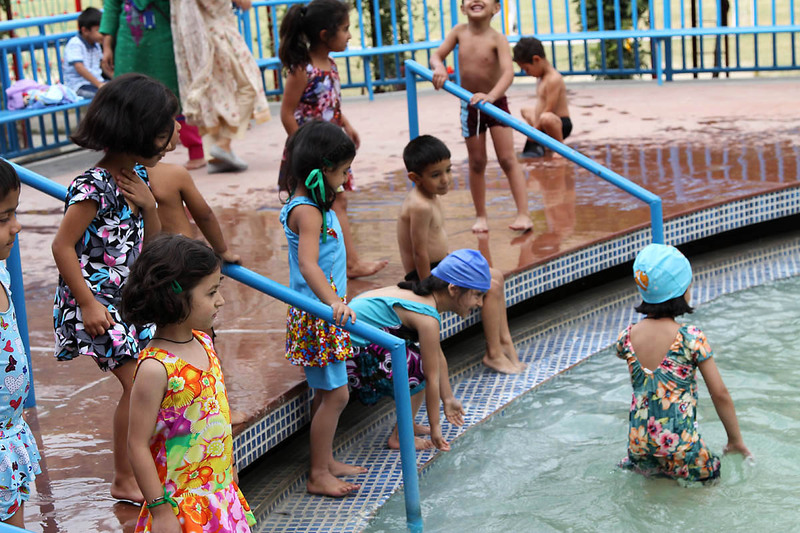 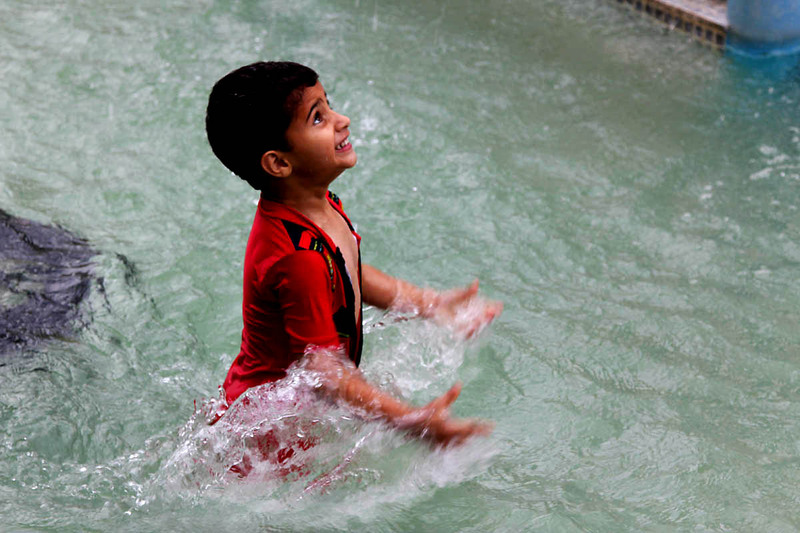 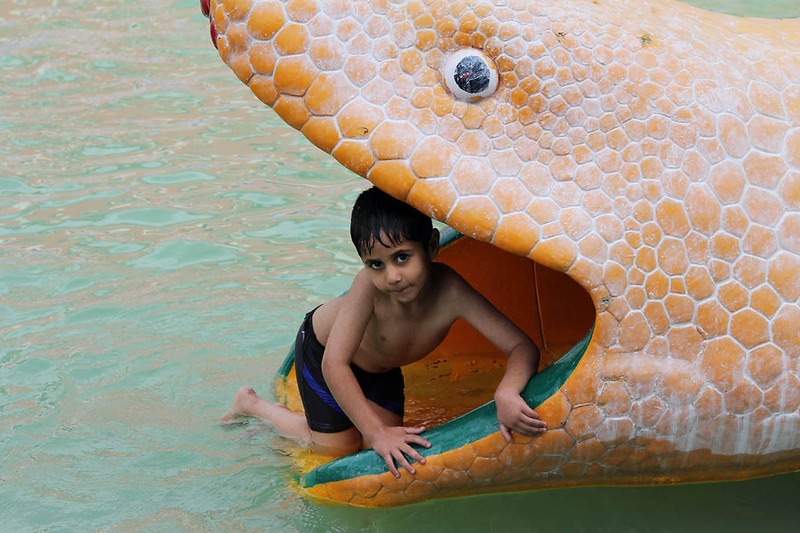 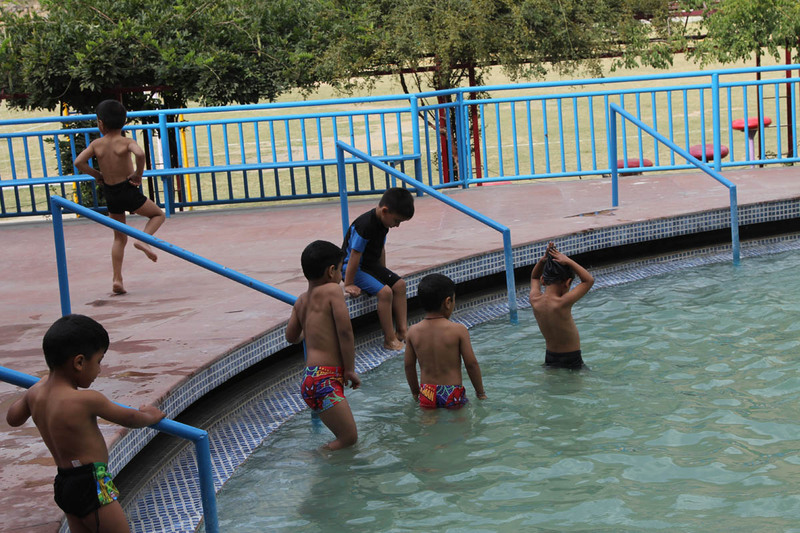 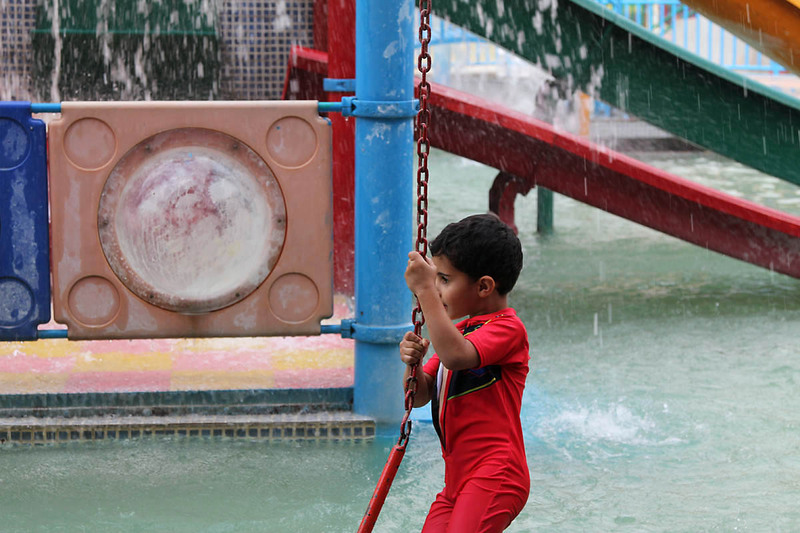 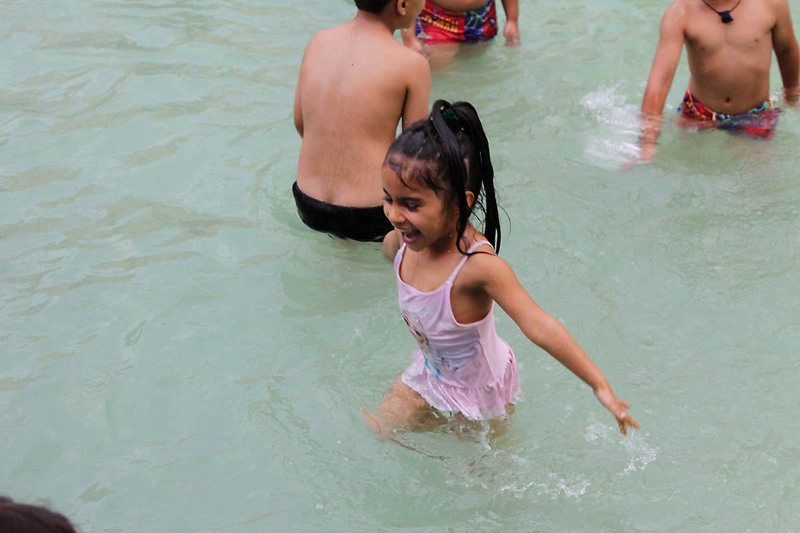 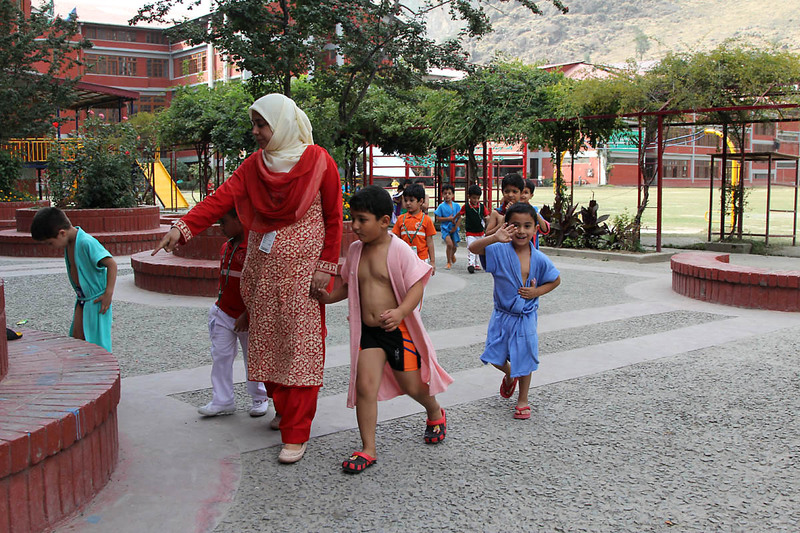 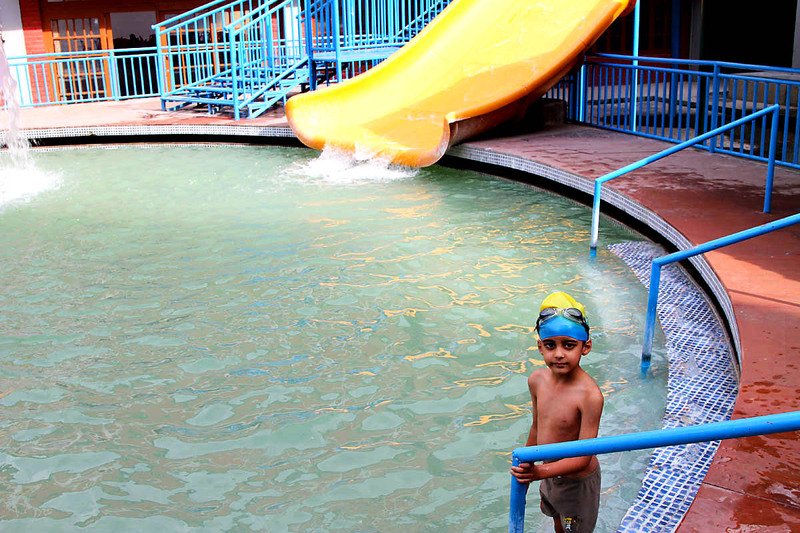 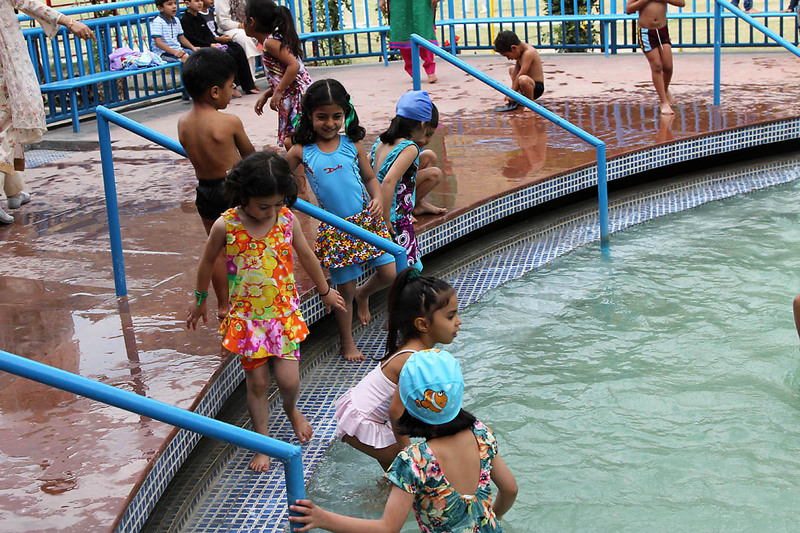 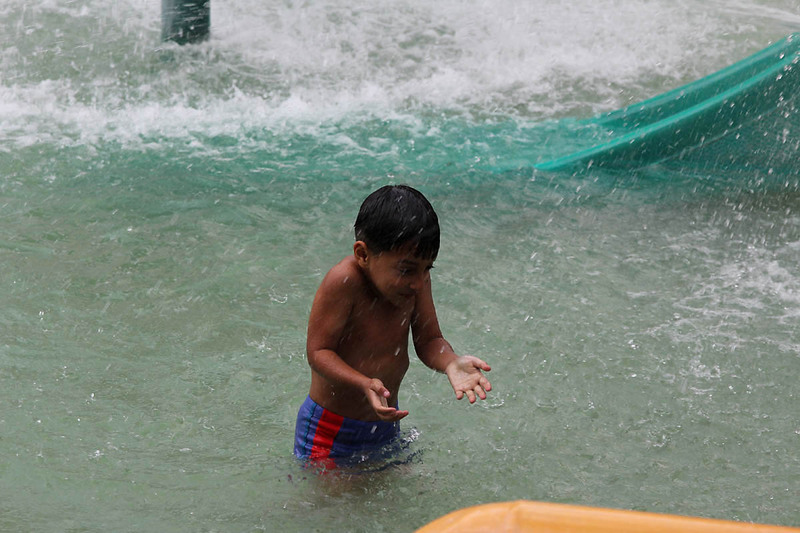 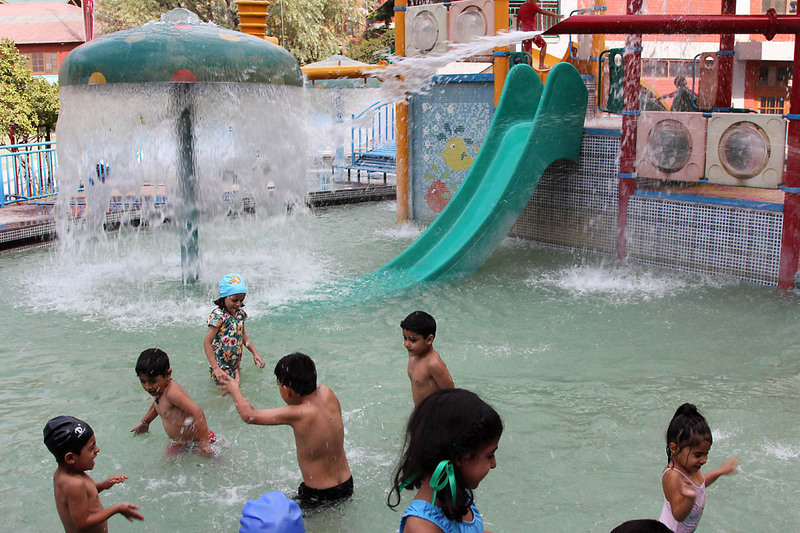 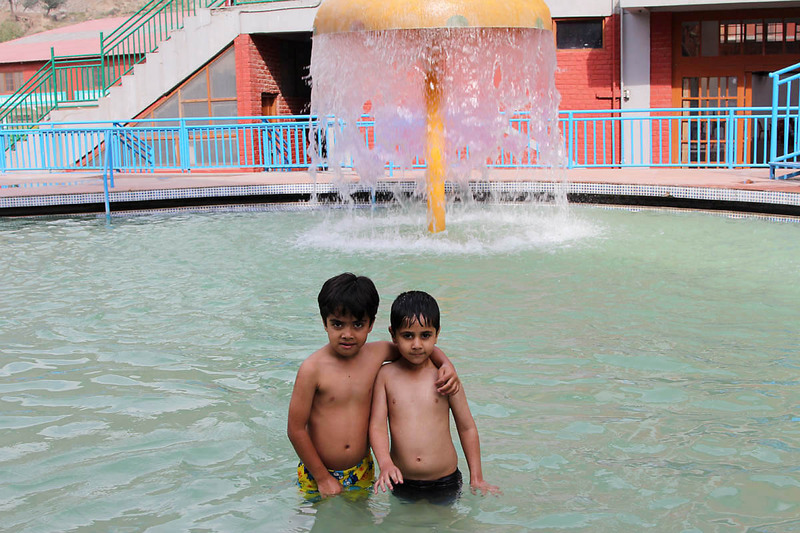 After taking the much-needed rest, kids enjoyed swimming in the Splash Pool of the school. 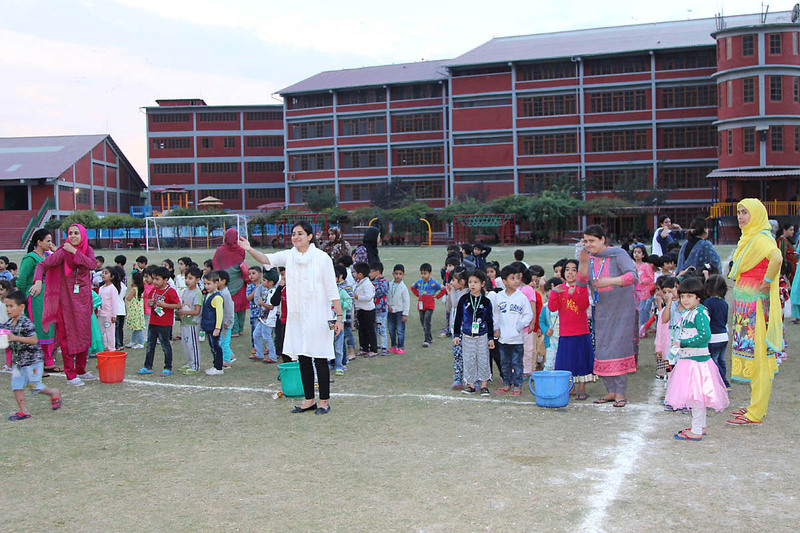 All the students splashed to their heart’s content. 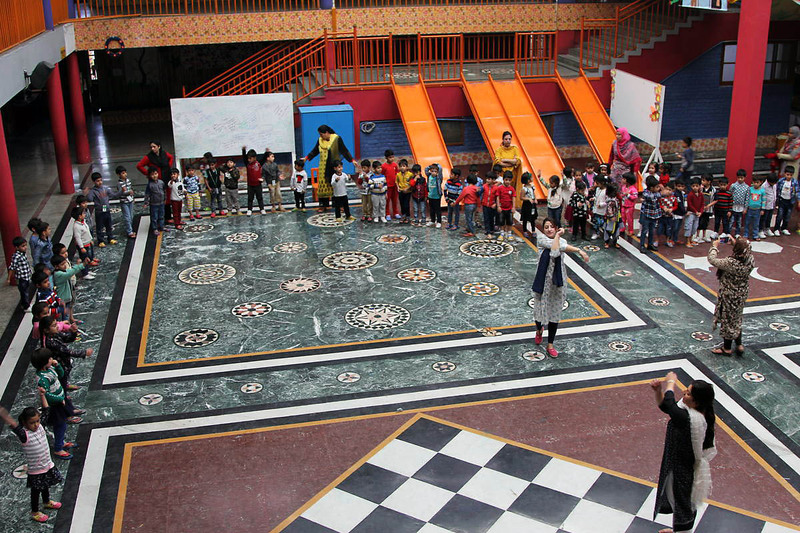 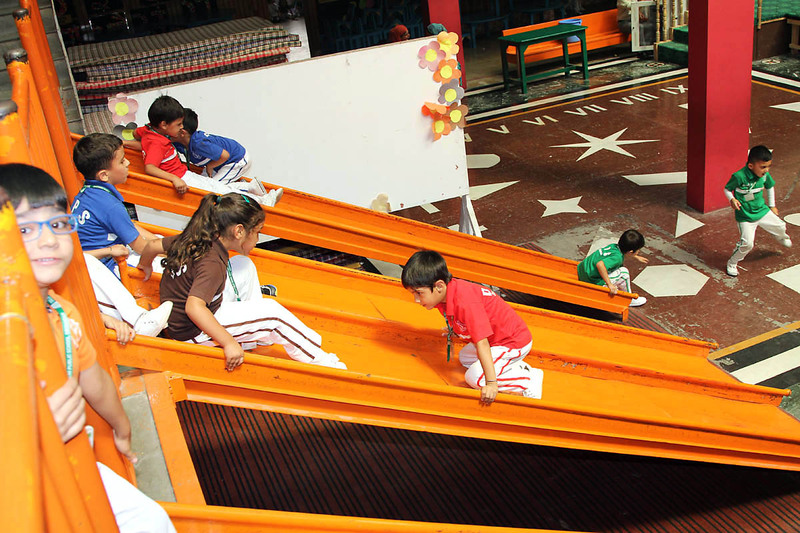 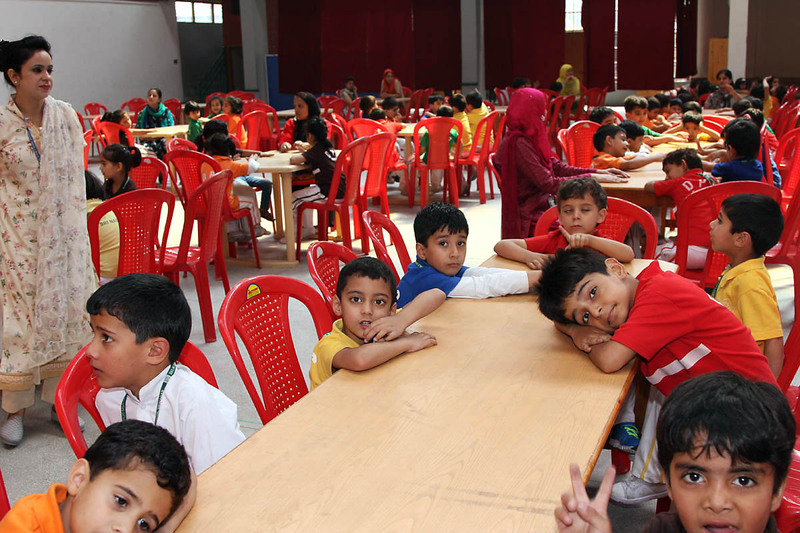 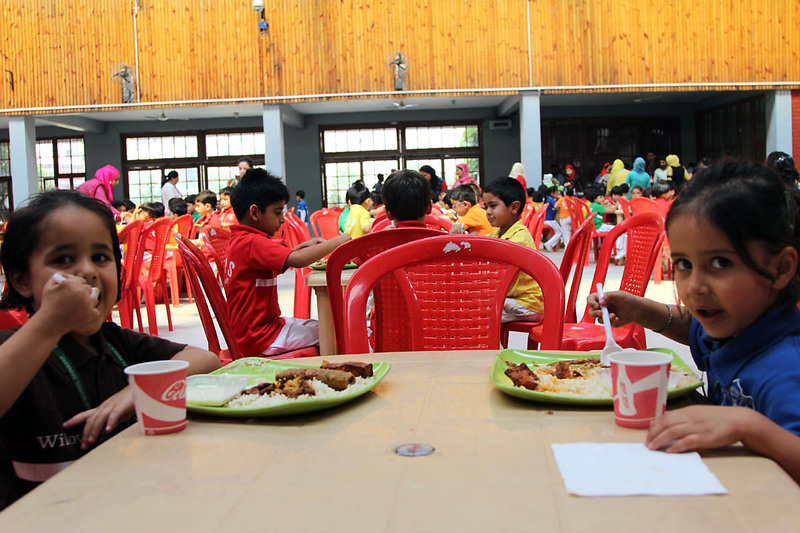 After lunch, the kids relaxed for a while just to boost their bodies for the upcoming fun and activities. 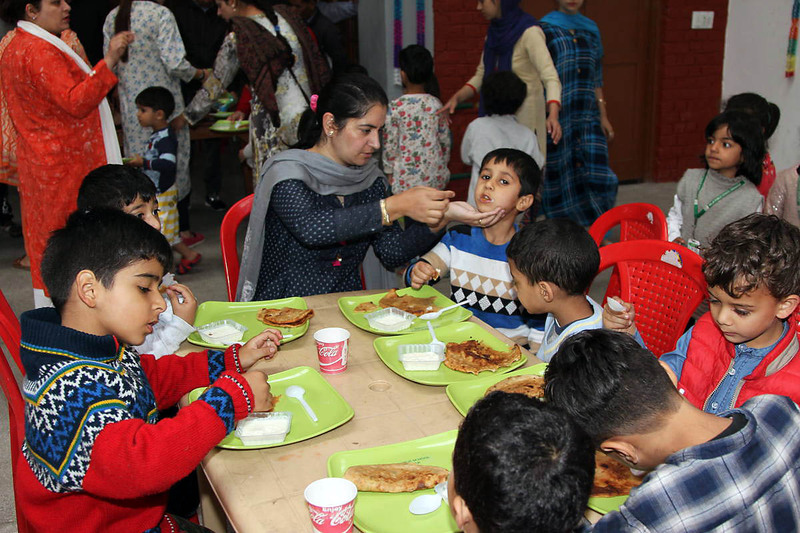 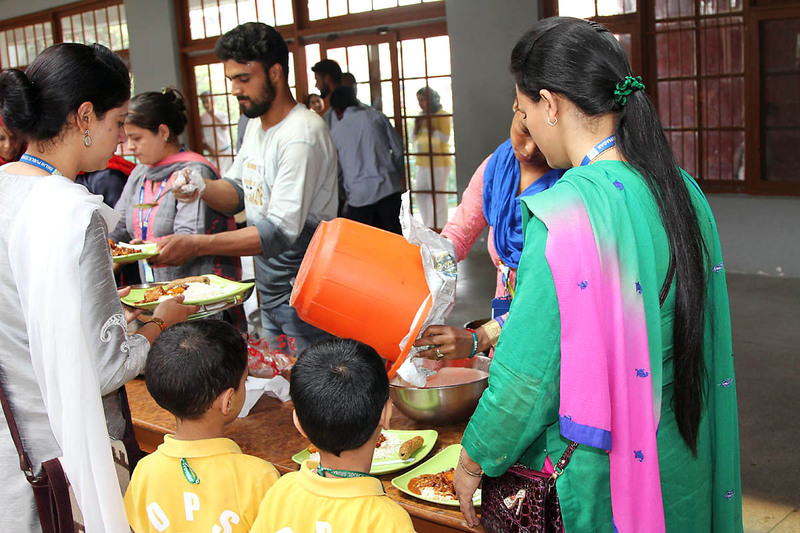 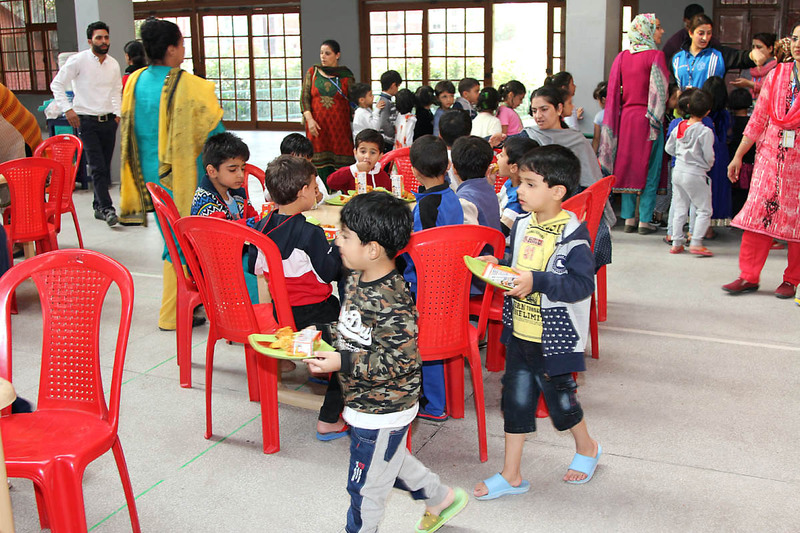 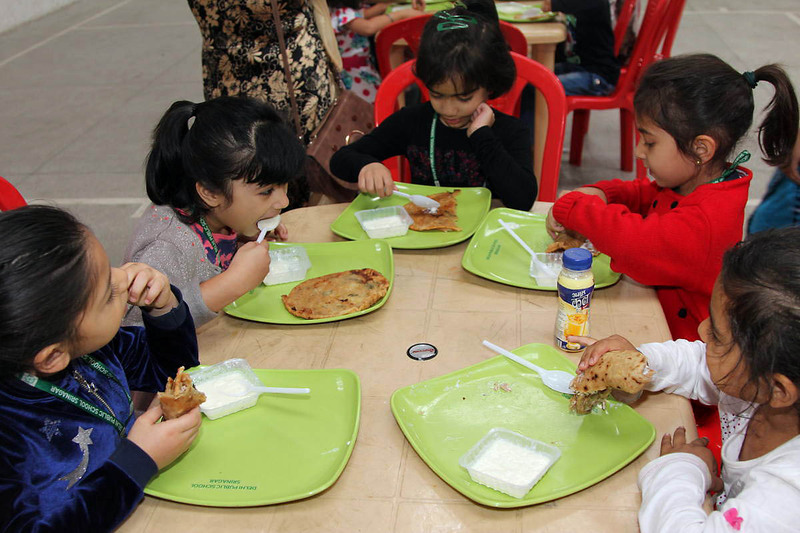 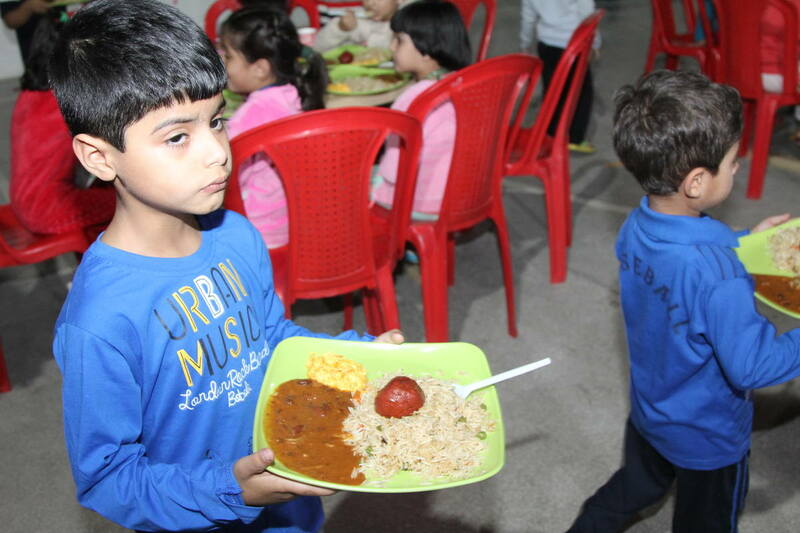 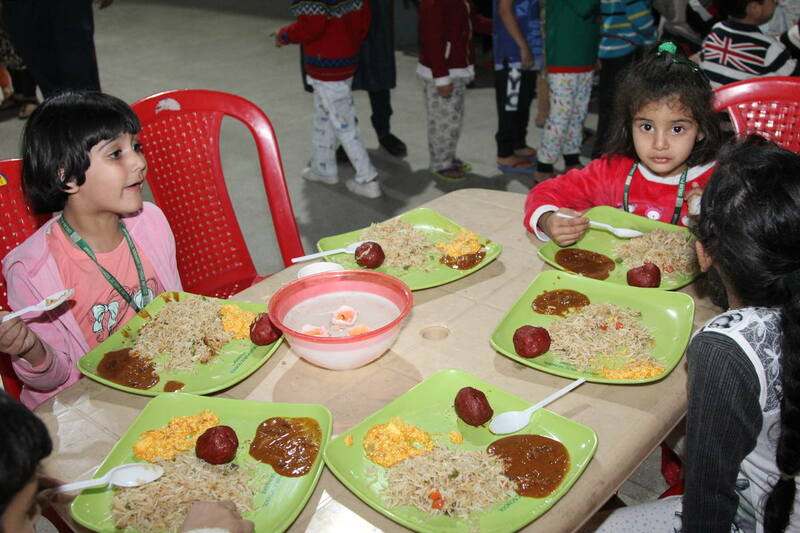 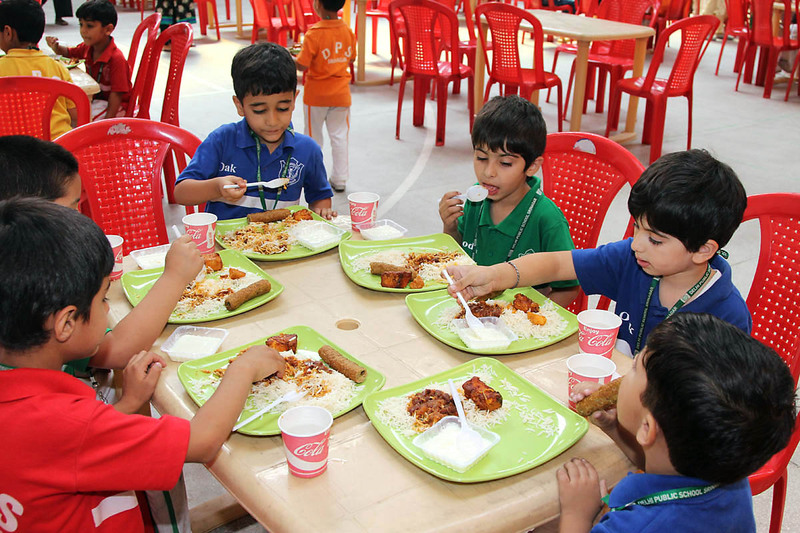 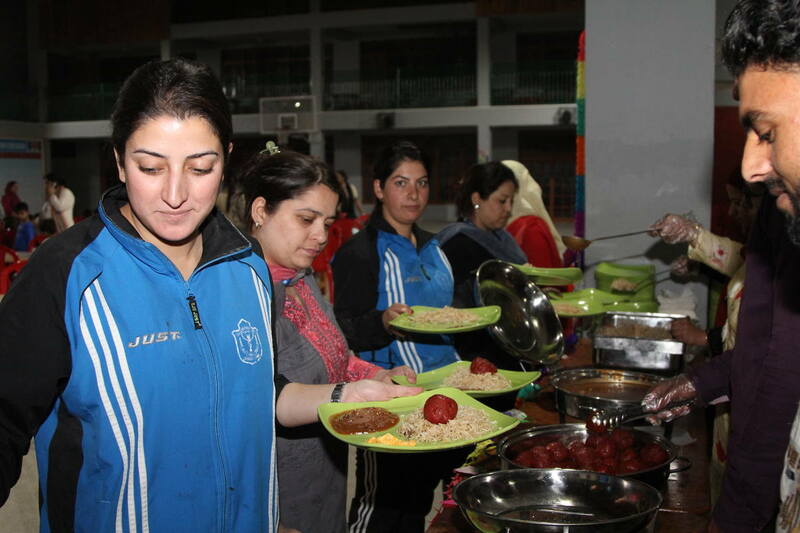 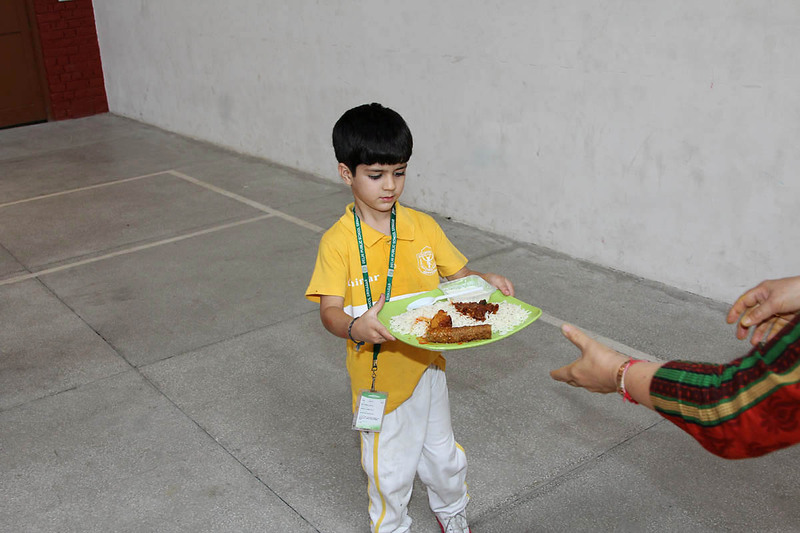 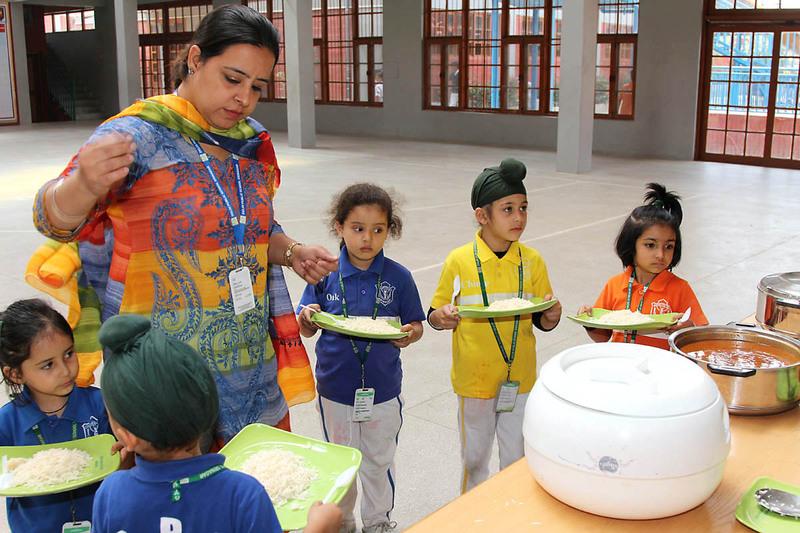 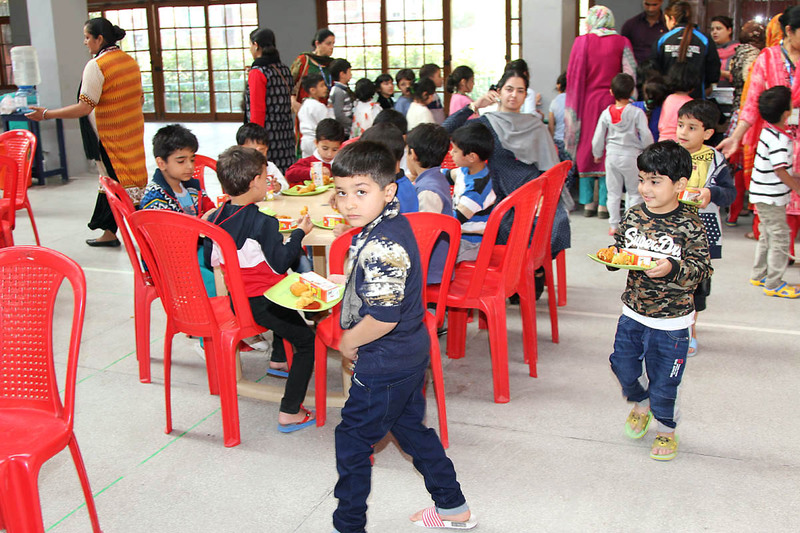 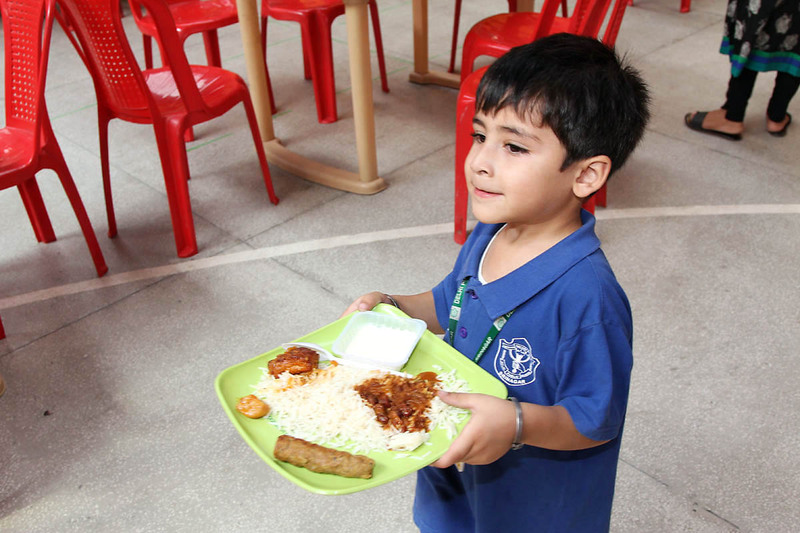 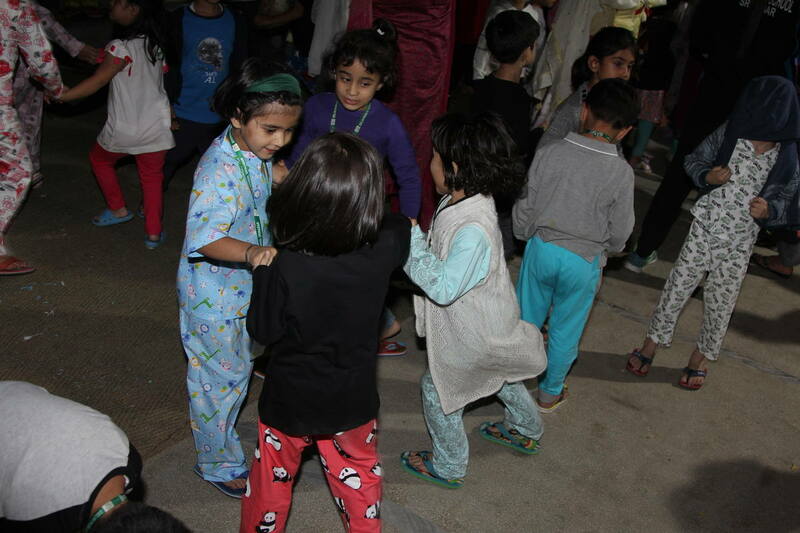 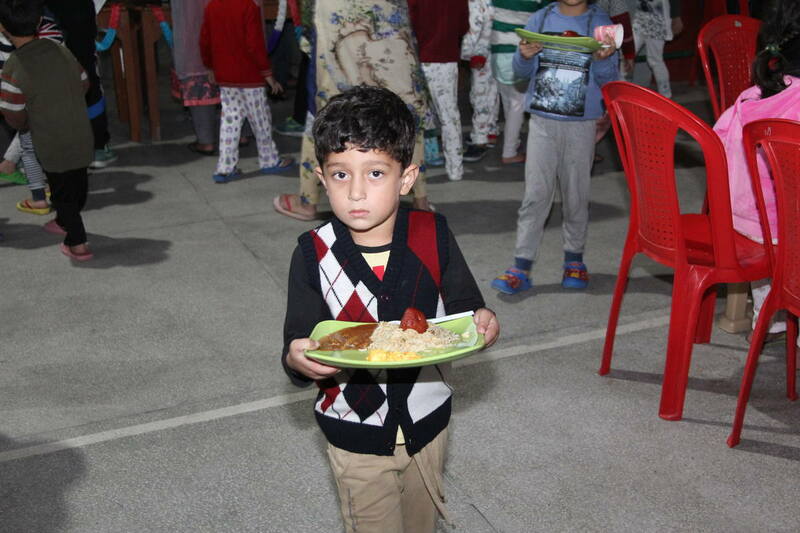 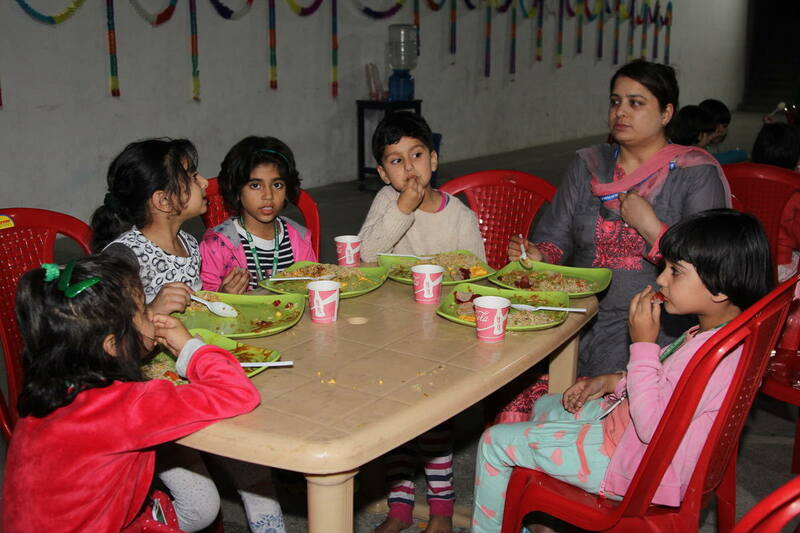 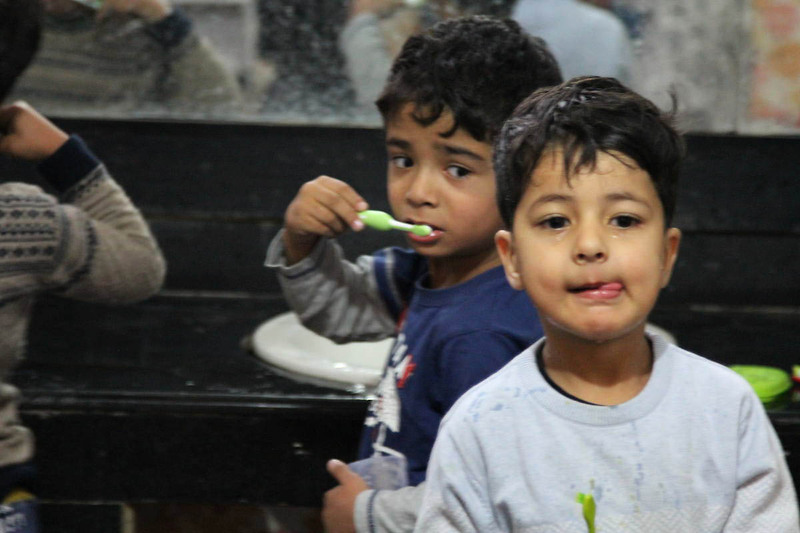 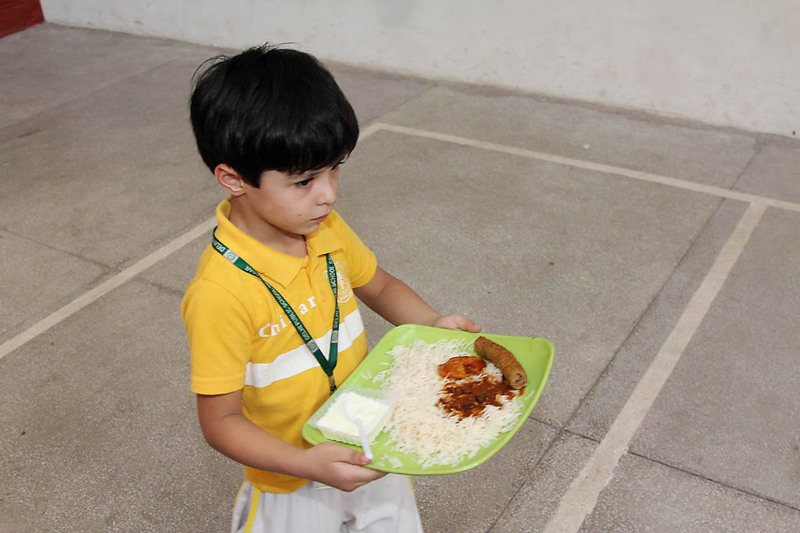 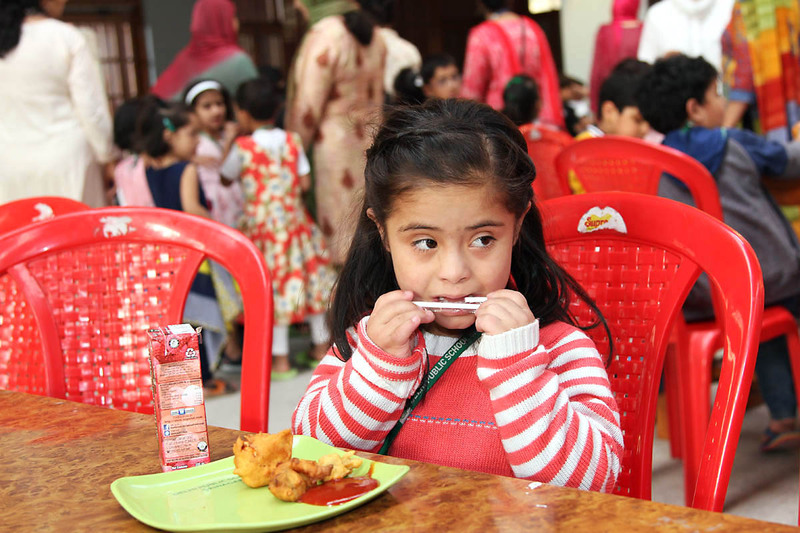 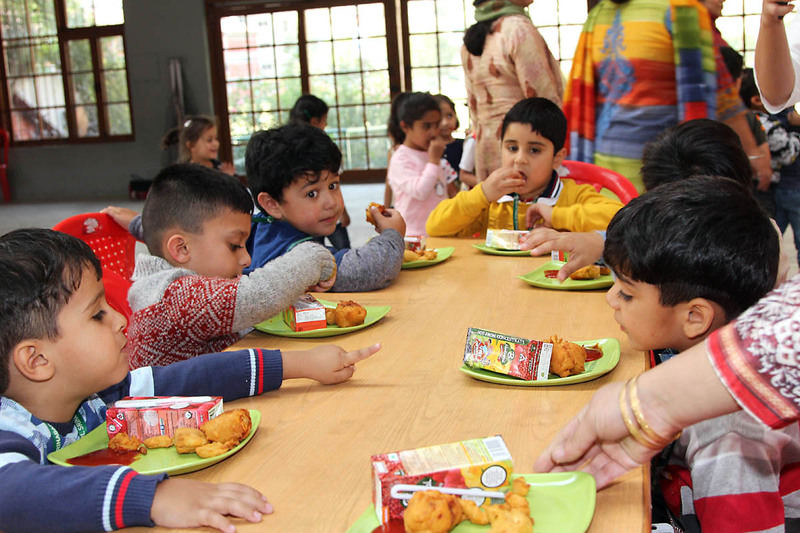 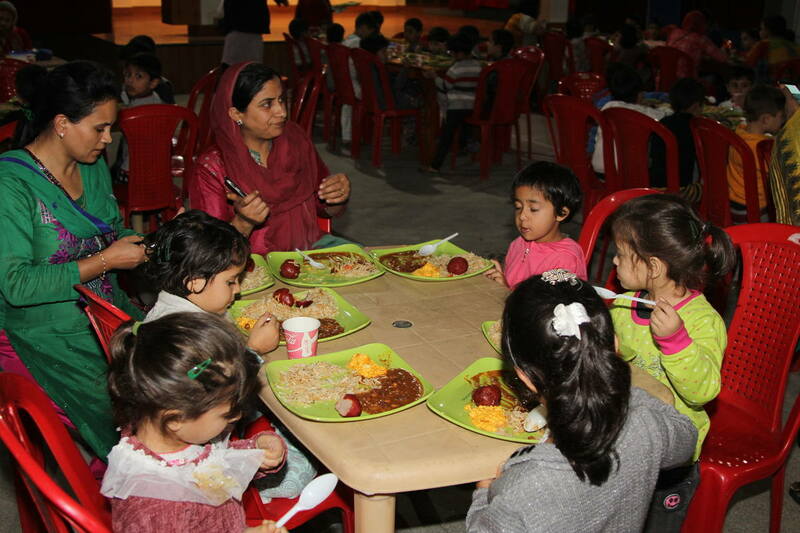 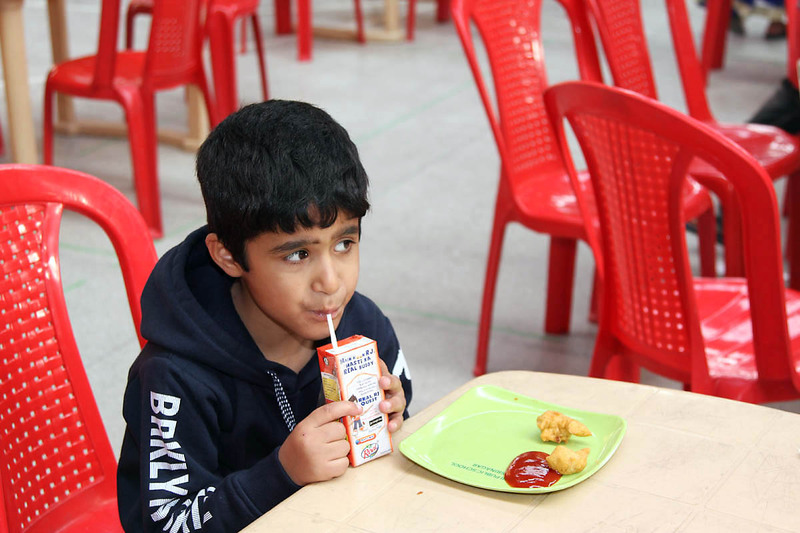 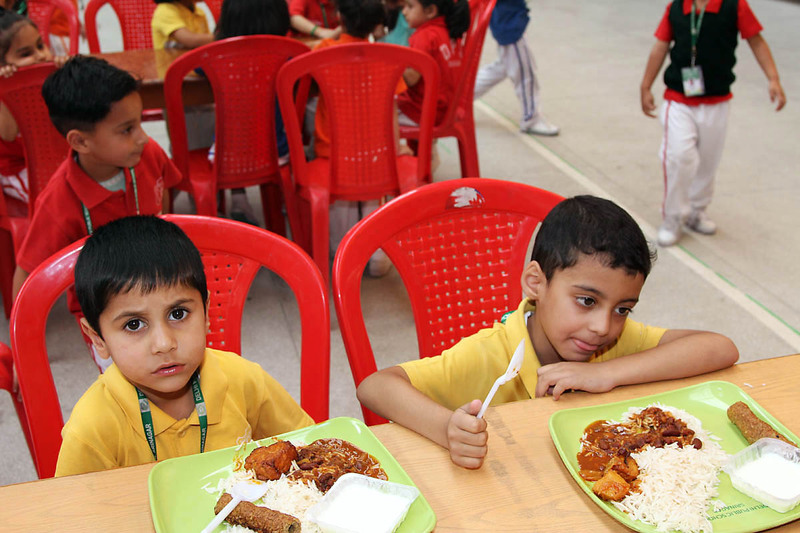 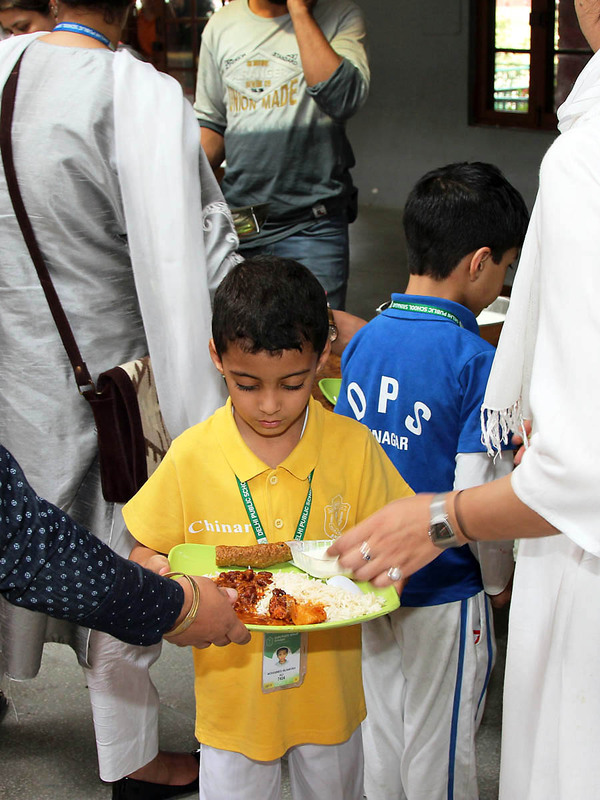 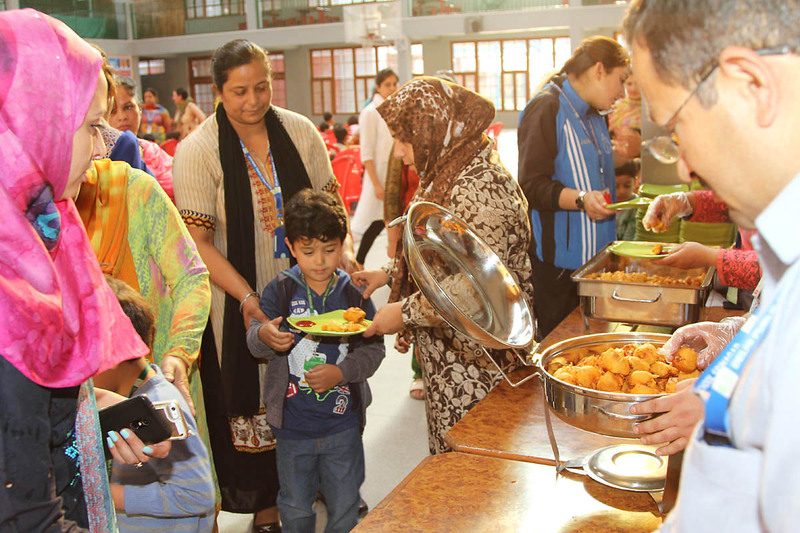 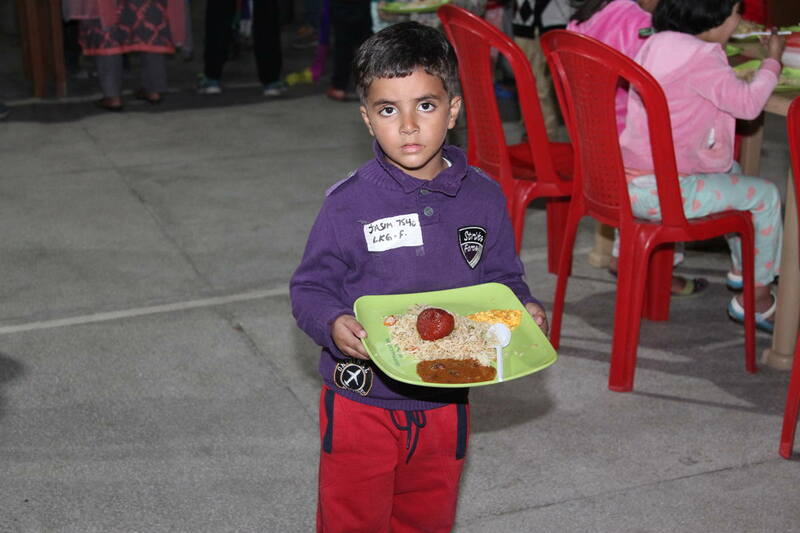 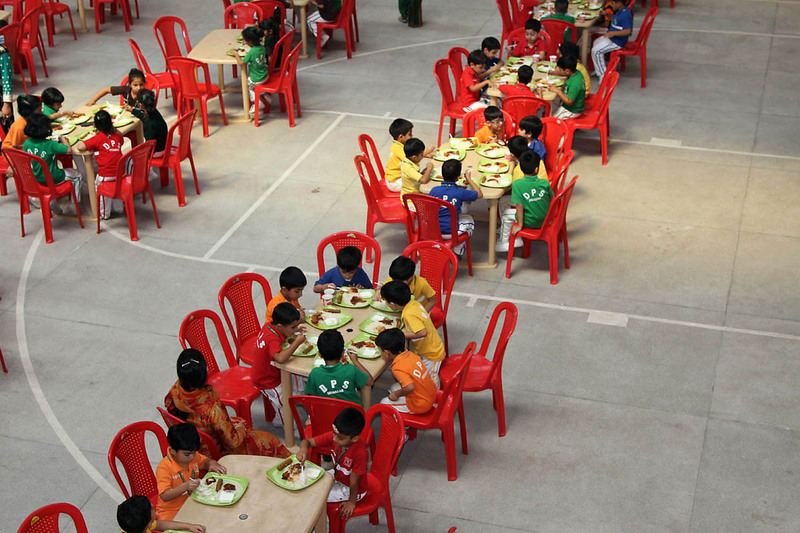 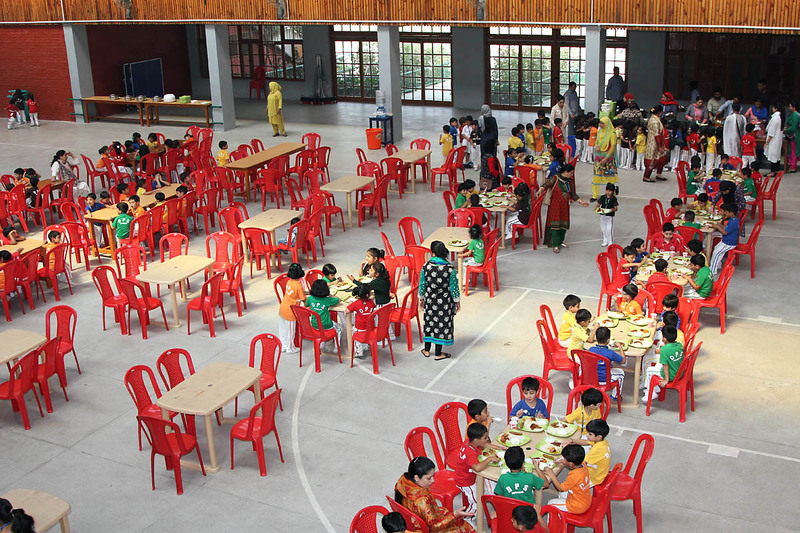 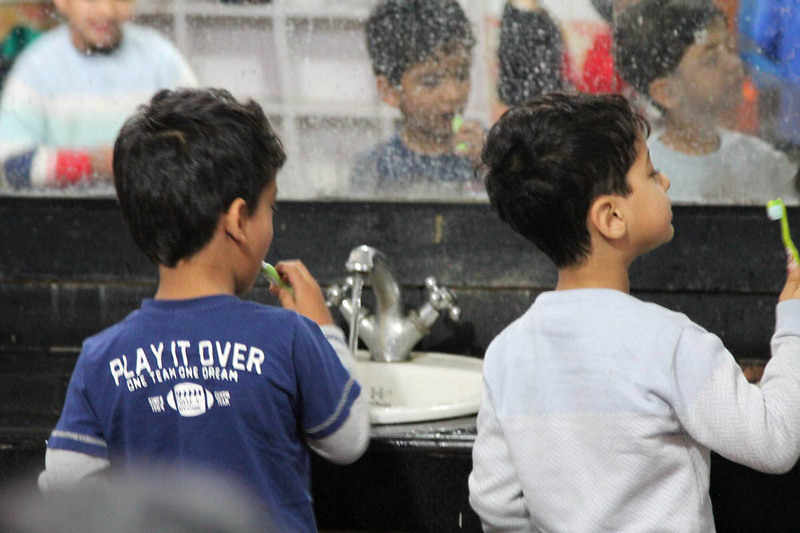 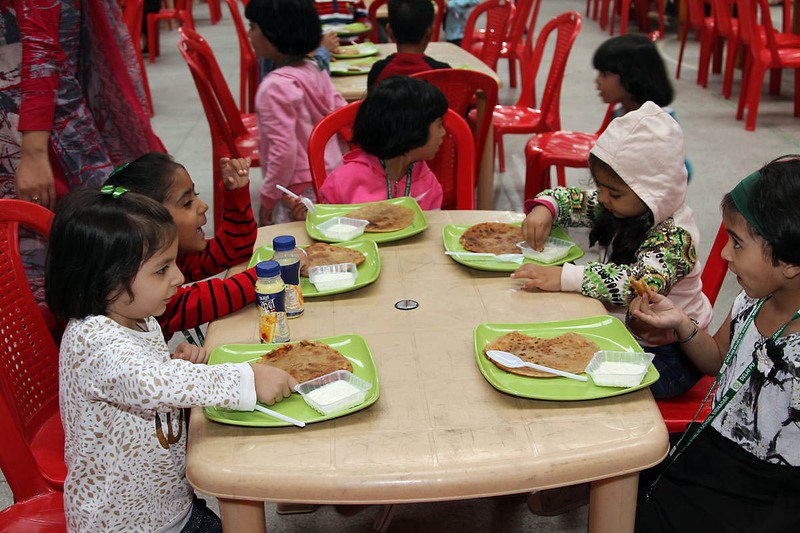 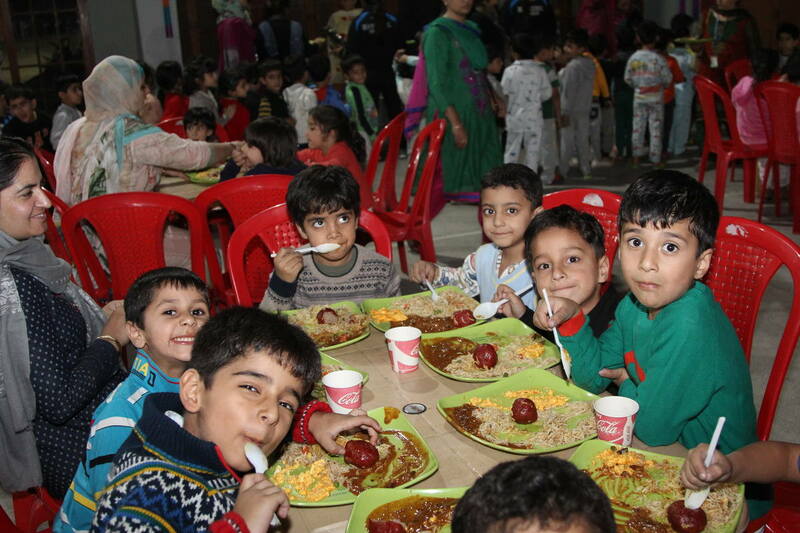 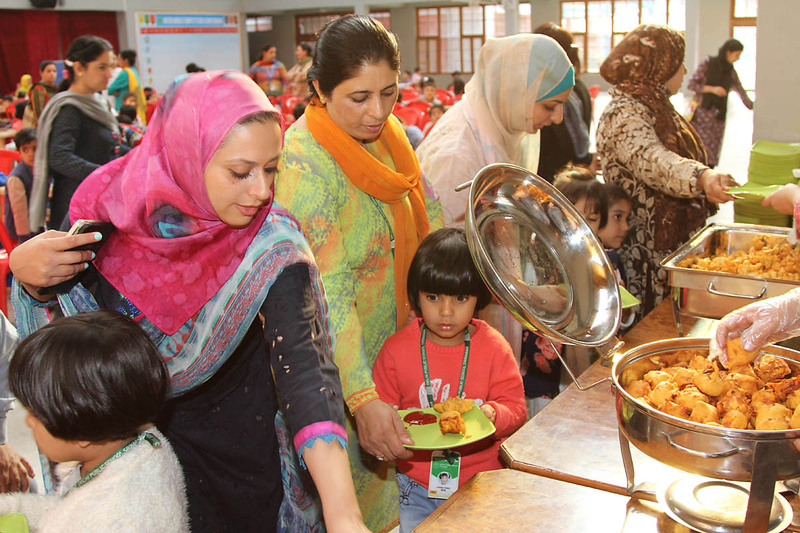 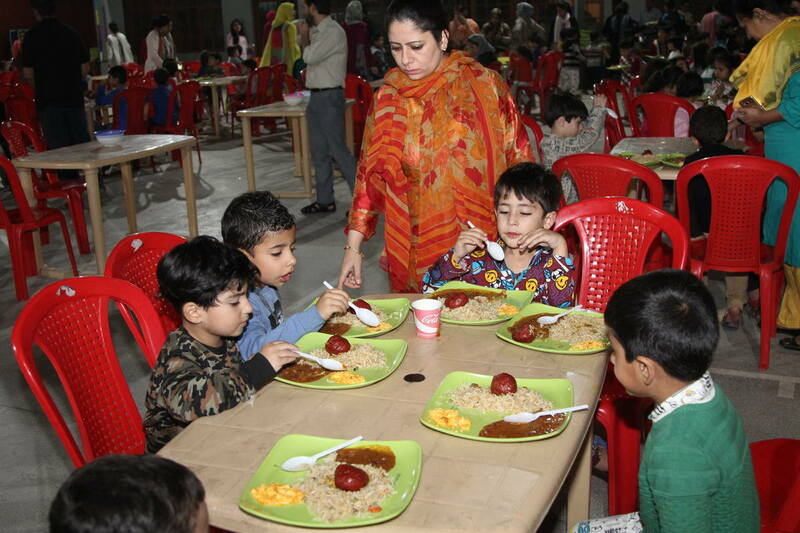 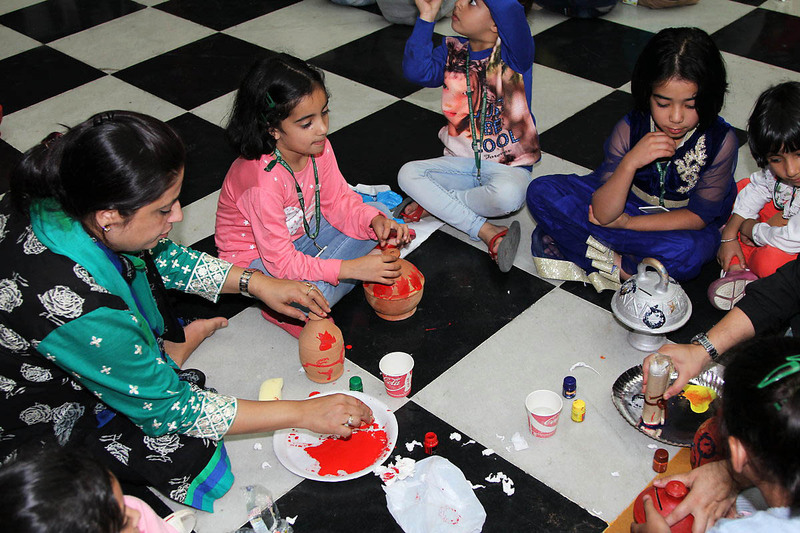 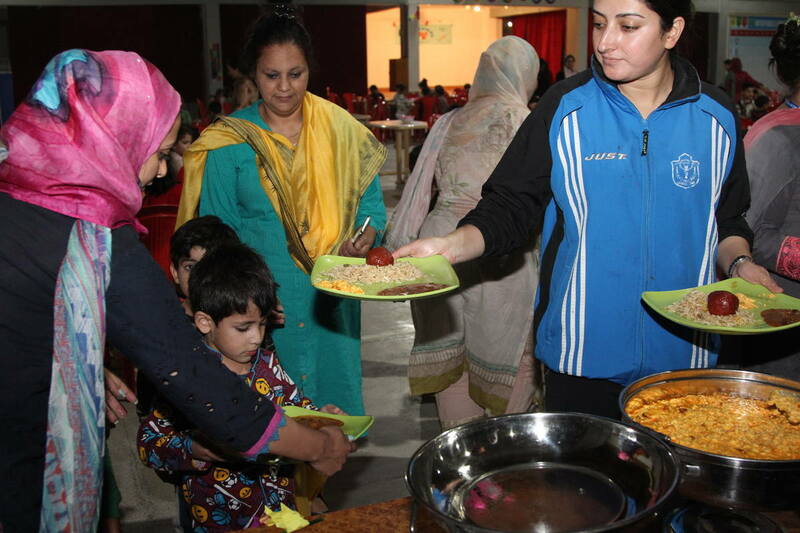 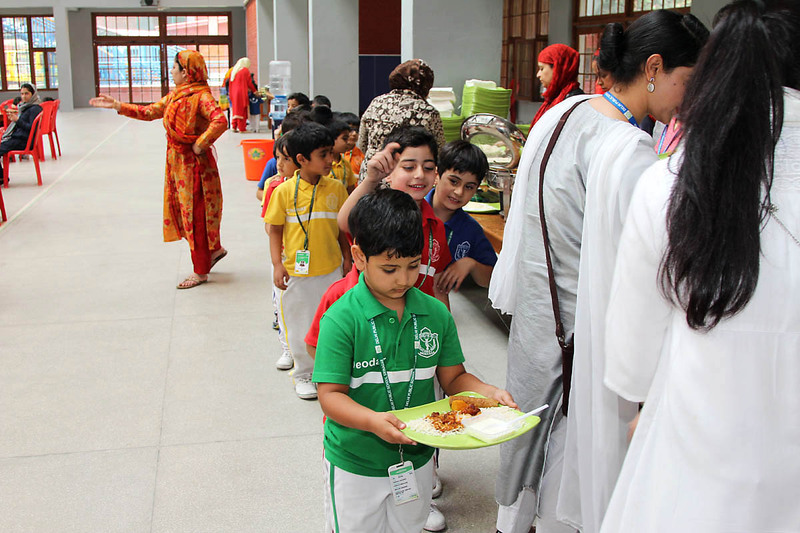 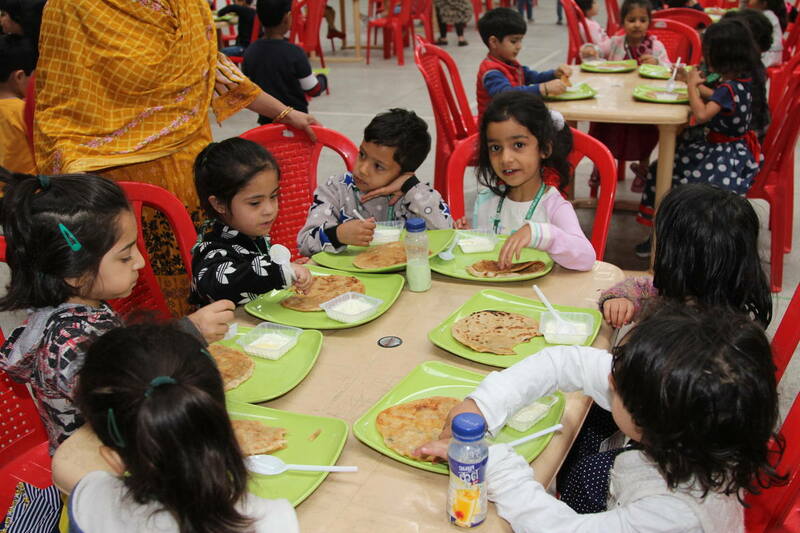 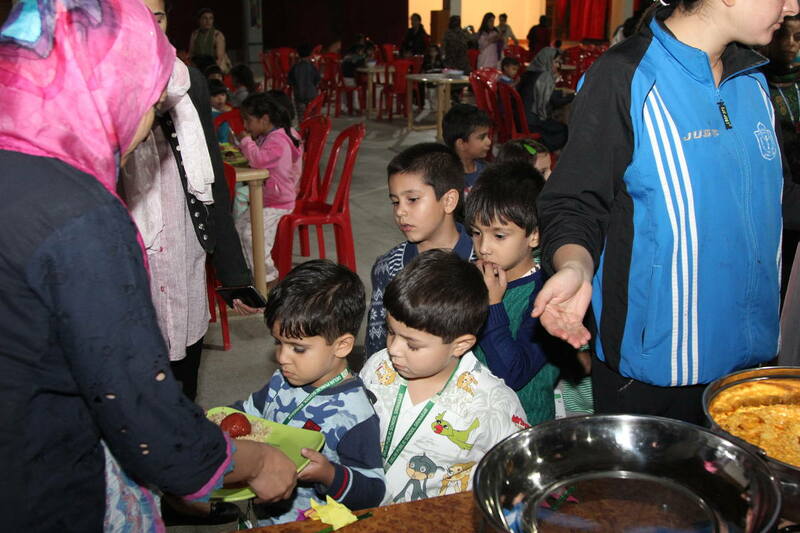 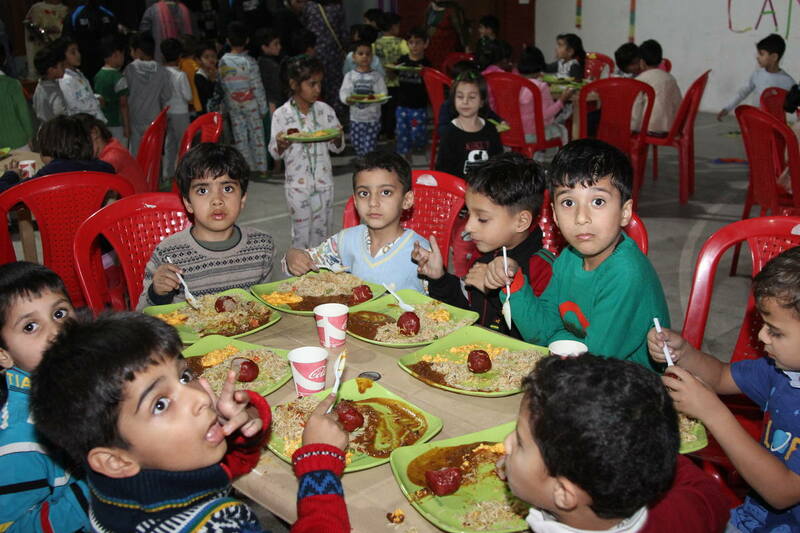 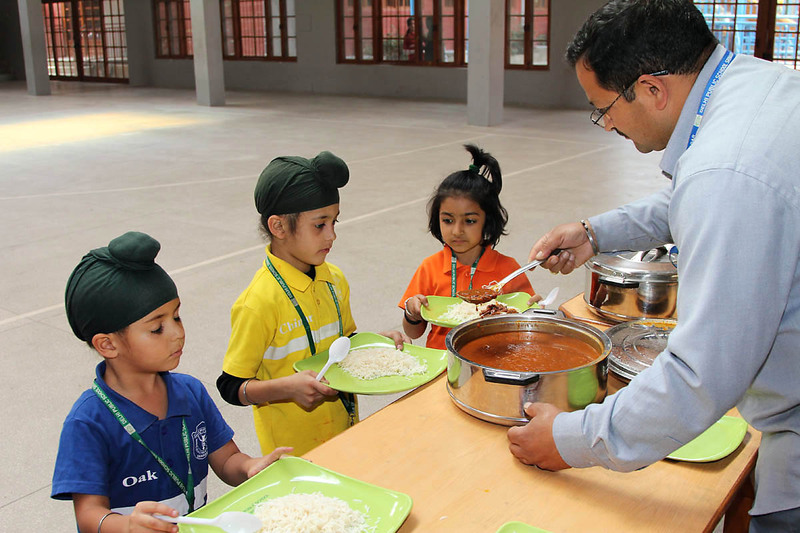 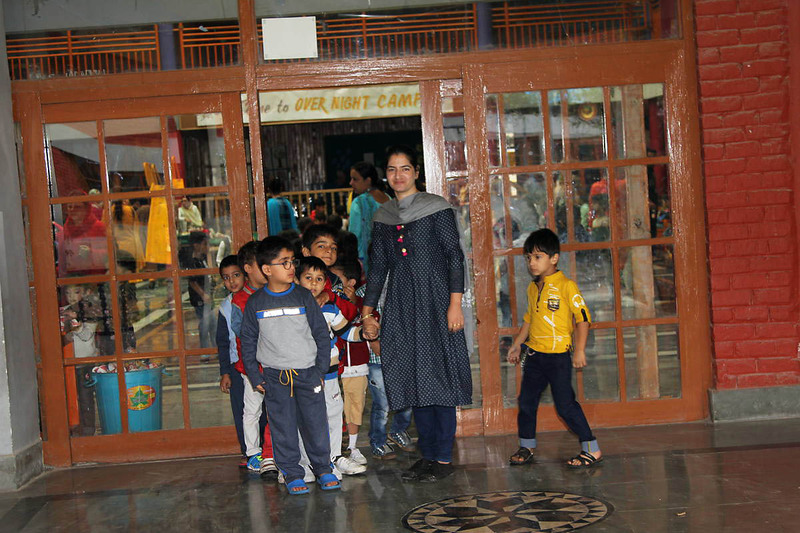 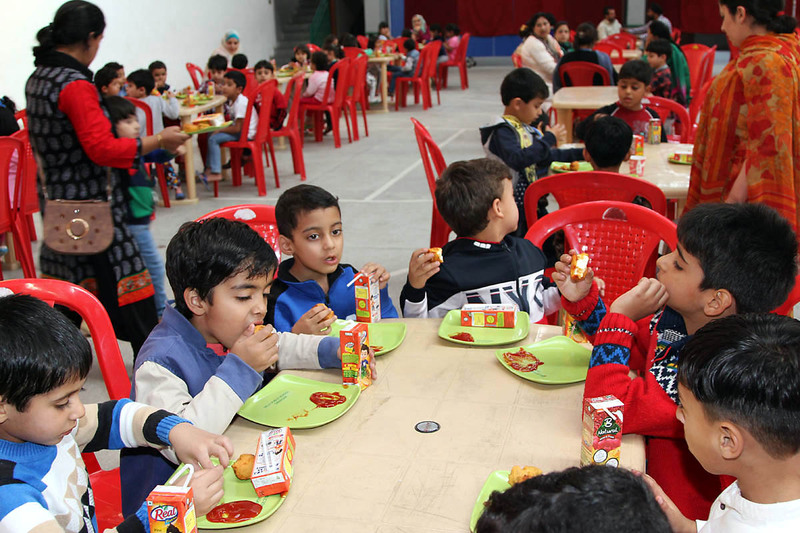 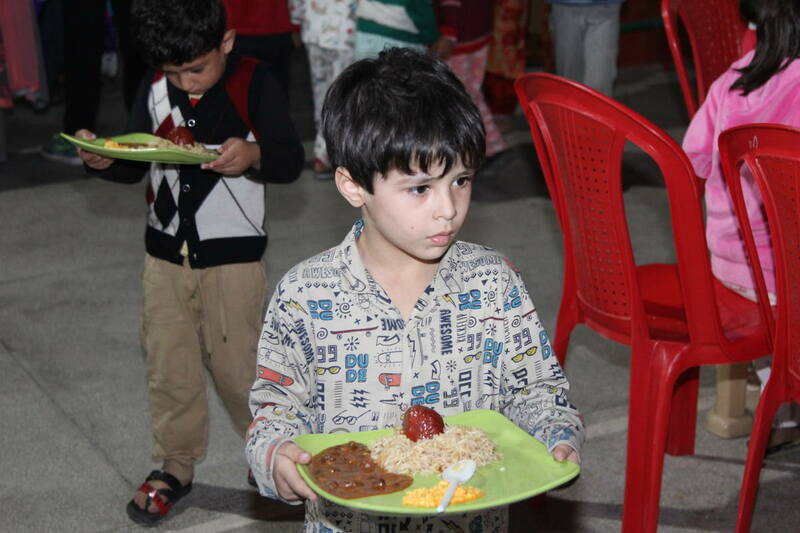 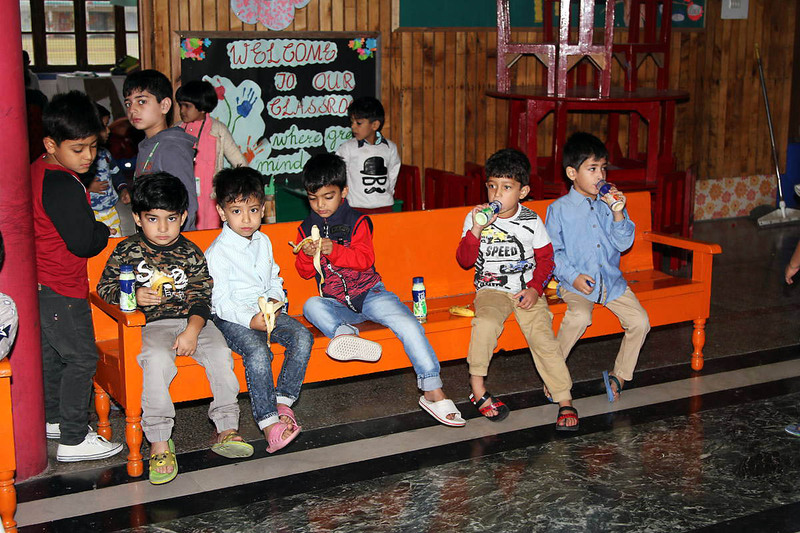 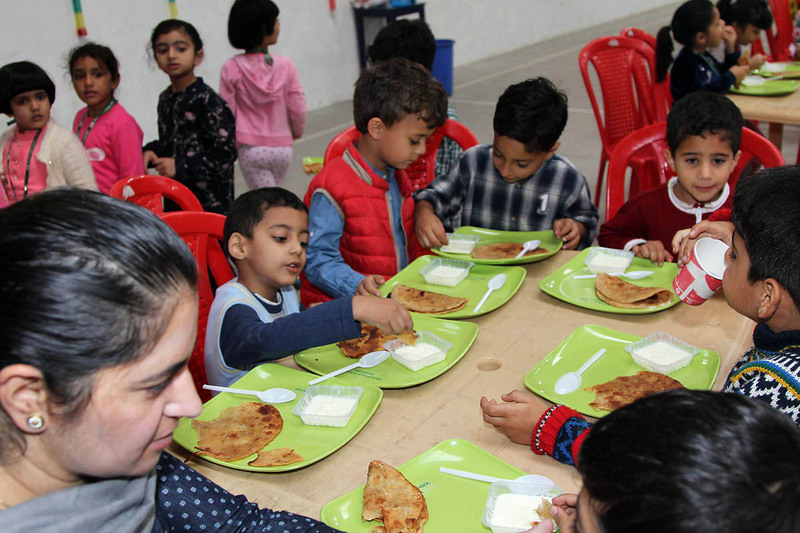 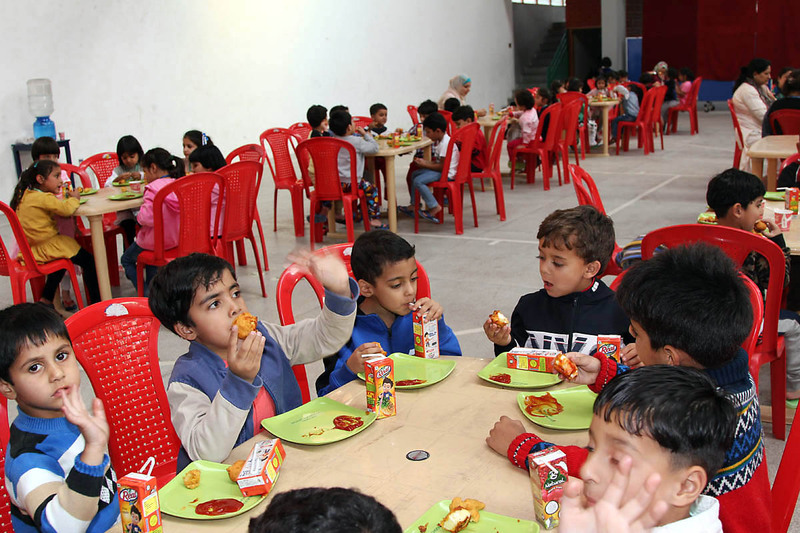 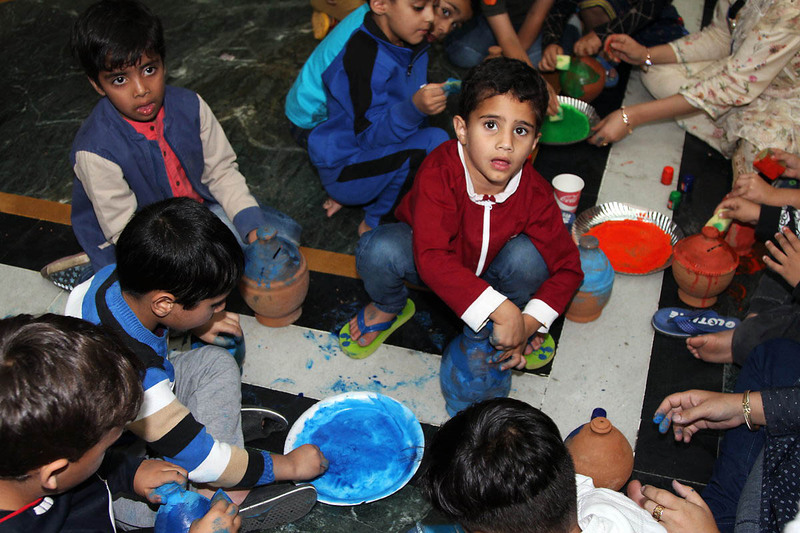 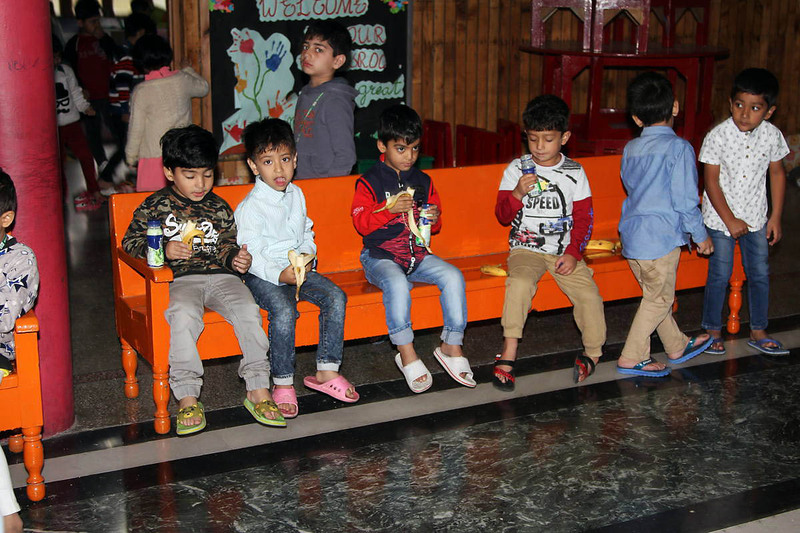 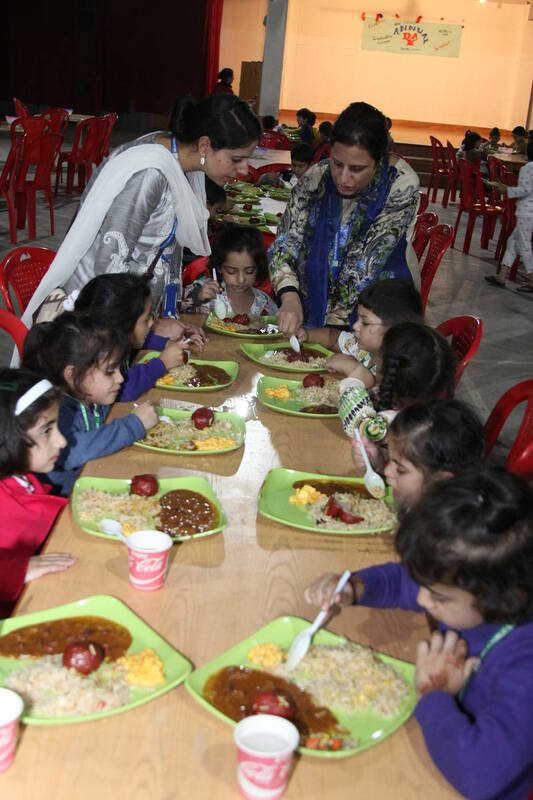 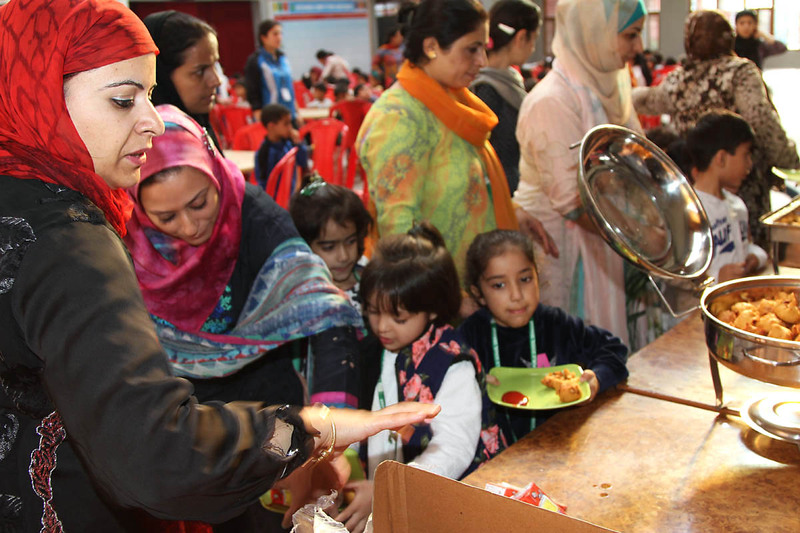 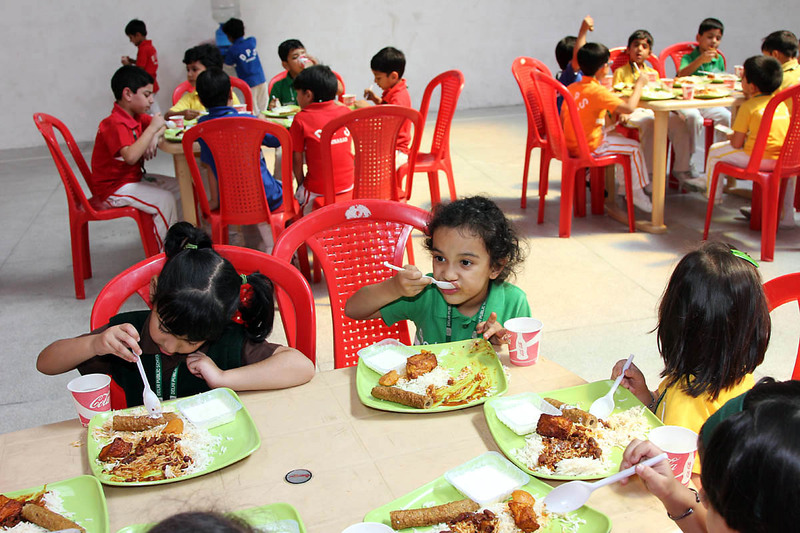 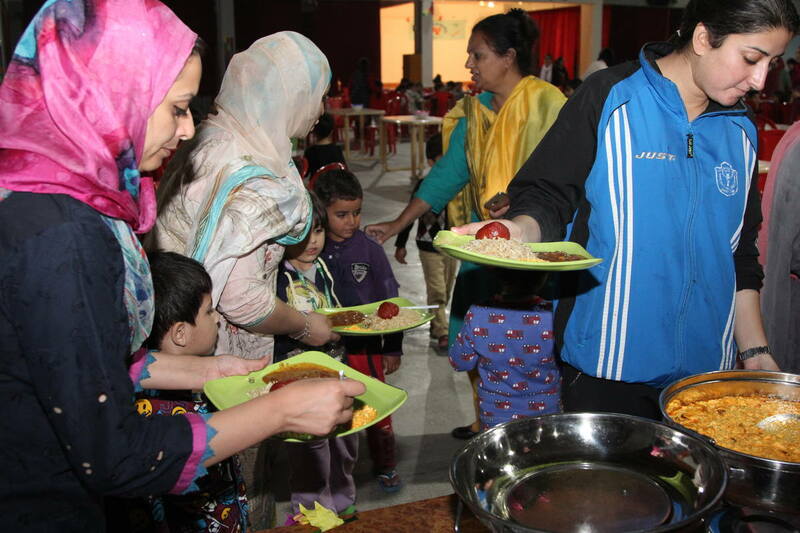 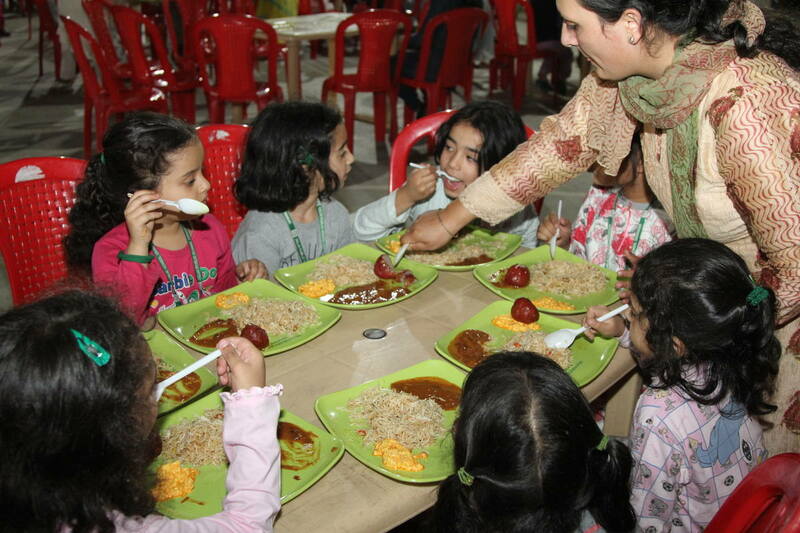 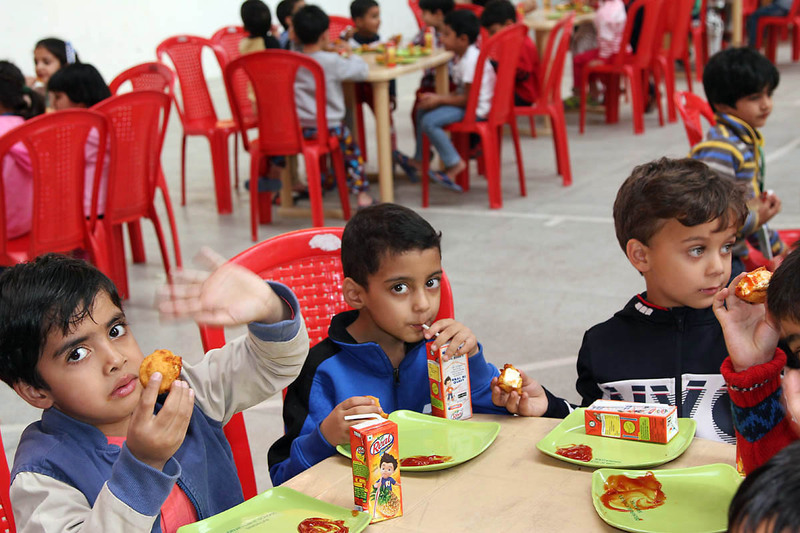 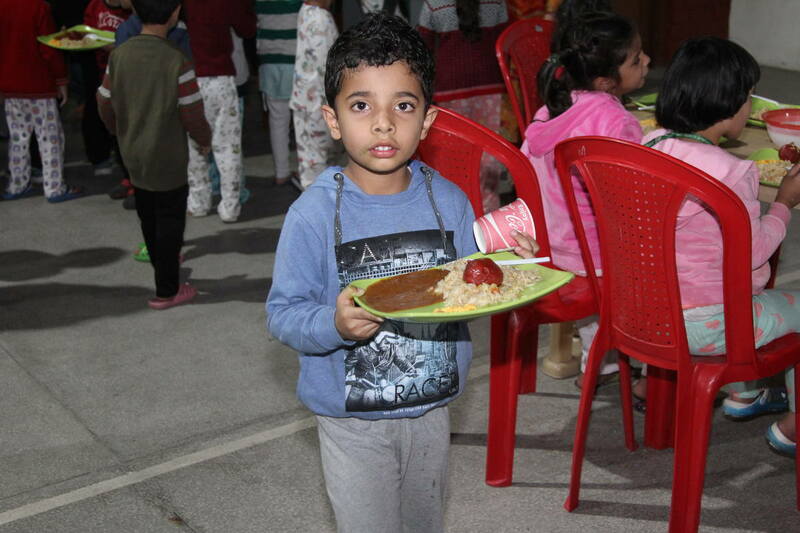 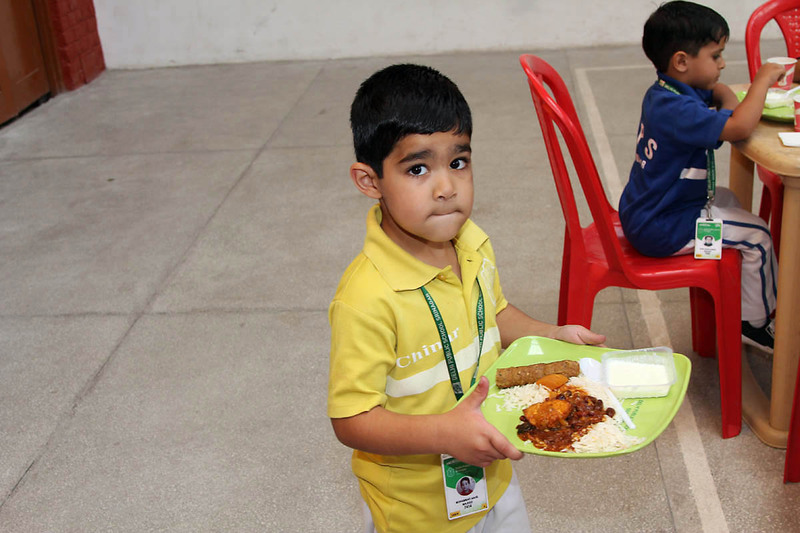 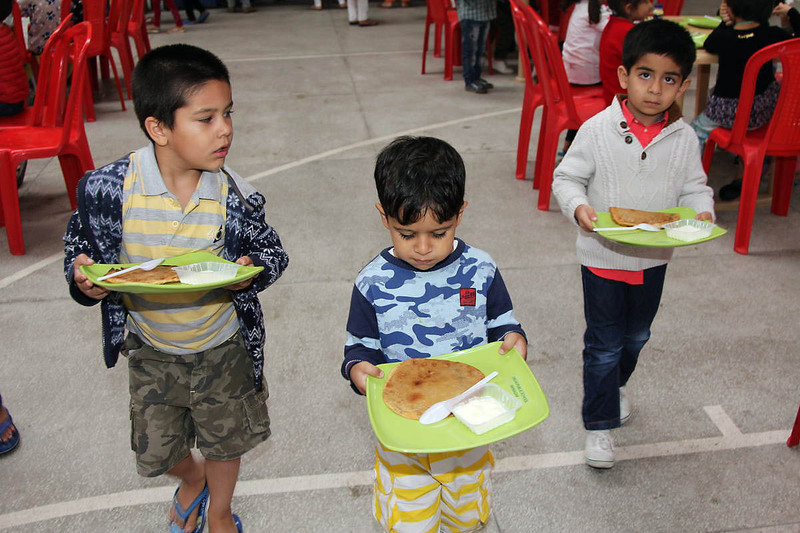 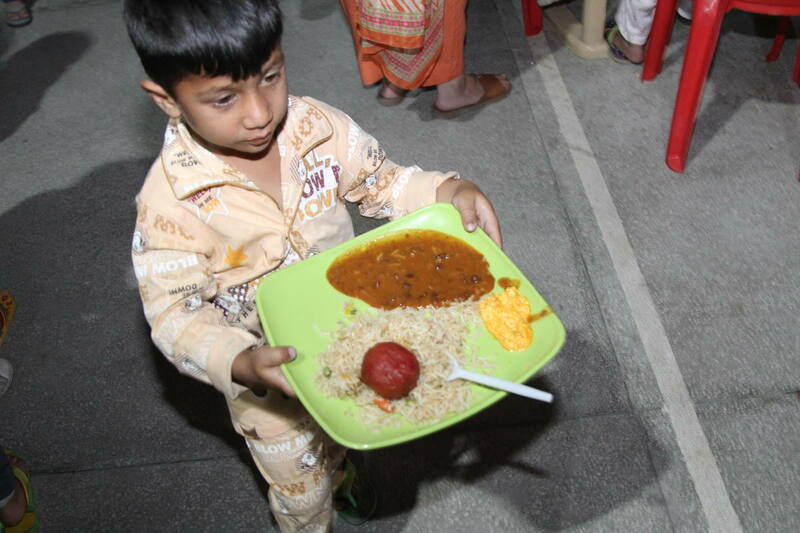 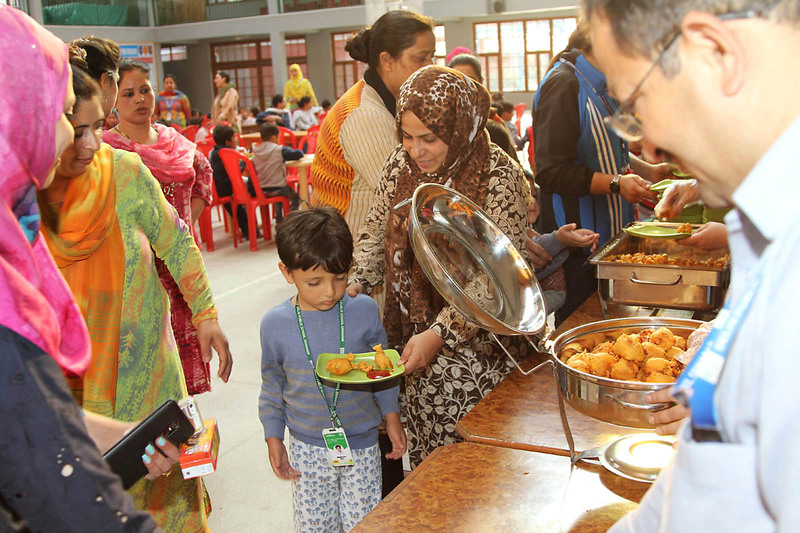 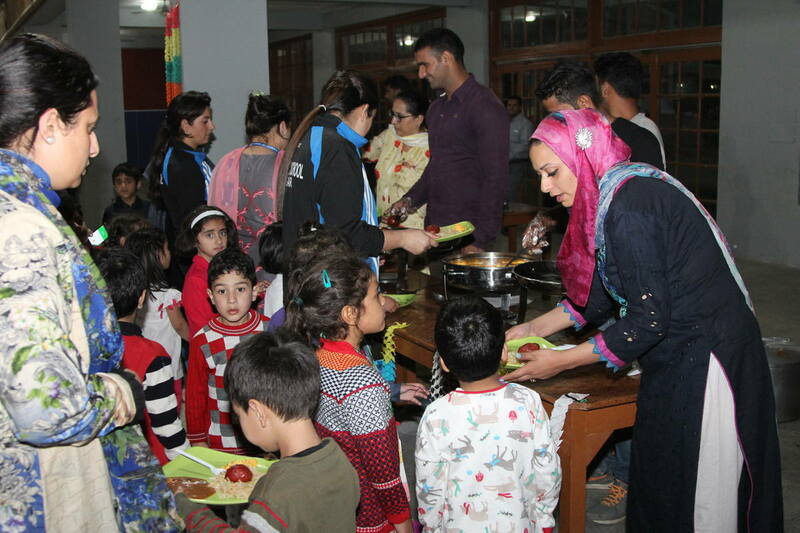 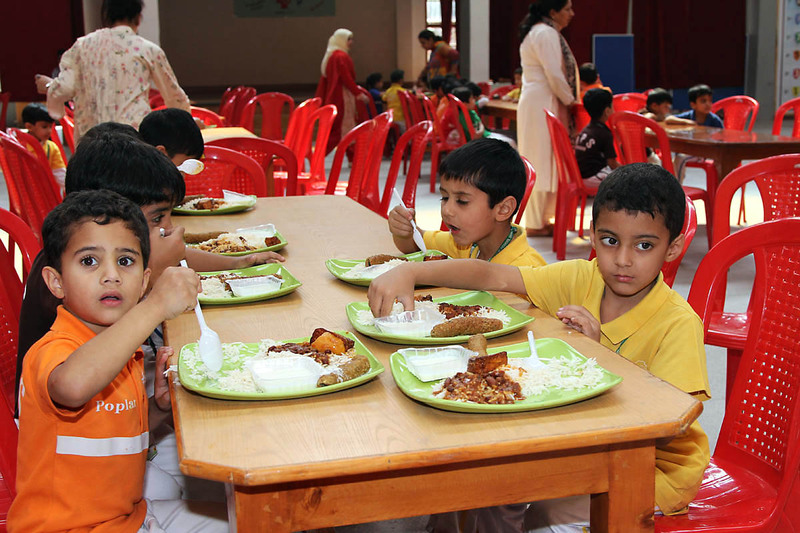 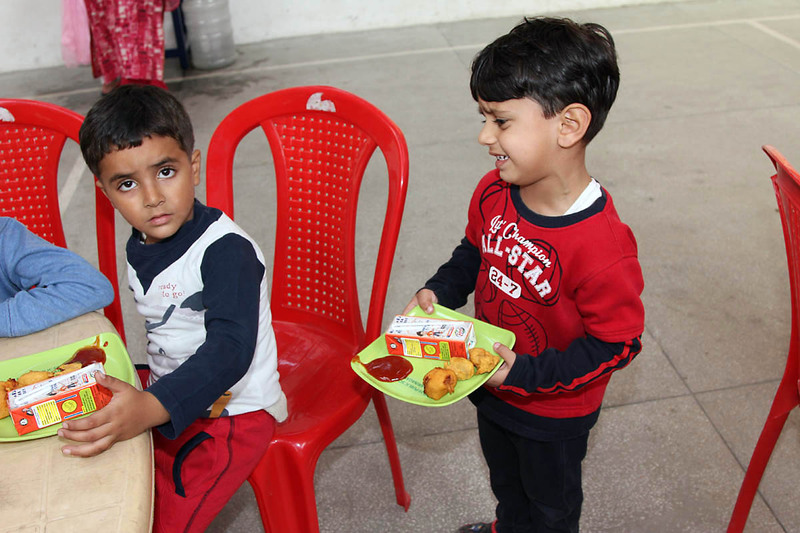 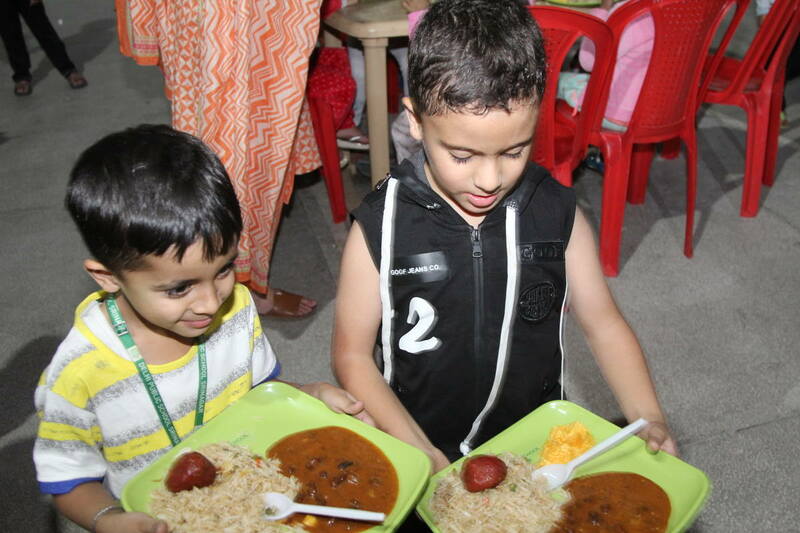 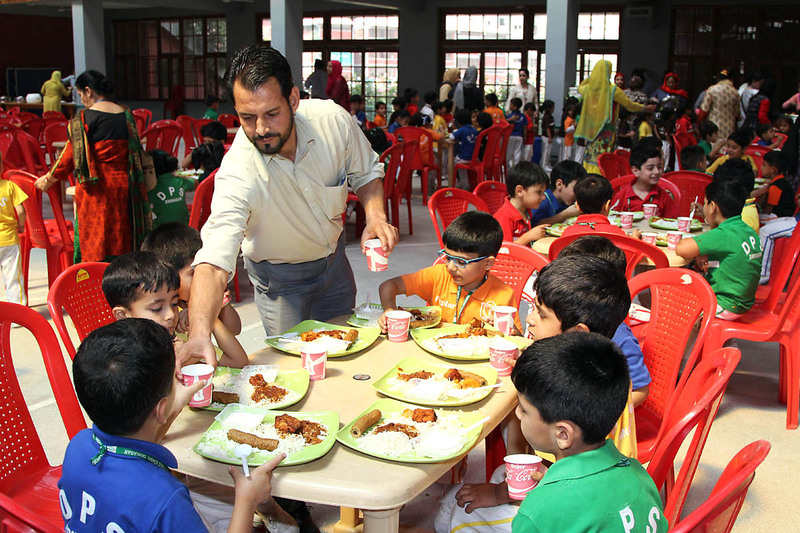 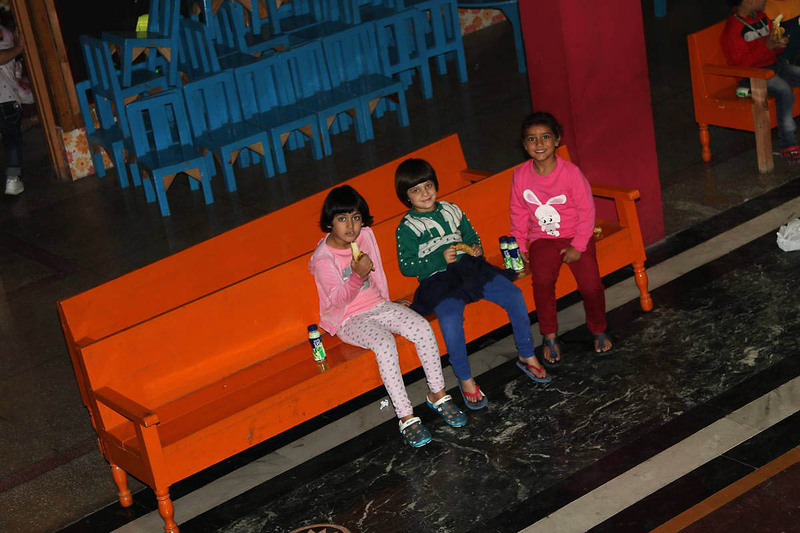 The youngsters were served the yummy feast of rice with matar paneer, kebab, curd and ice-cream for dessert, at the indoor stadium in a family style with campers eating in their cabin groups at round tables. 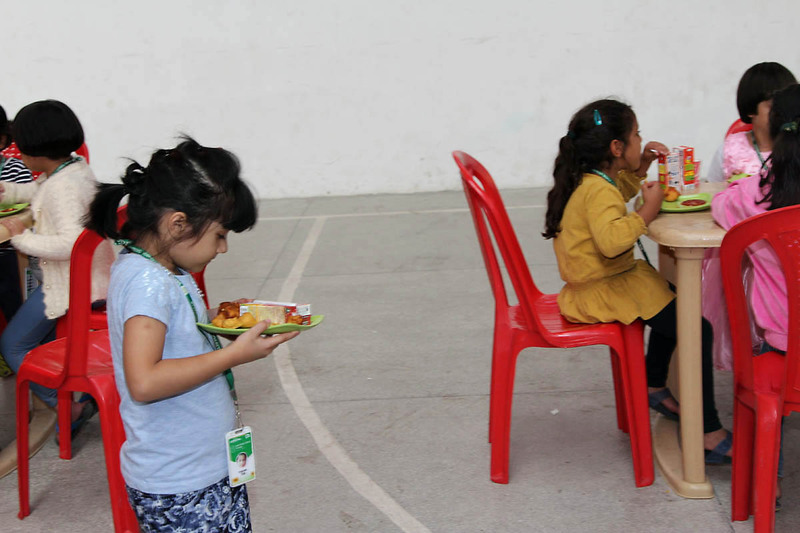 They displayed good table manners and proper hygiene while eating the lunch. 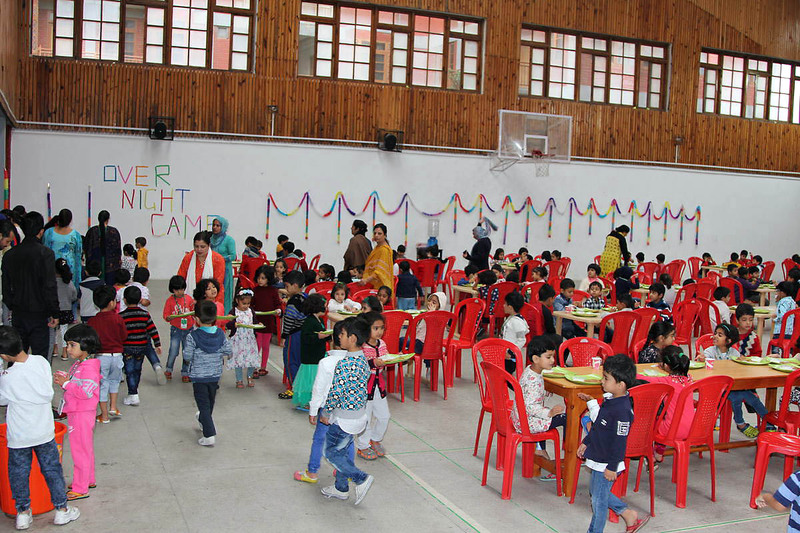 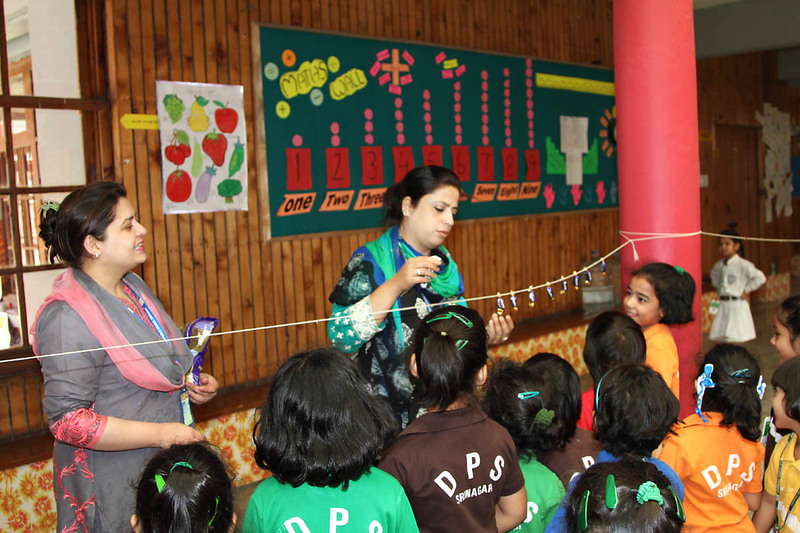 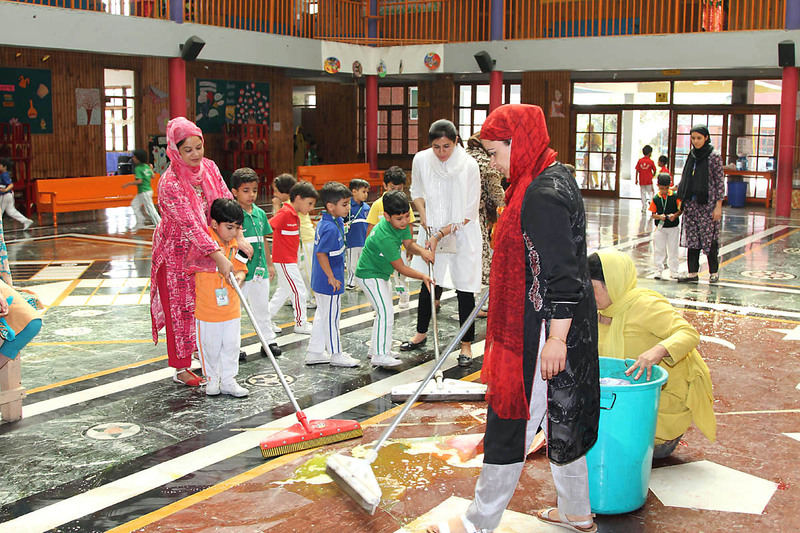 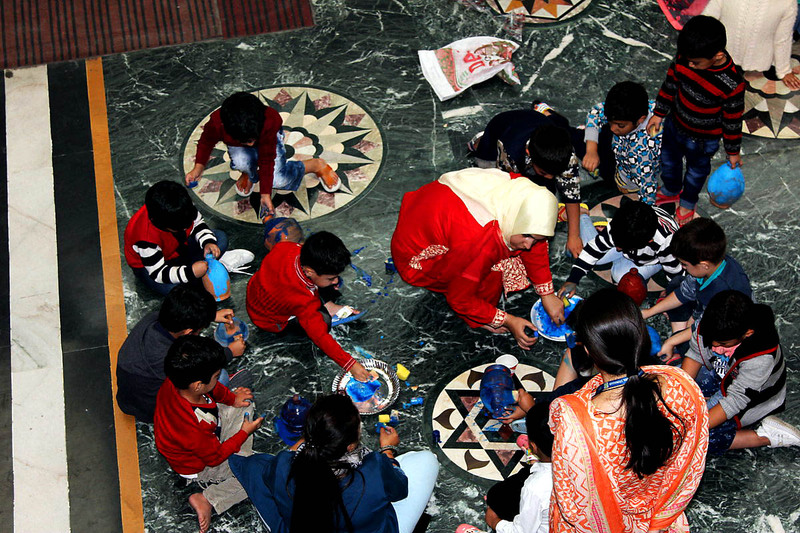 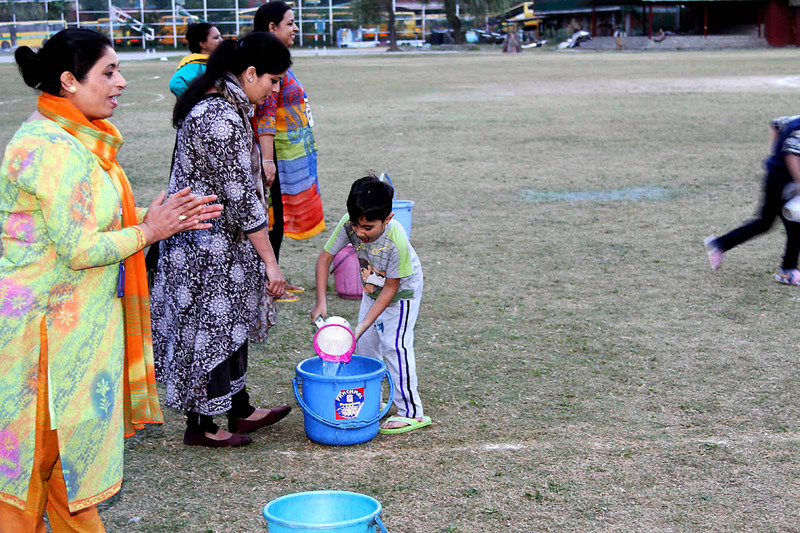 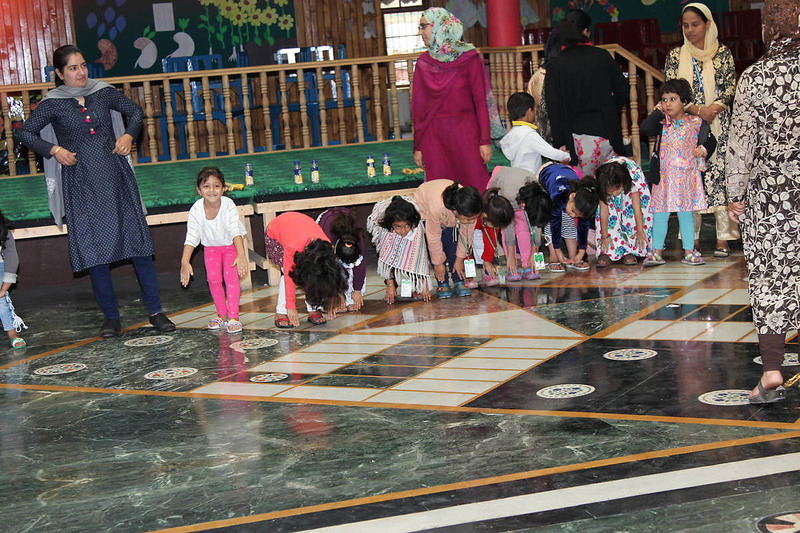 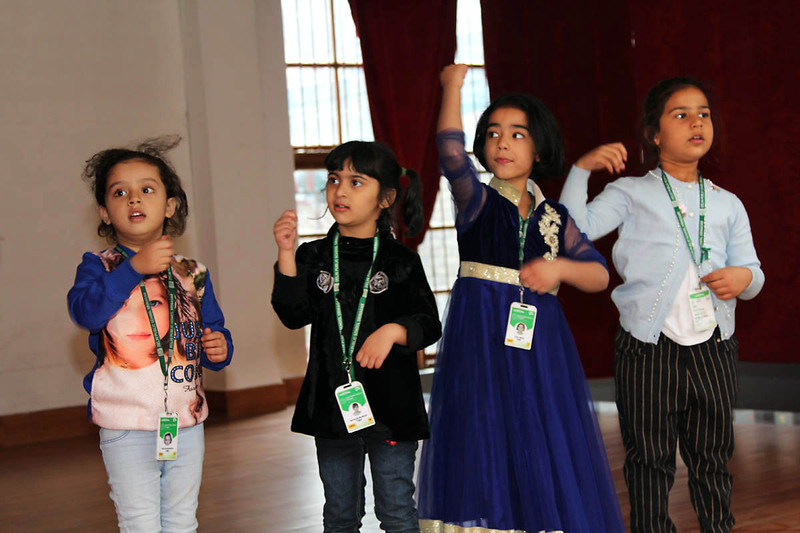 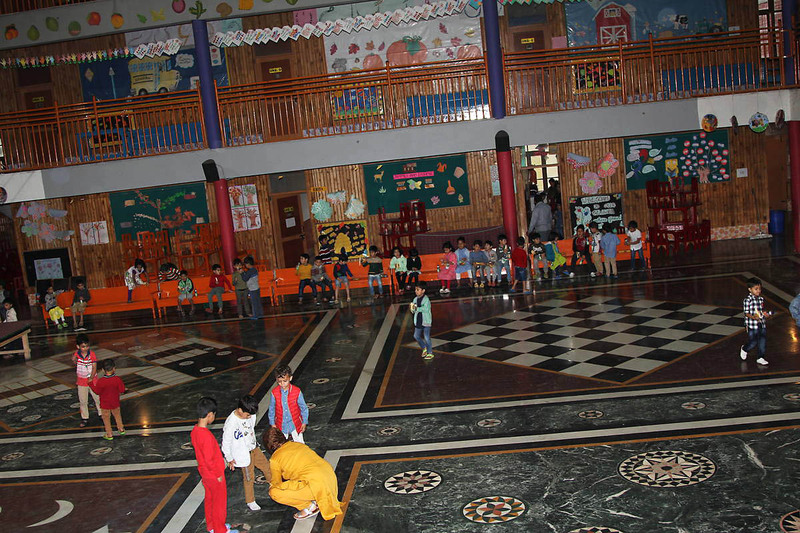 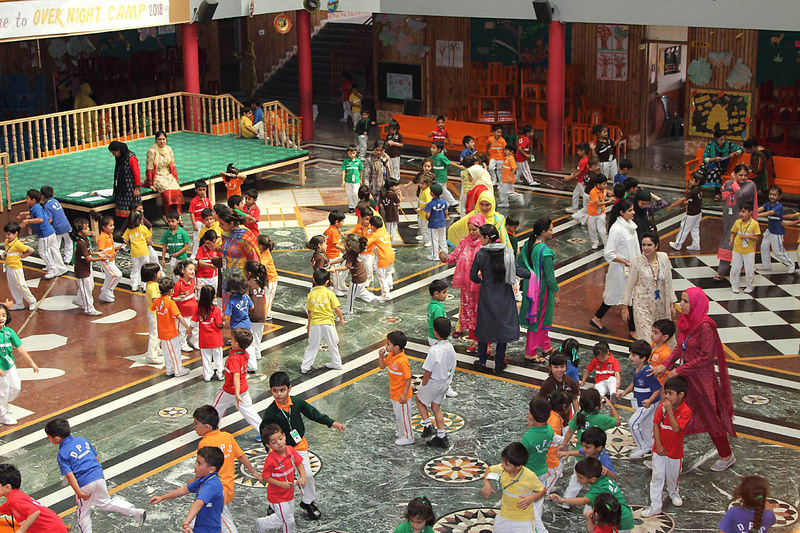 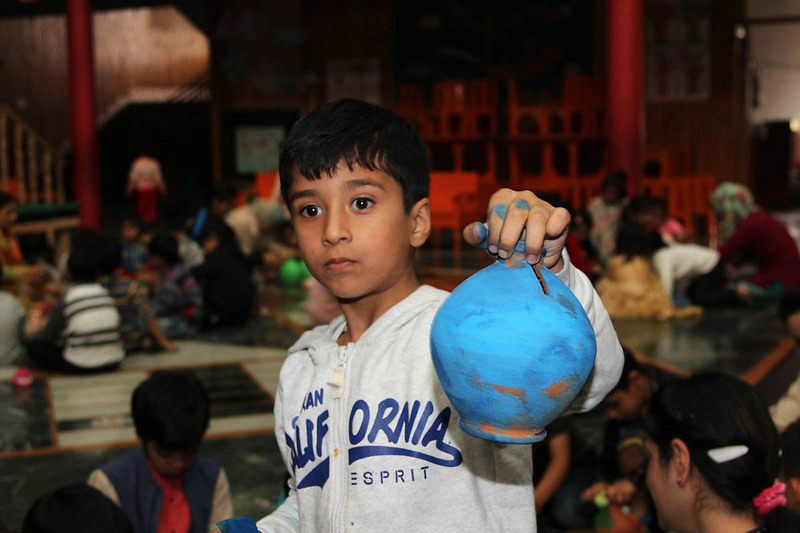 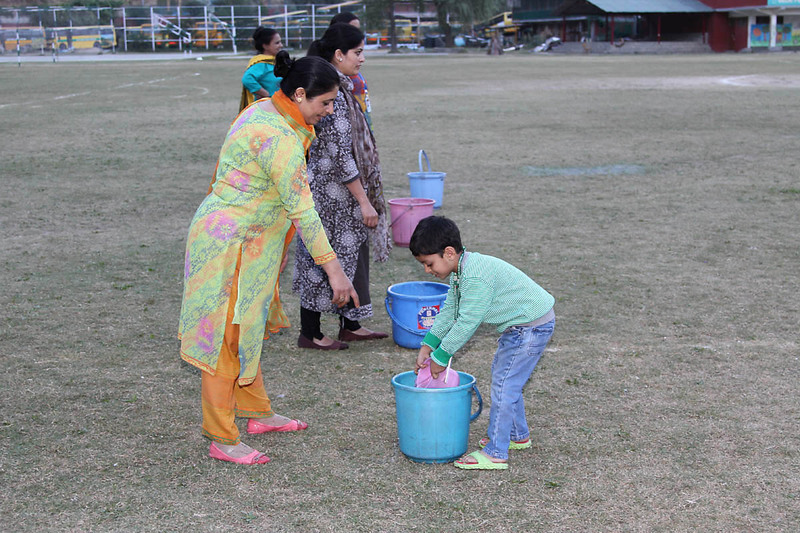 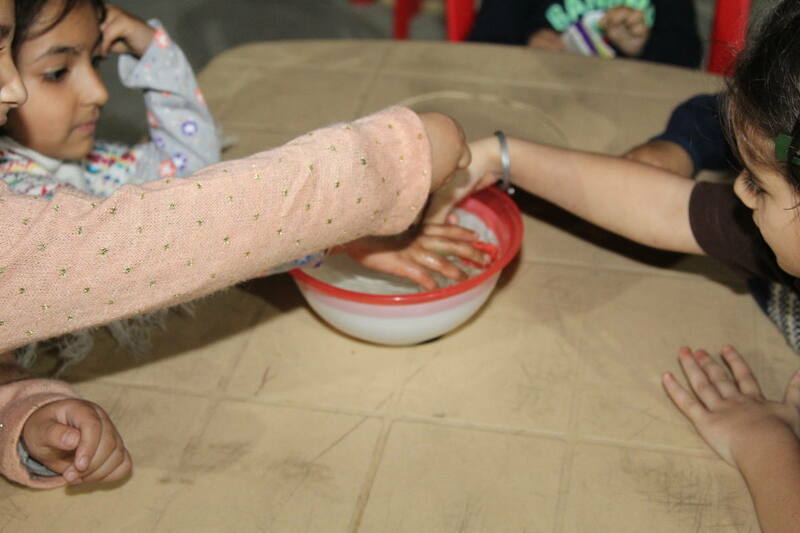 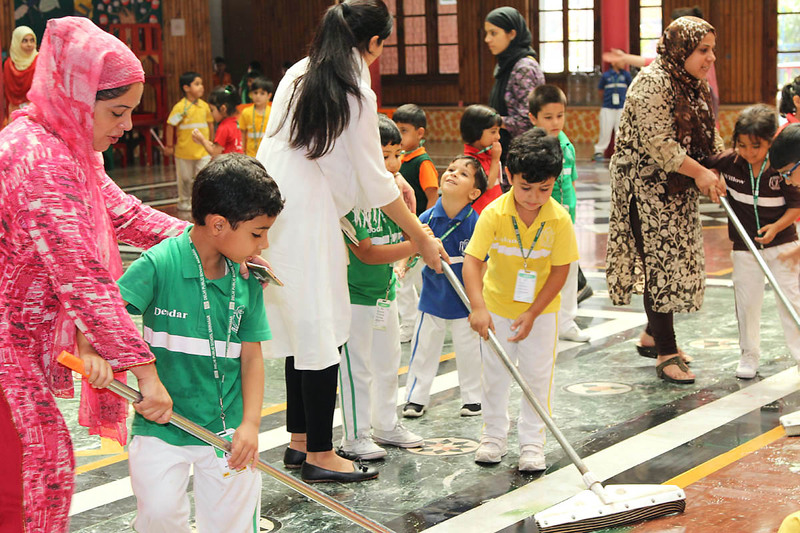 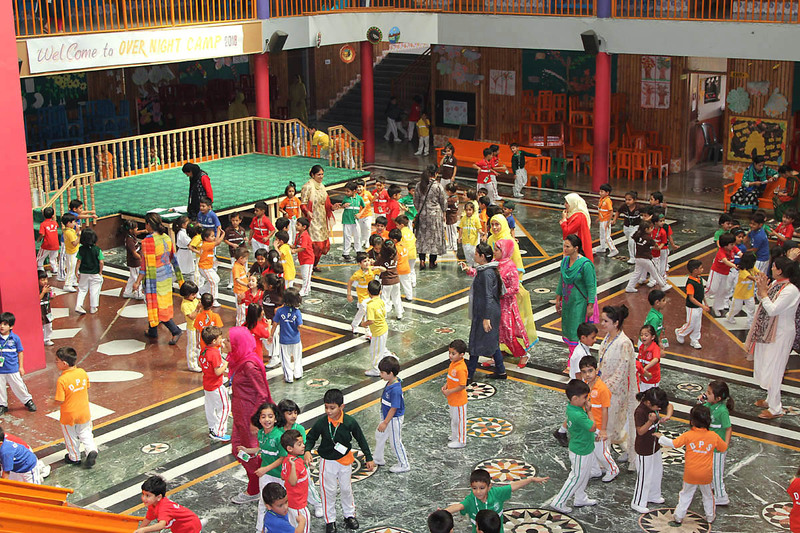 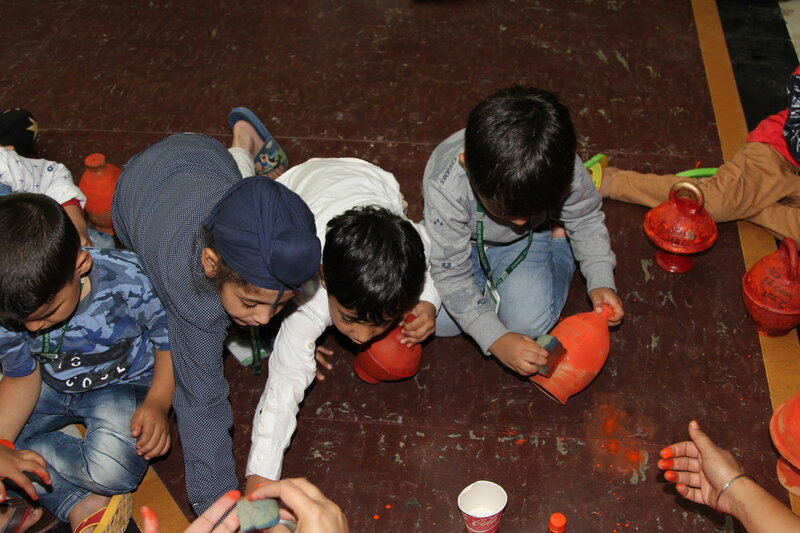 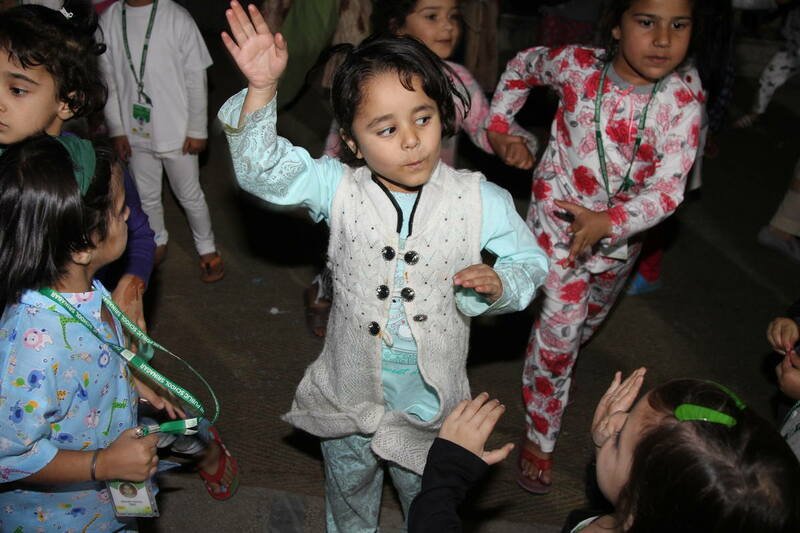 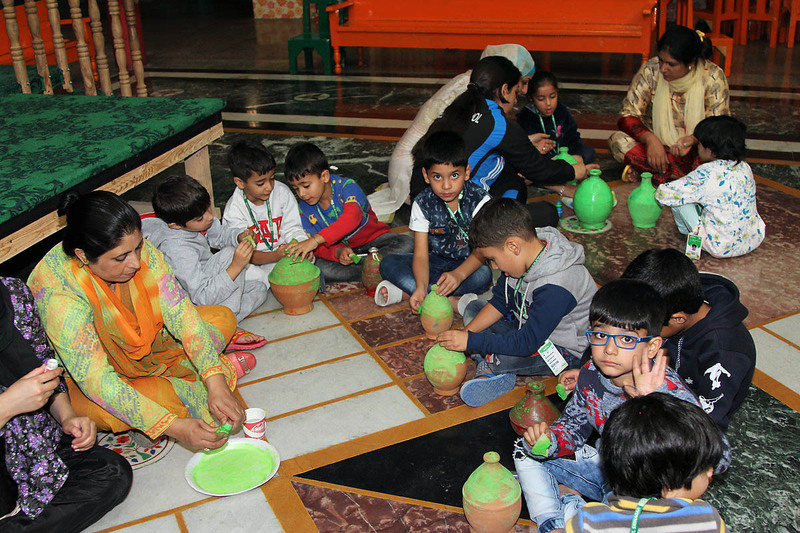 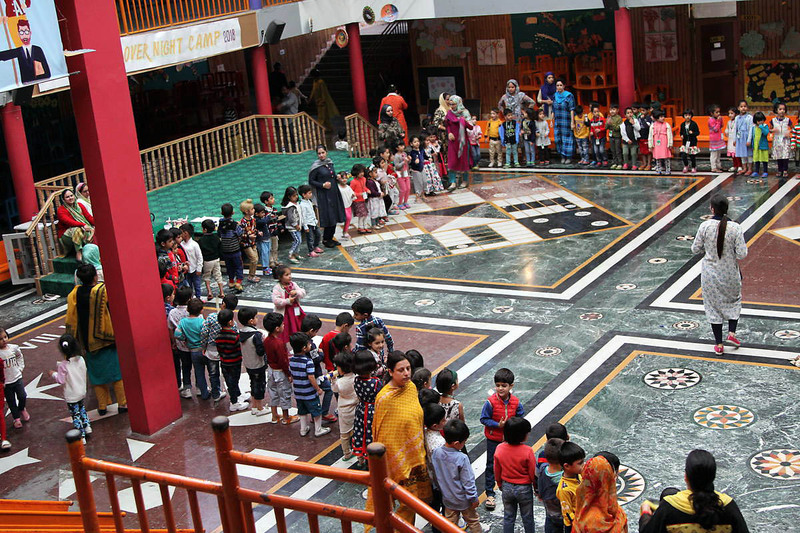 The students were just thrilled with the activities like “Milking the Cow”, “Colouring the Penny Pot”, “Catch the Candy” and “Dance with Colours”. 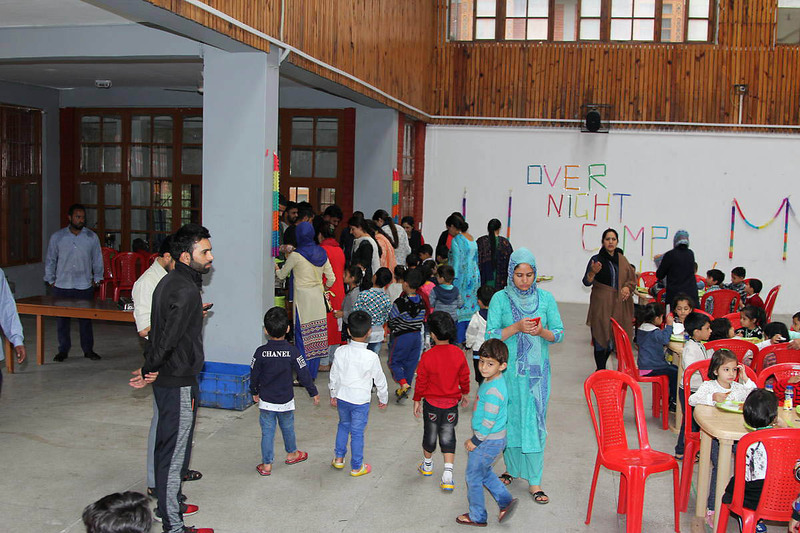 The youngsters enjoyed the fun-filled activities with great excitement and their ability of “learning by doing” was also tested. 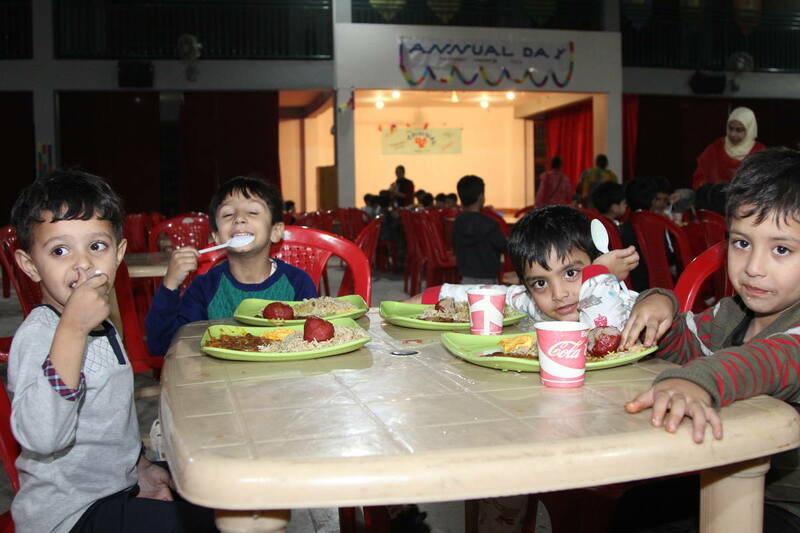 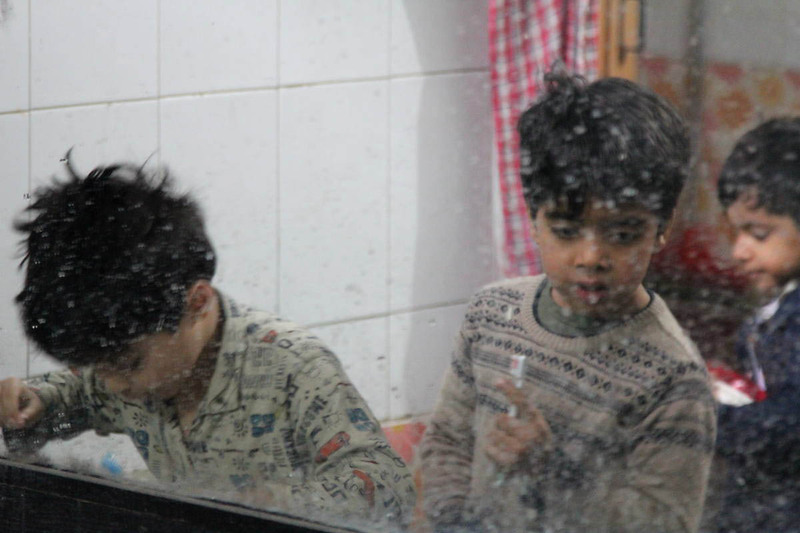 The kids enjoyed eating breakfast- milk and sandwich to keep the energy level of little brains and bodies high for the fun frolic day ahead. 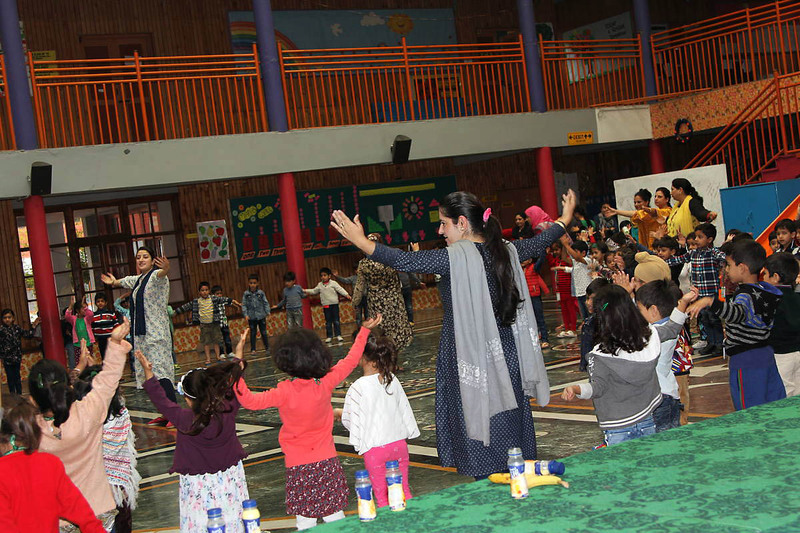 To make our kids feel special, the day’s program started with a welcome assembly conducted by teachers which included prayer in praise and appreciation of God. 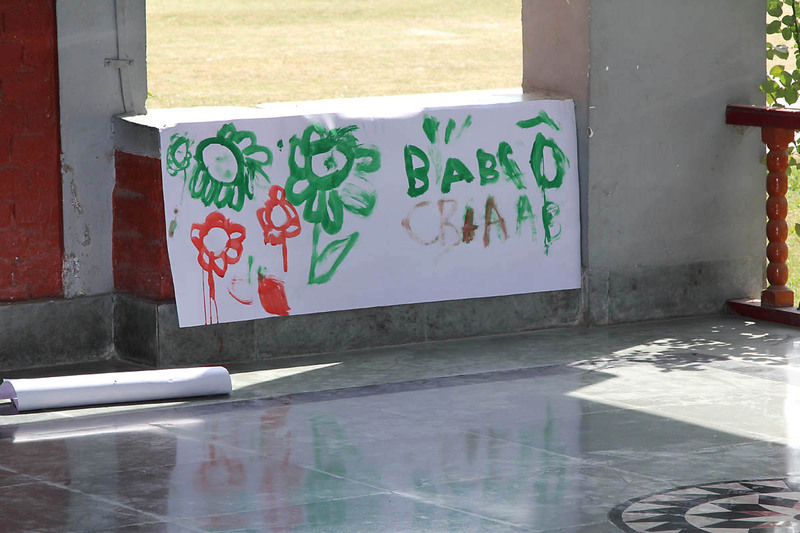 It was followed by a melodious song “It’s a Beautiful Day”. 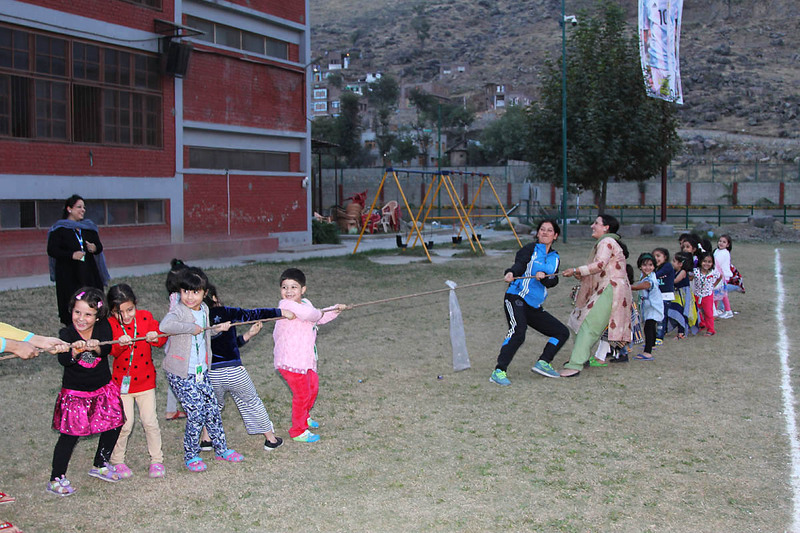 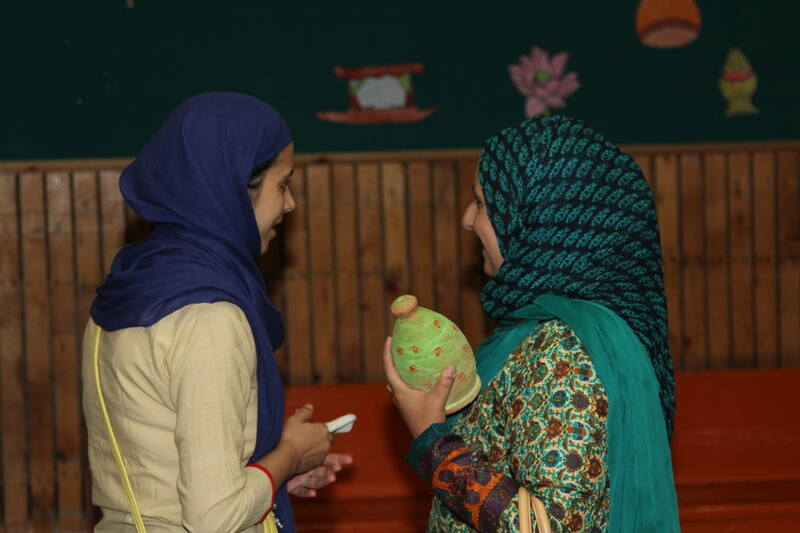 Teachers presented a skit which set the mood for the day ahead. 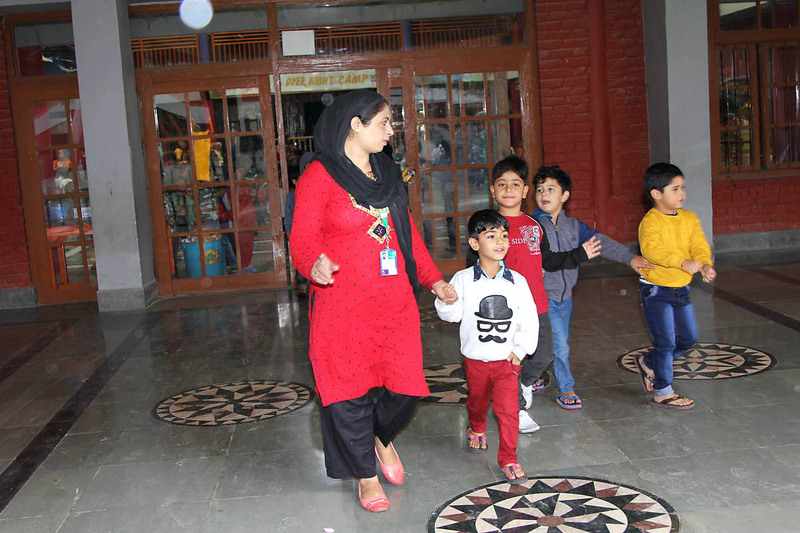 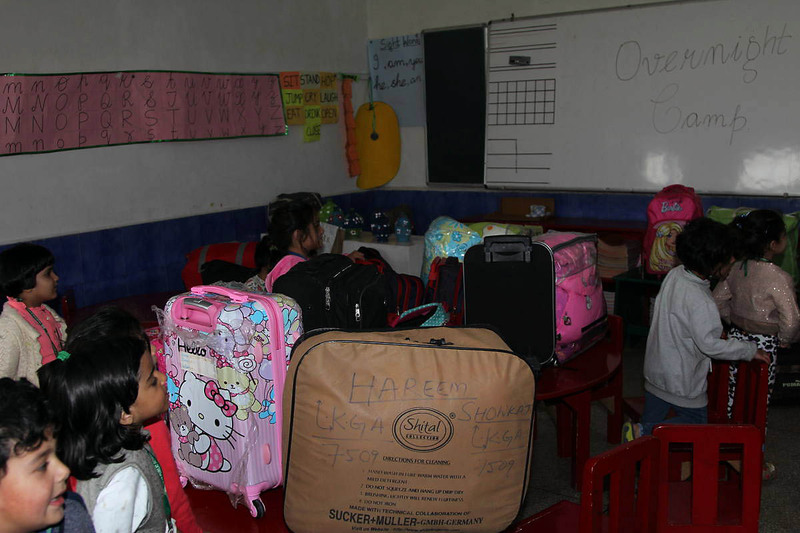 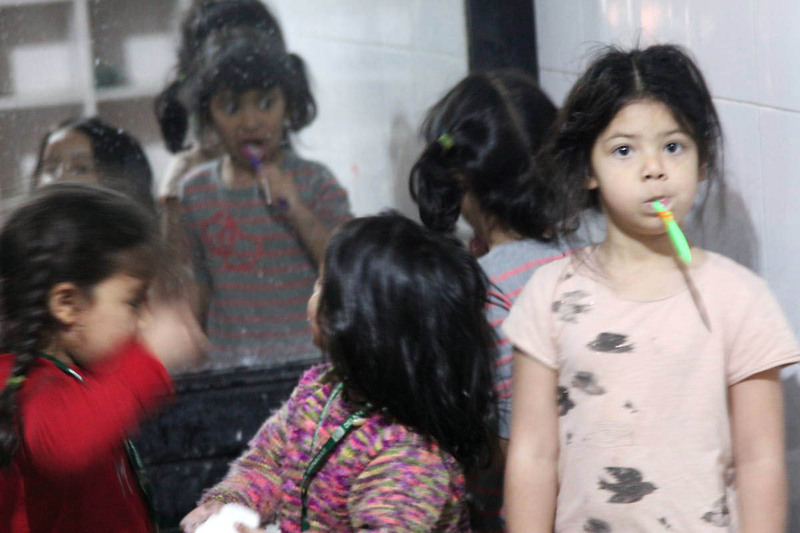 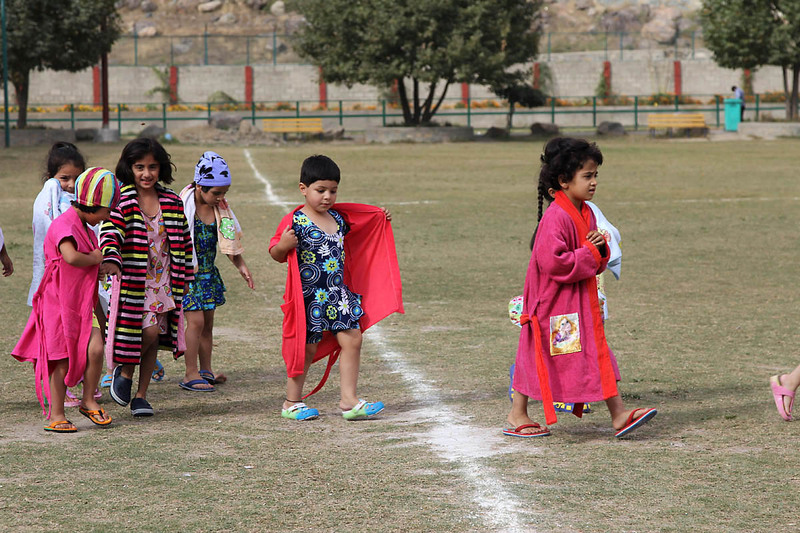 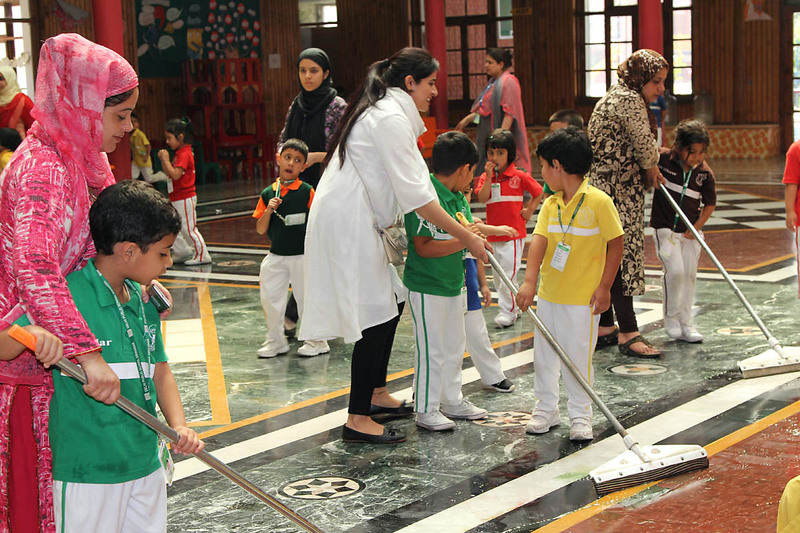 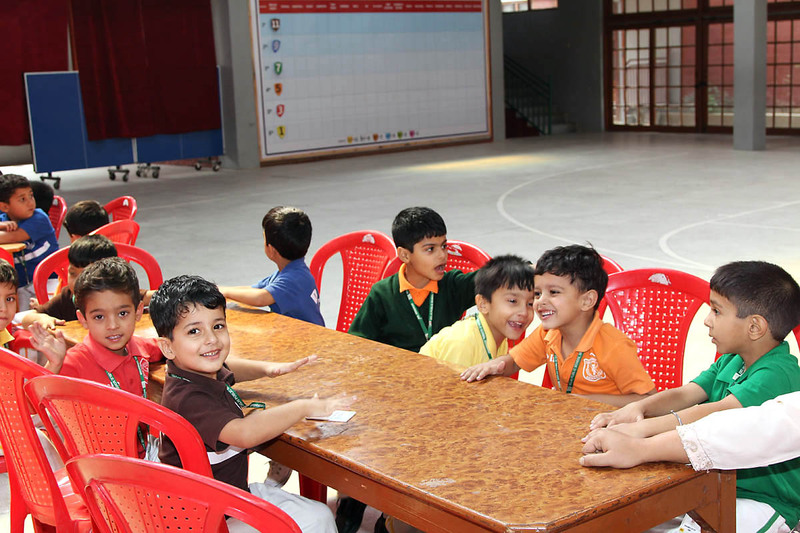 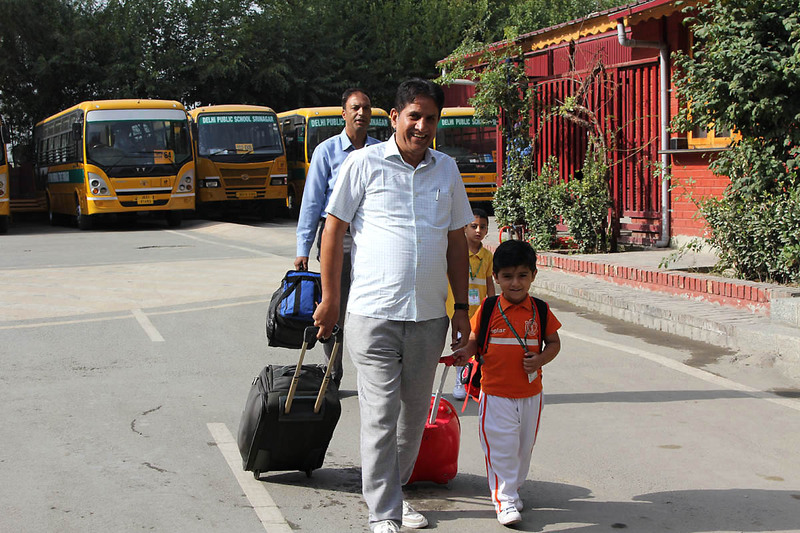 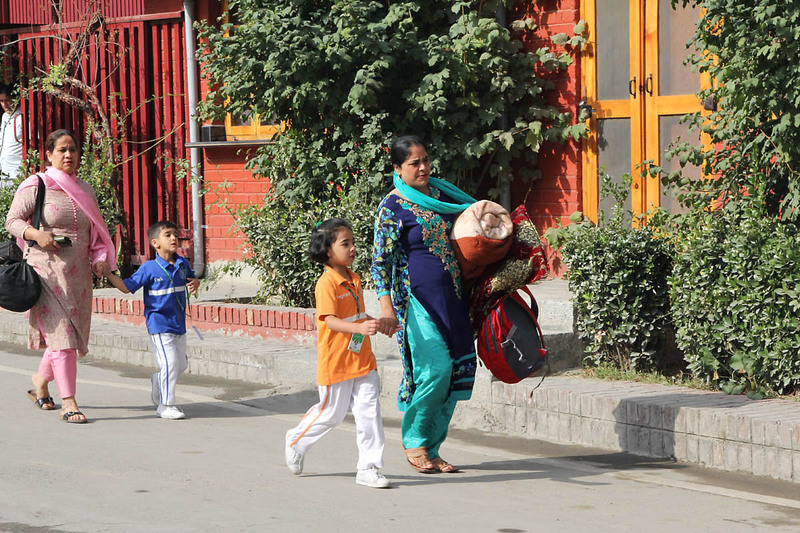 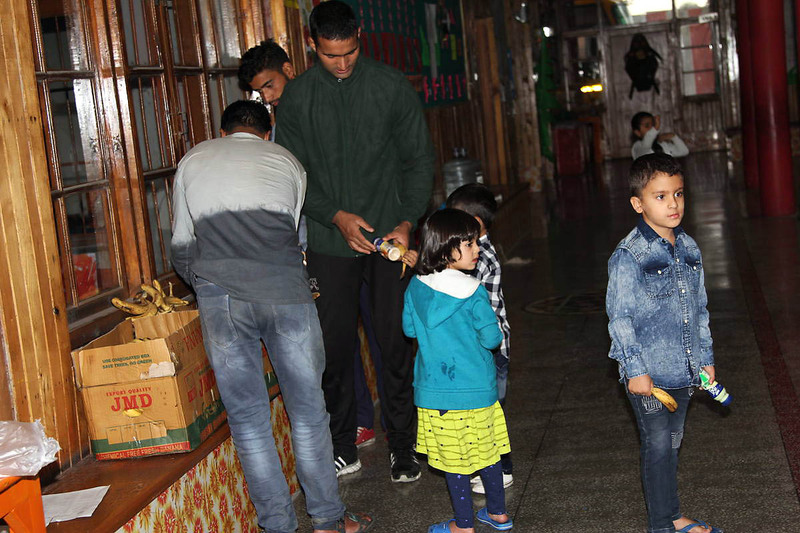 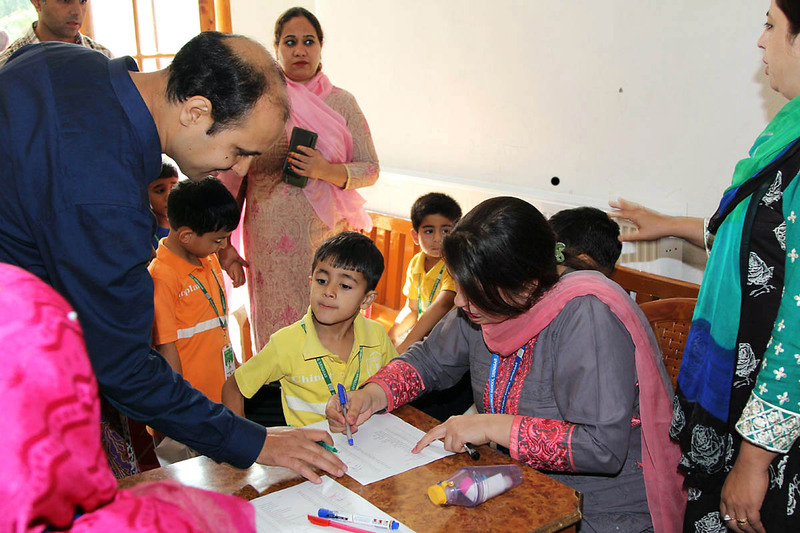 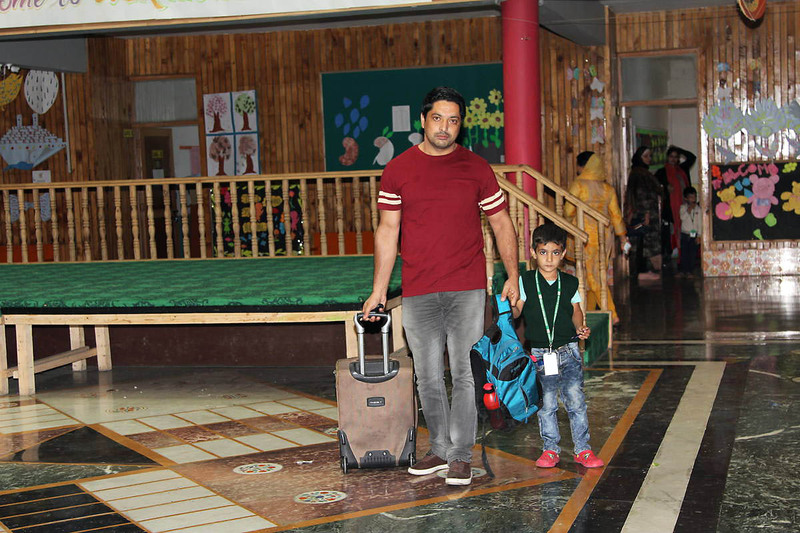 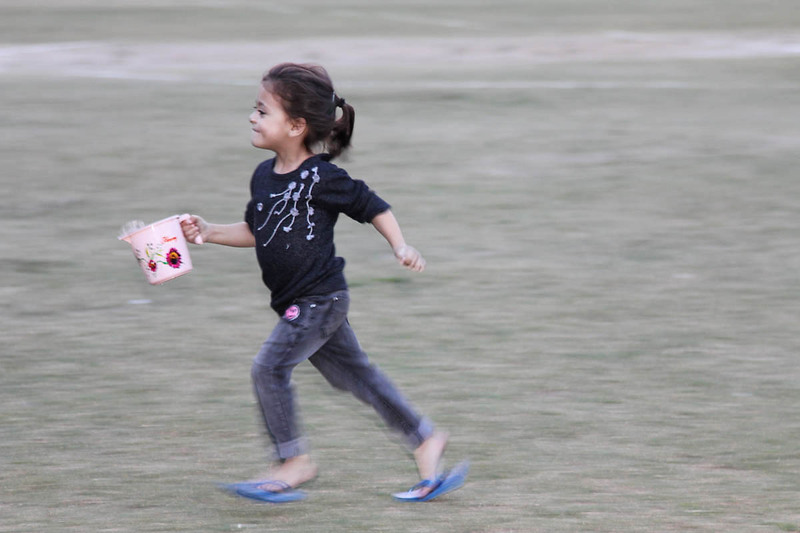 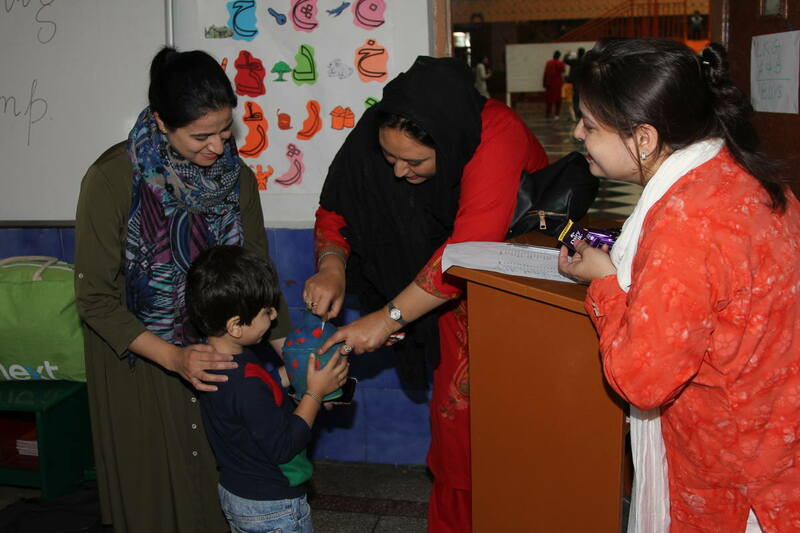 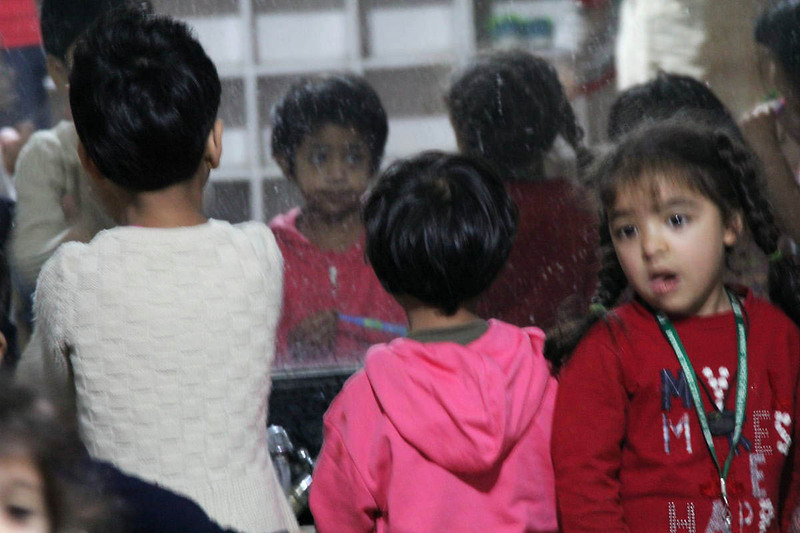 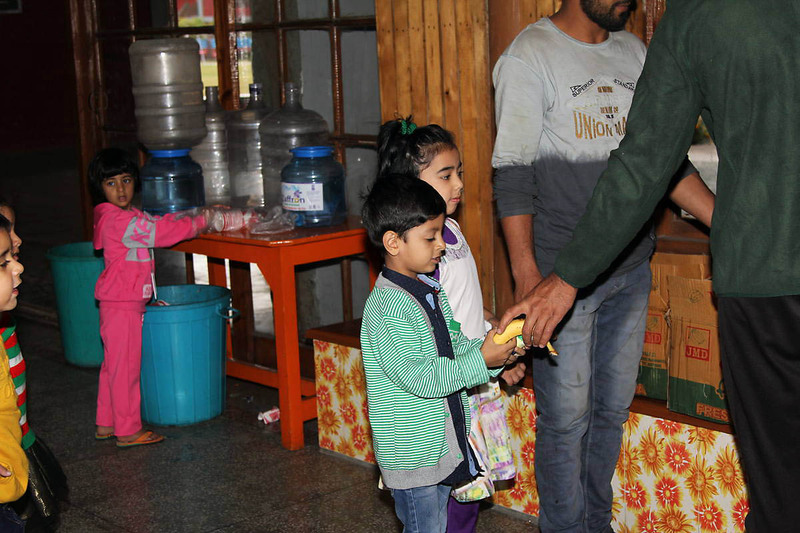 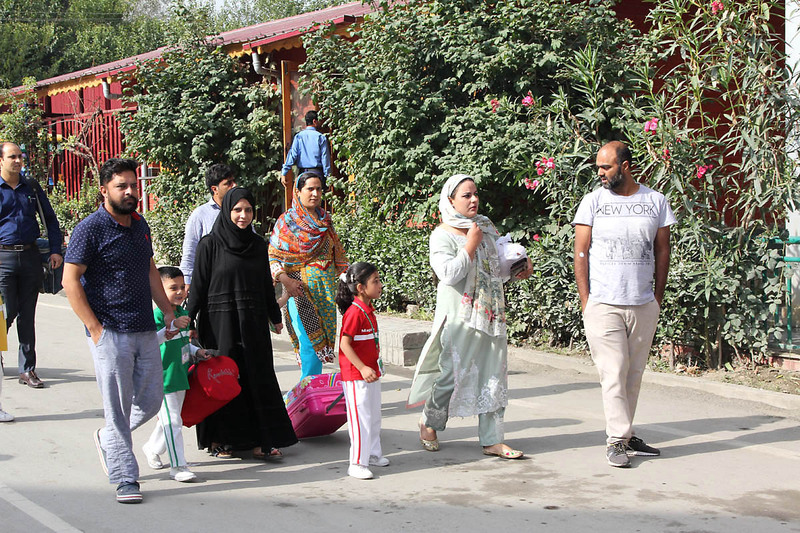 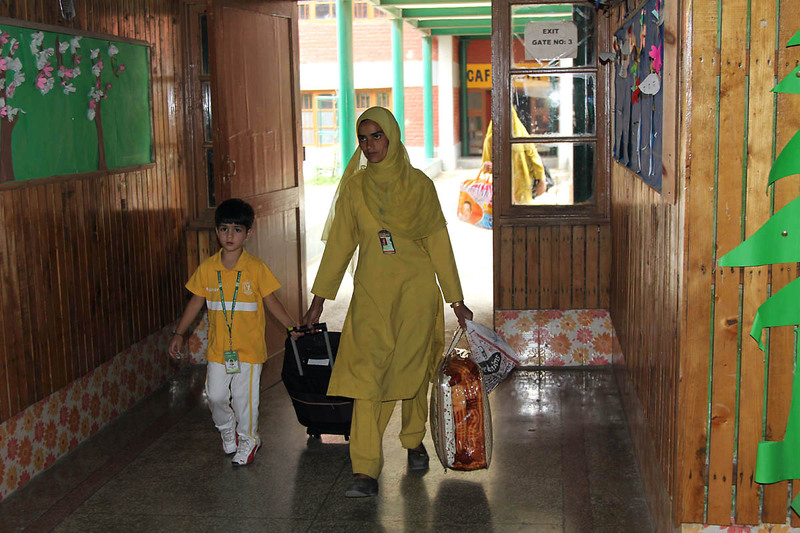 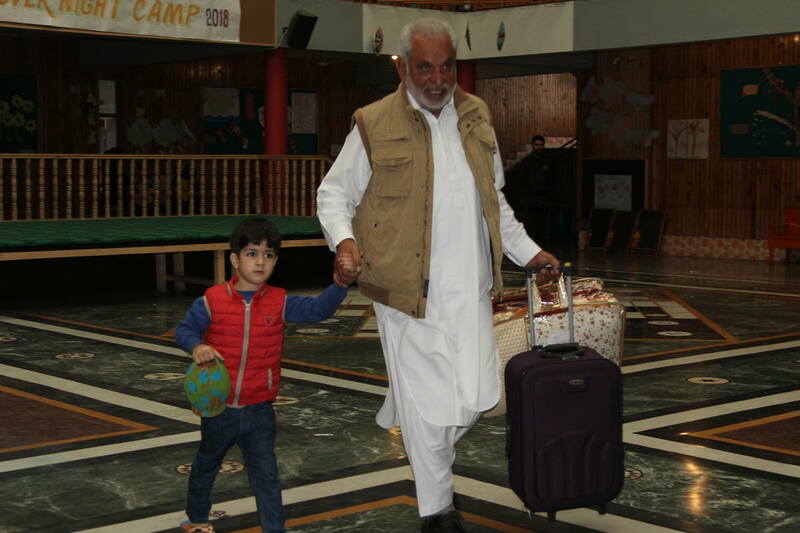 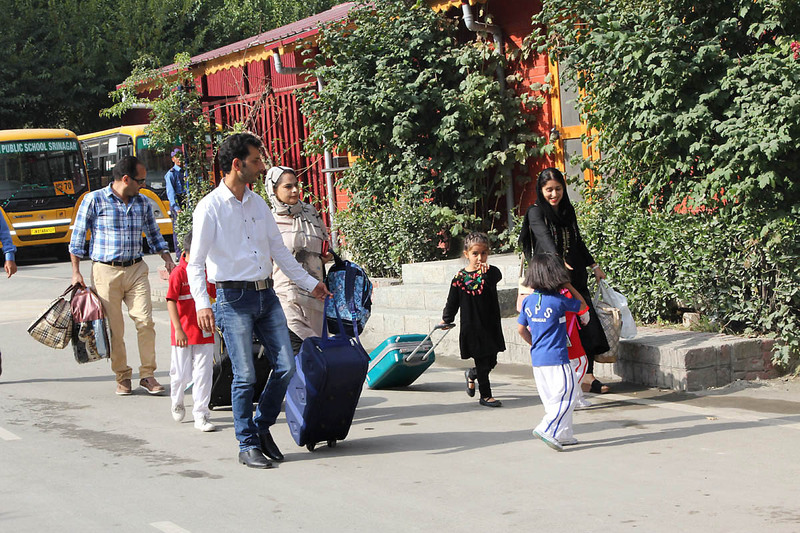 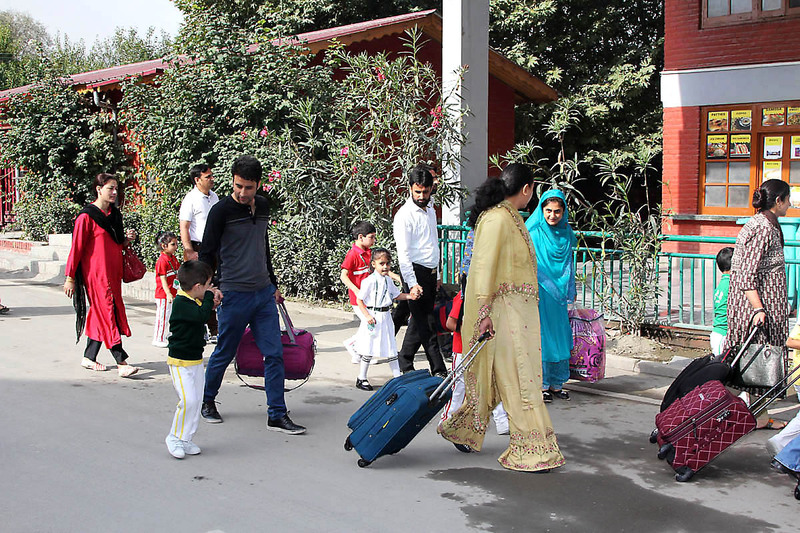 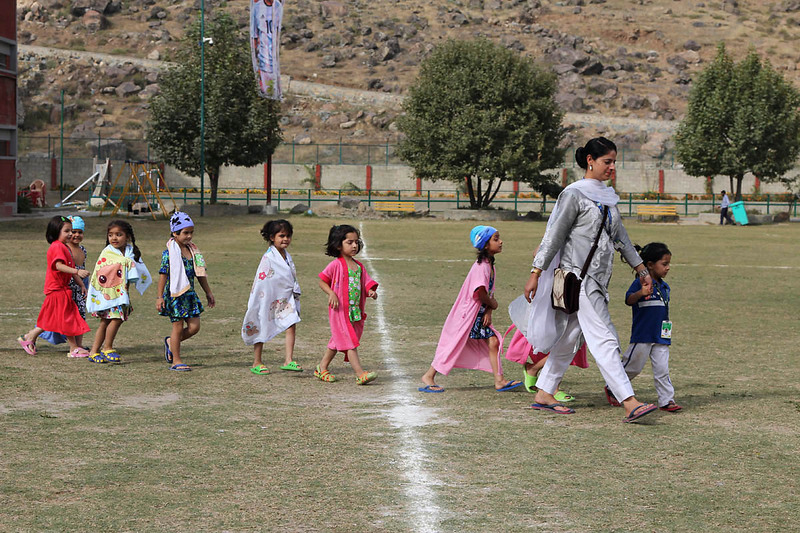 Holding their packed luggage, the LKG Tiny Tots walked down the streets of busy school with a brave heart and a charming smile on their faces to participate in the camp leaving their teary-eyed parents behind.